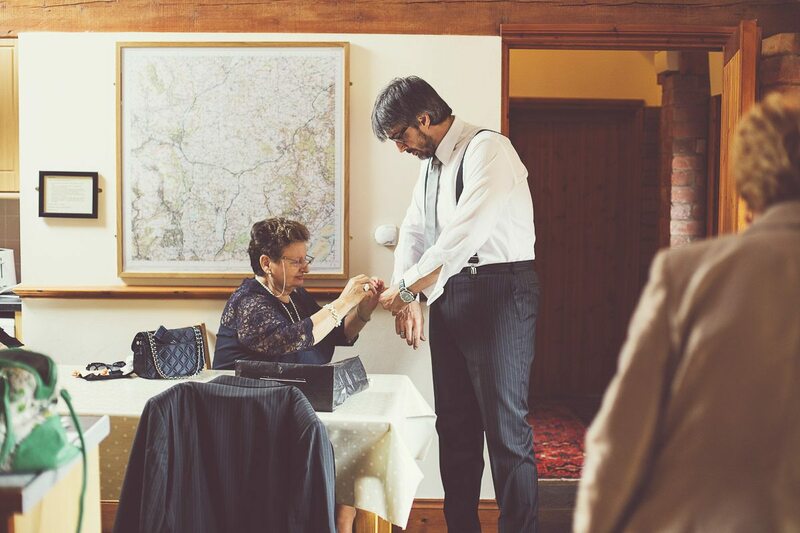 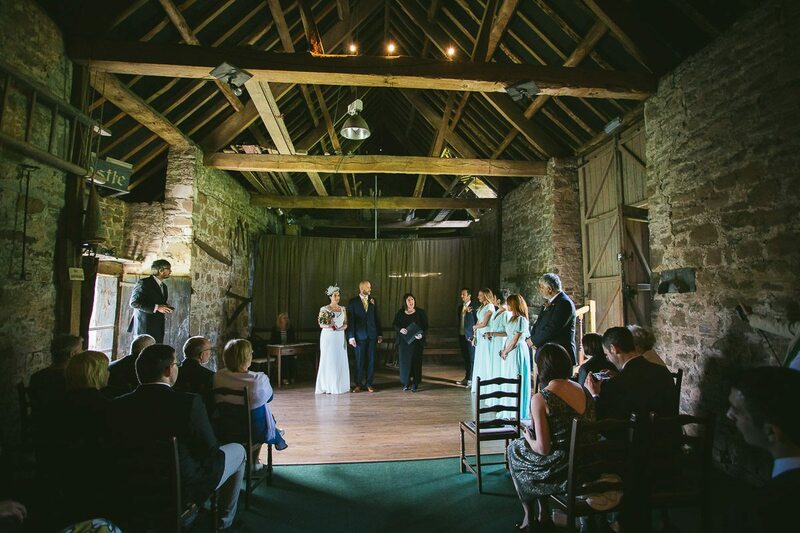 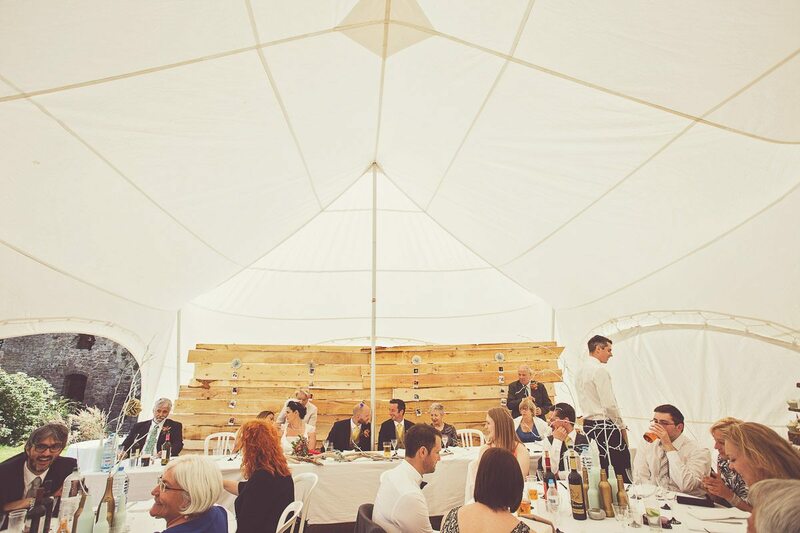 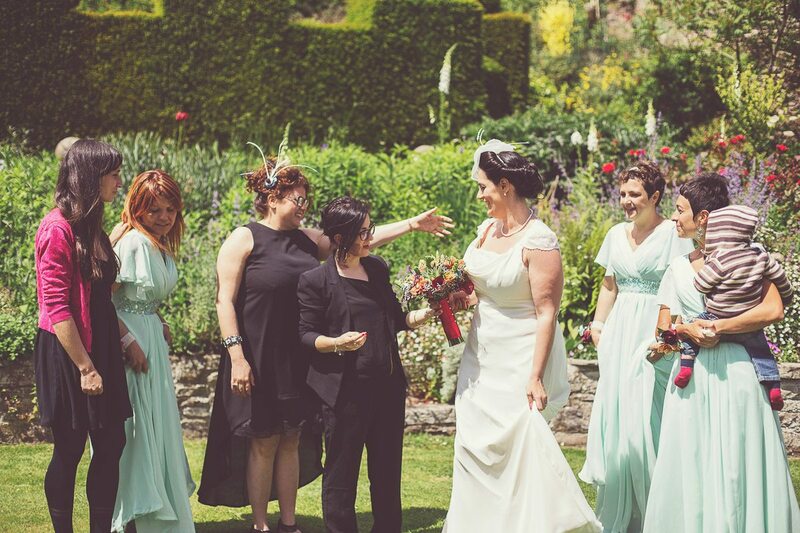 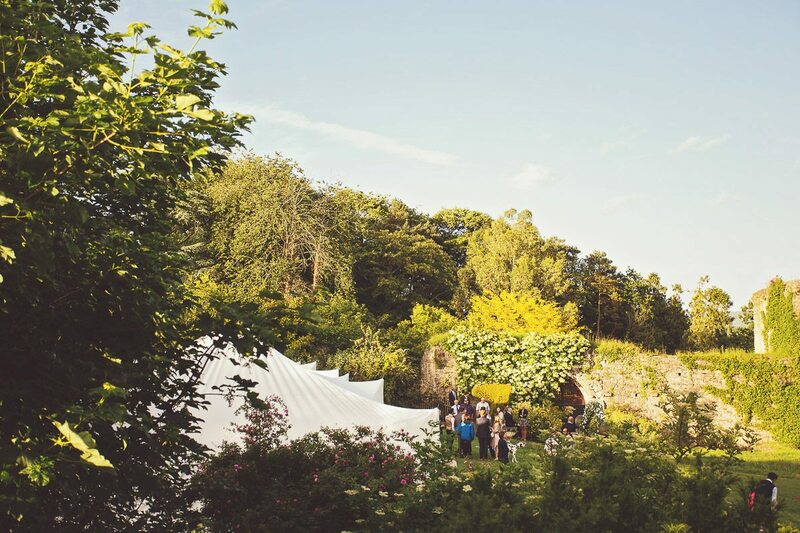 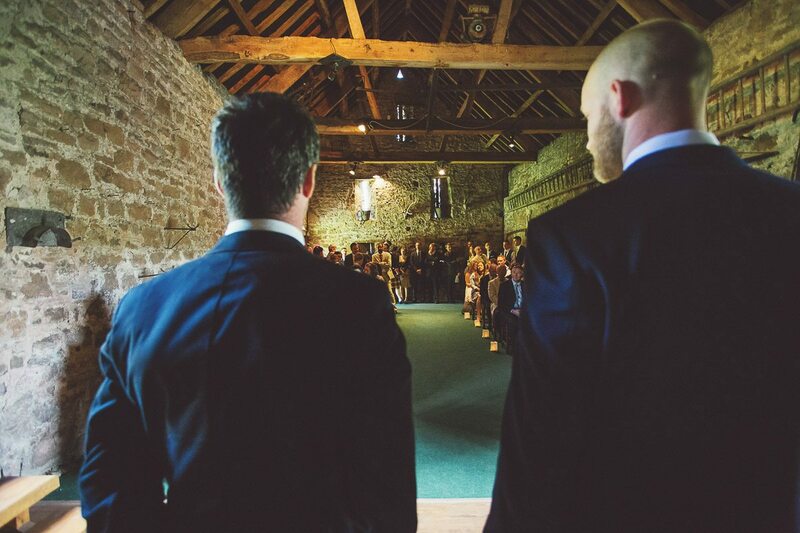 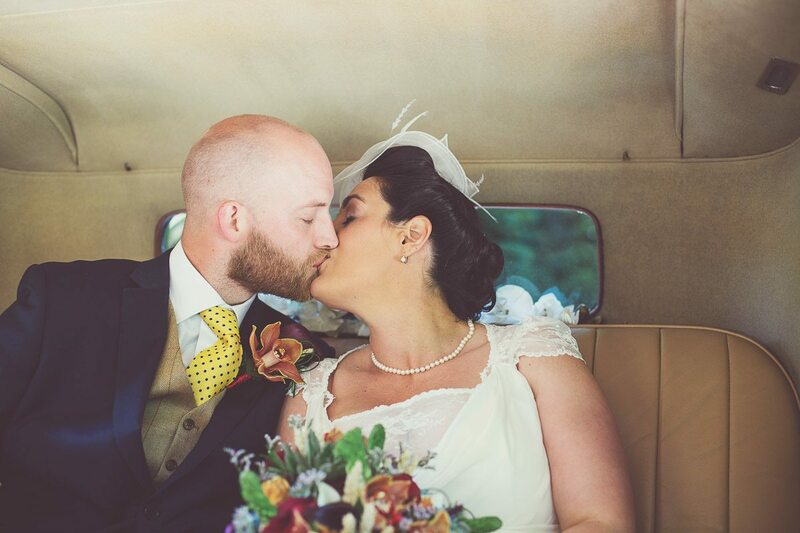 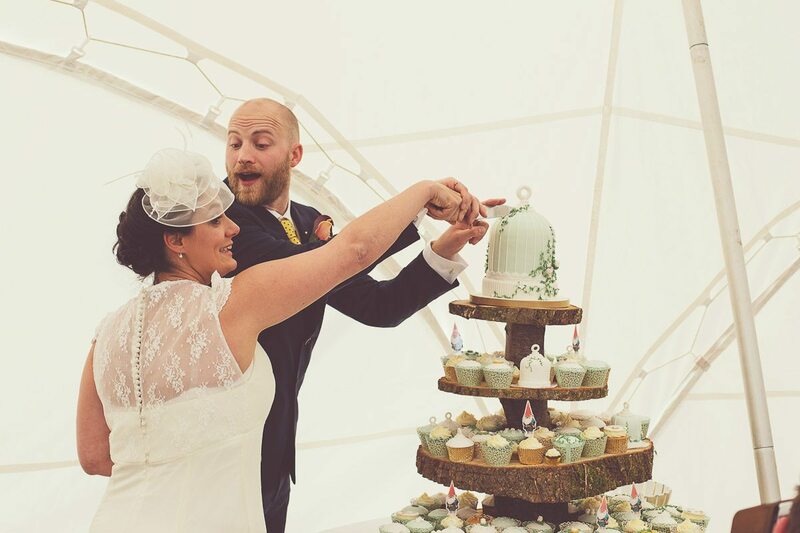 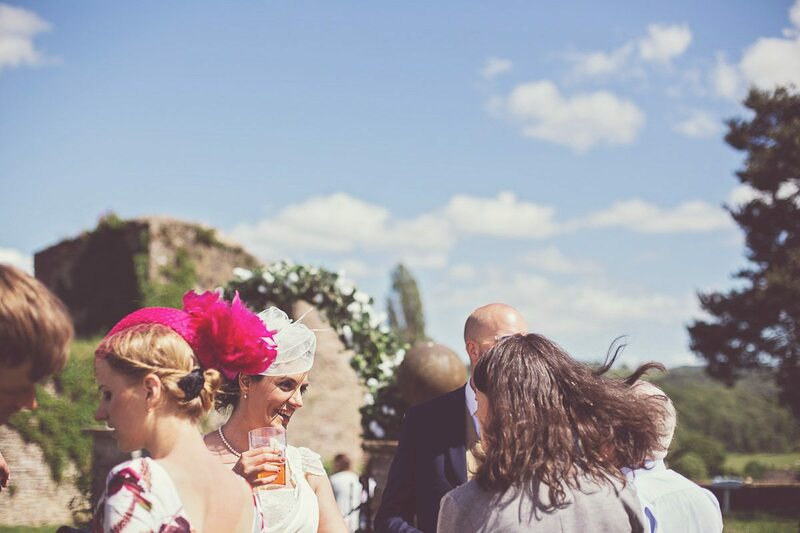 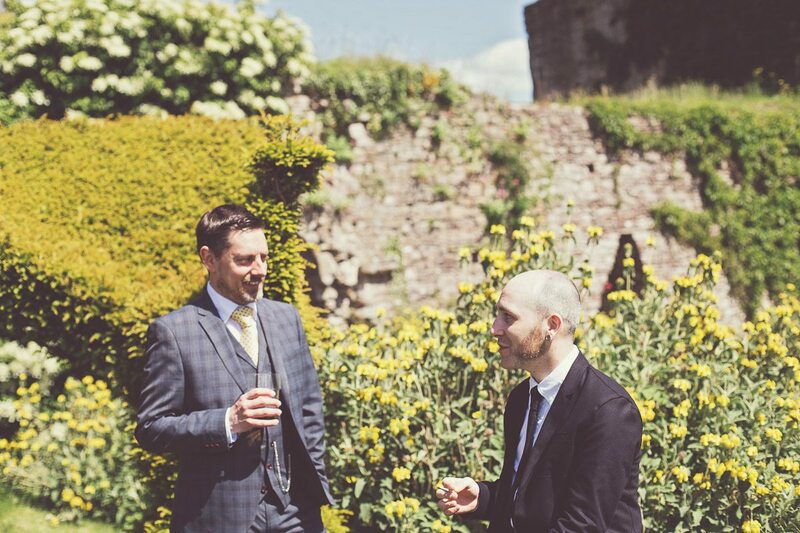 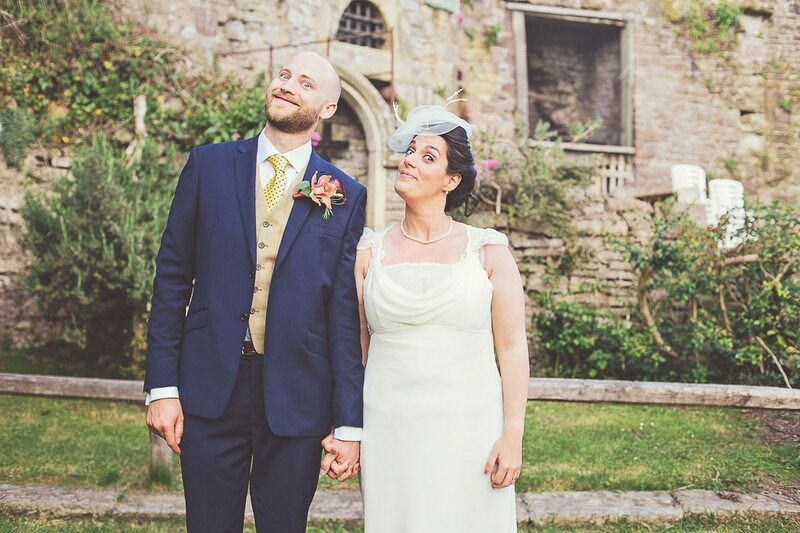 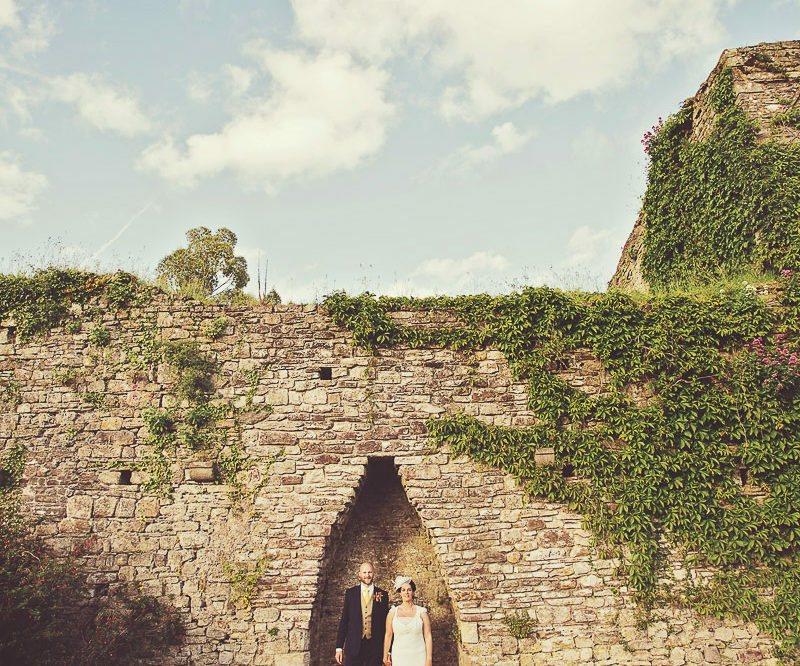 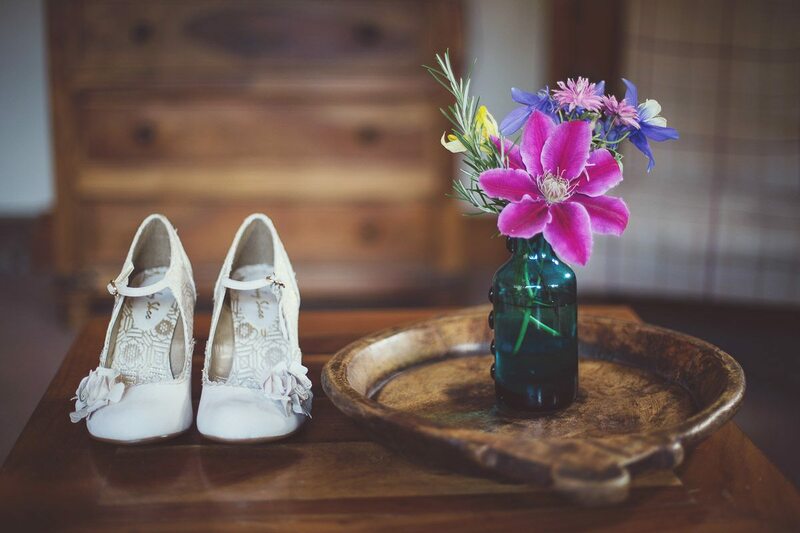 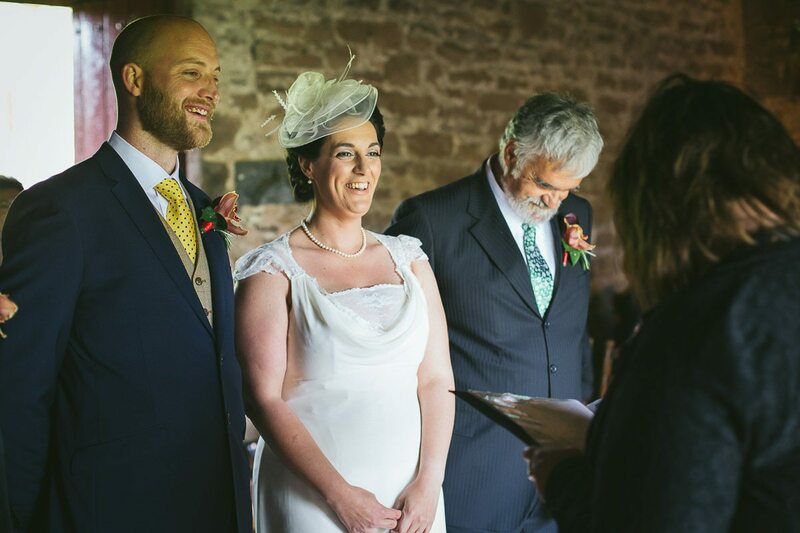 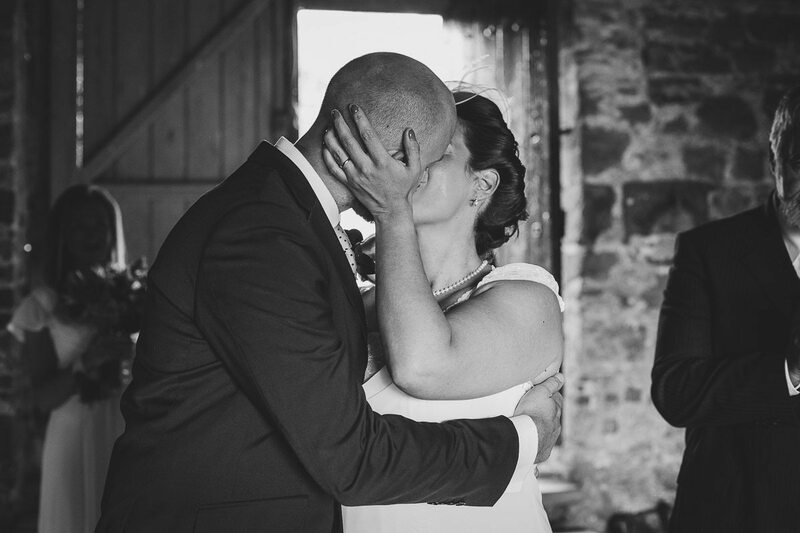 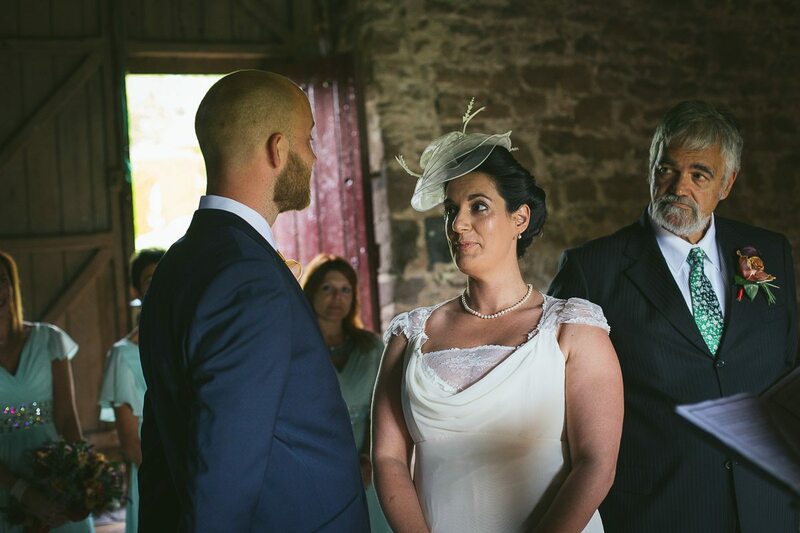 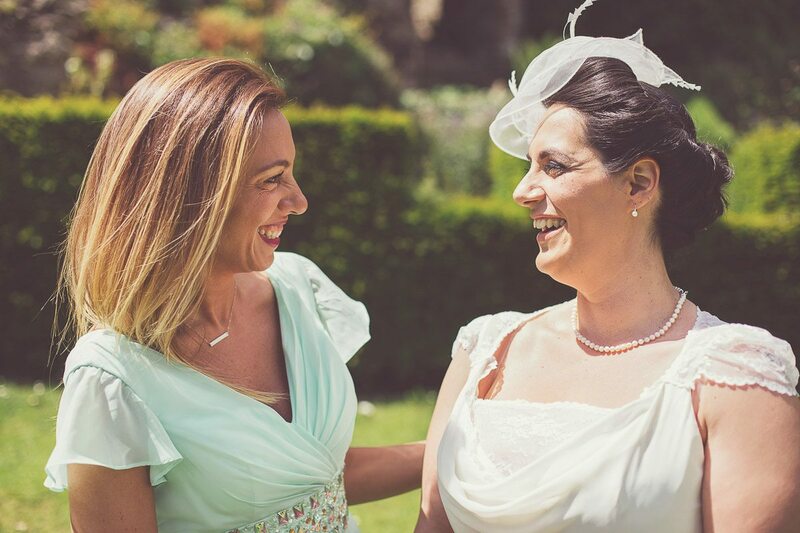 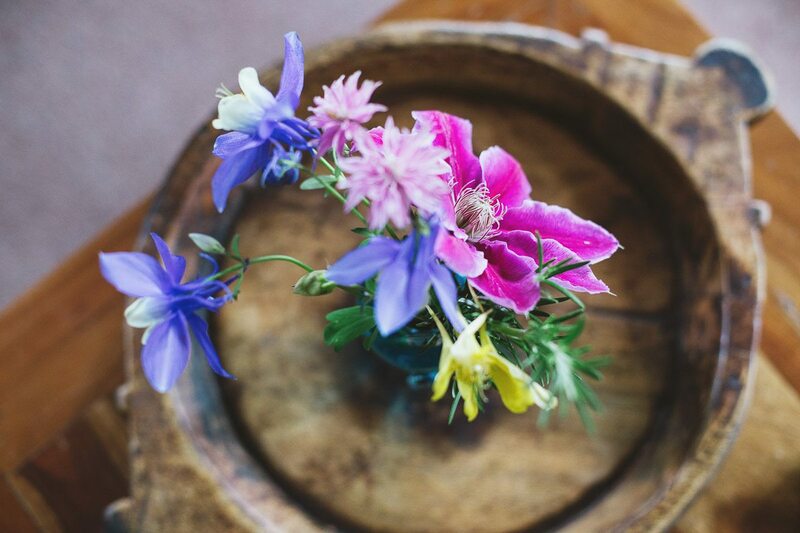 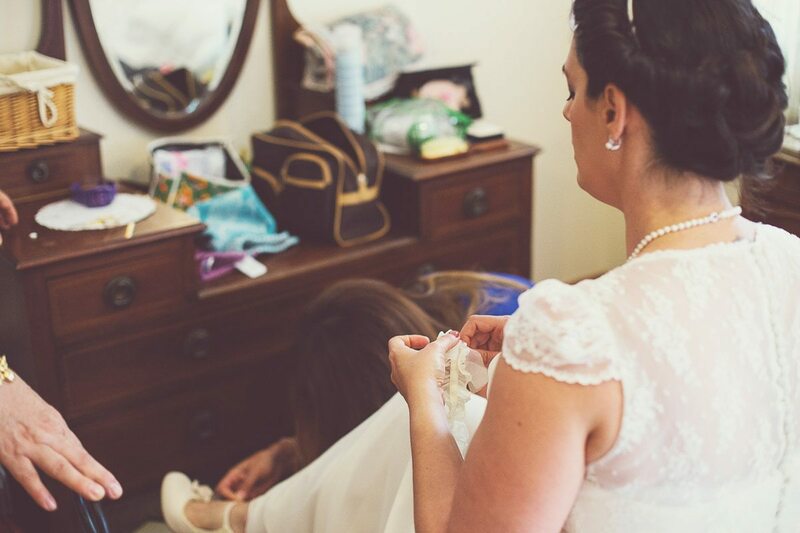 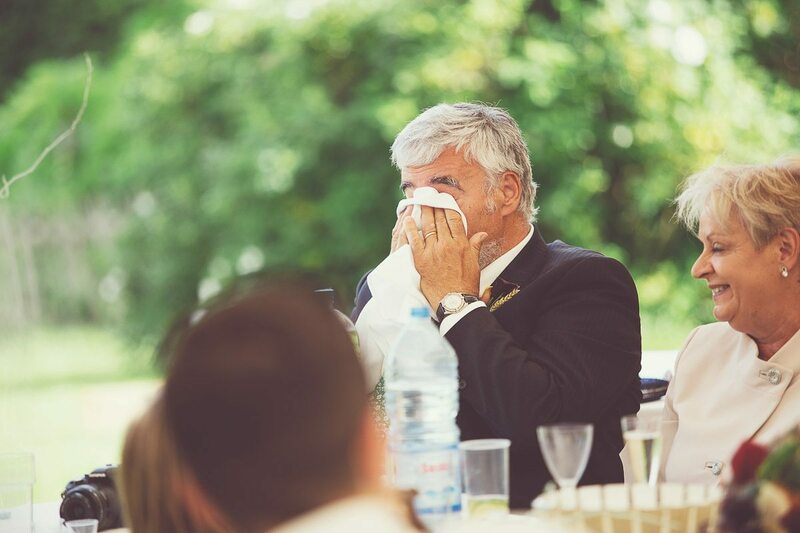 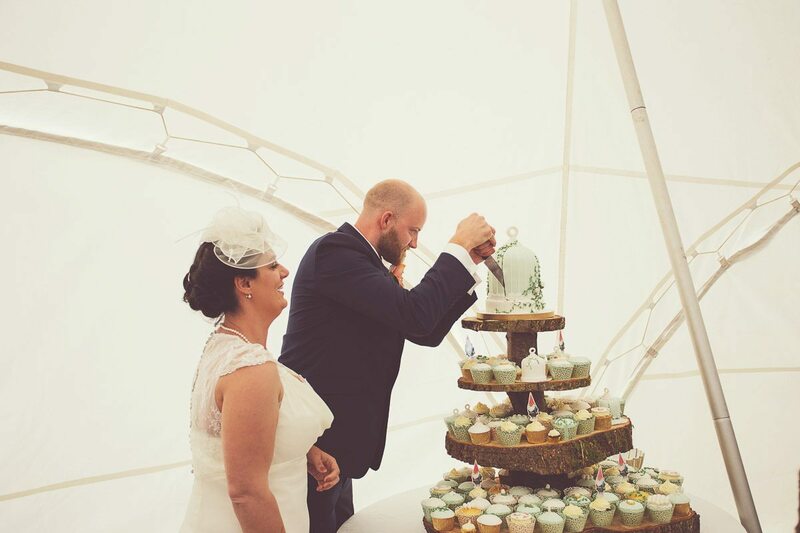 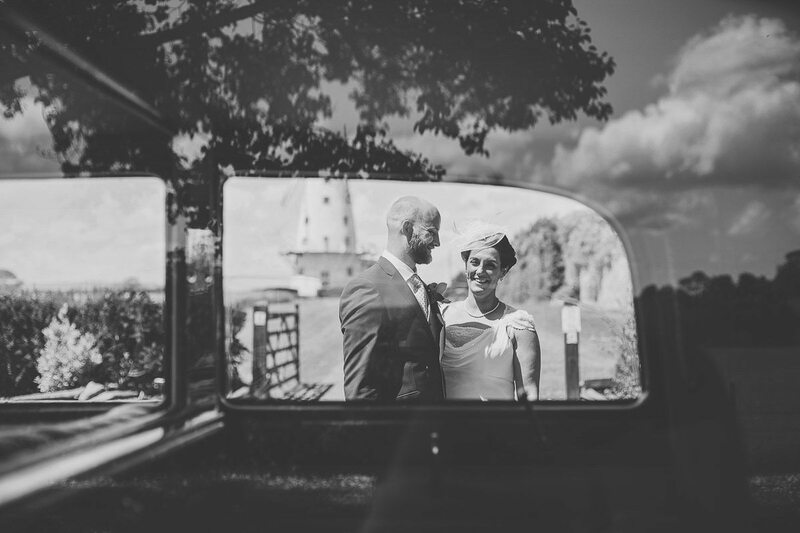 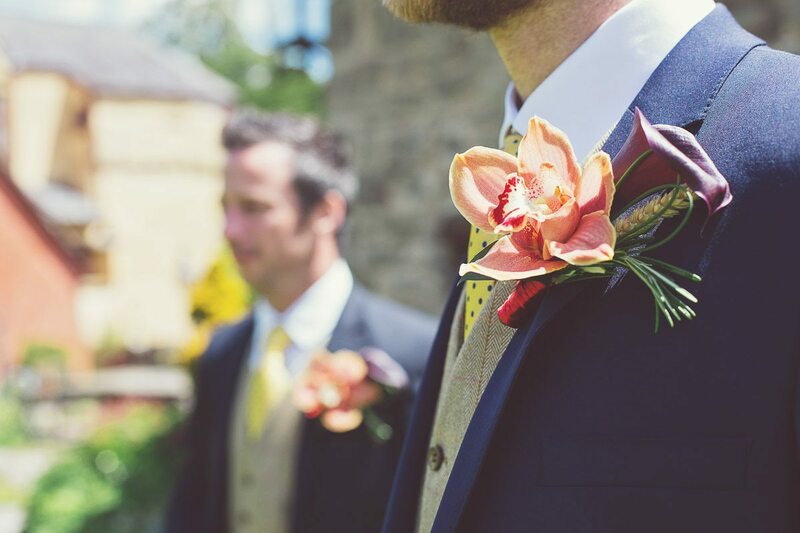 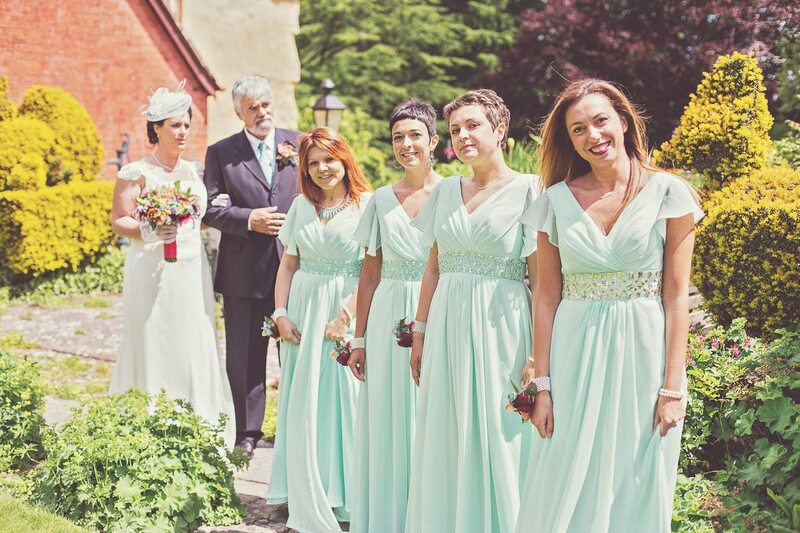 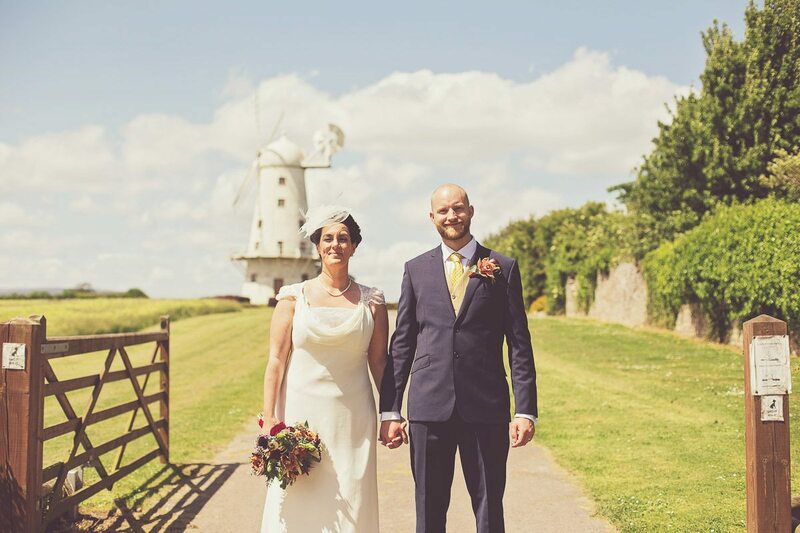 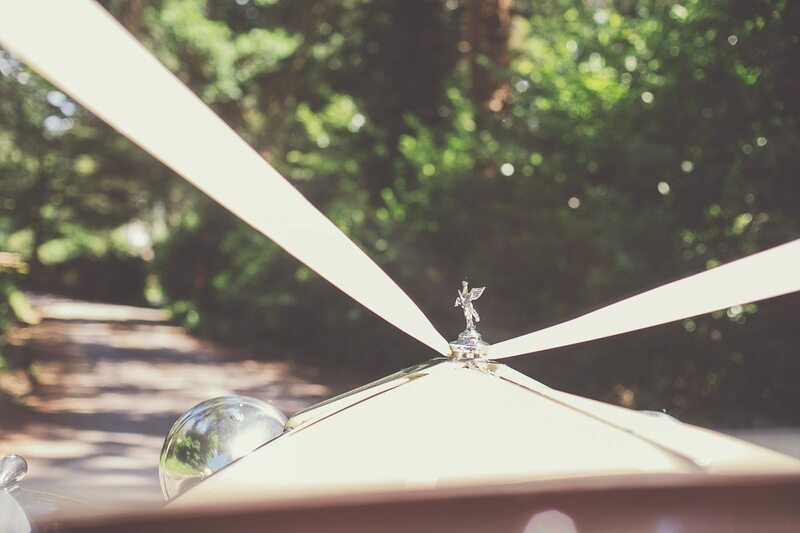 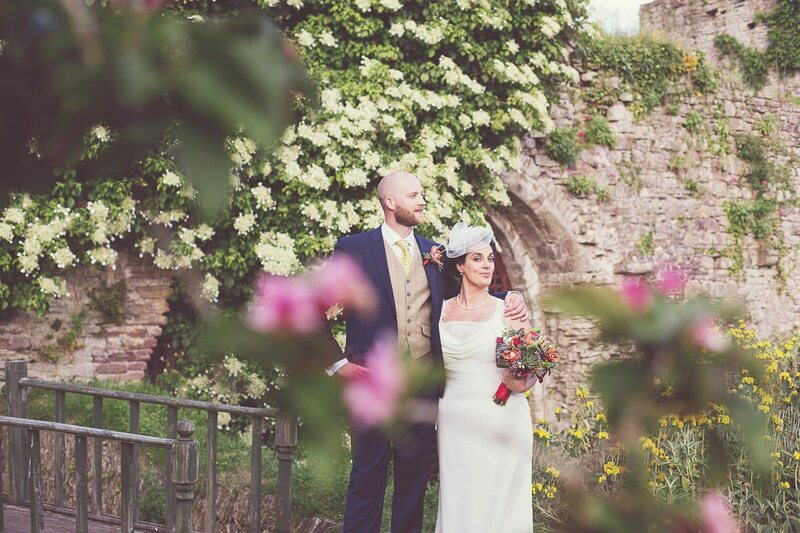 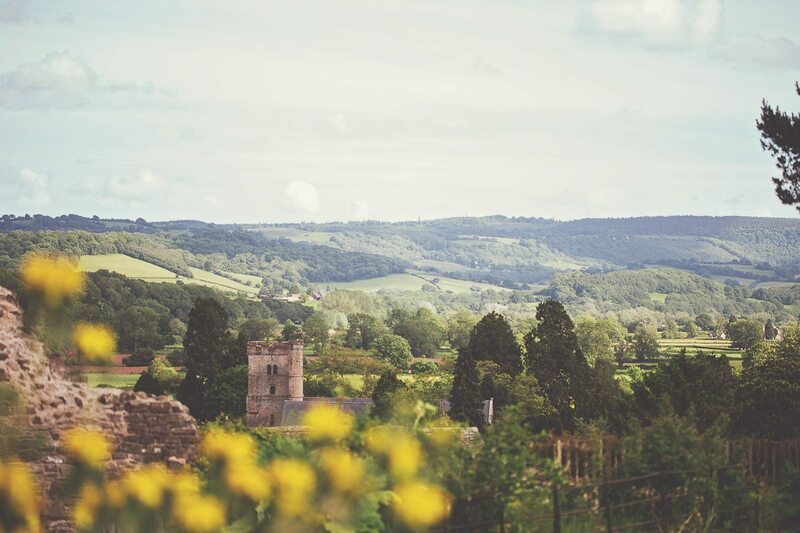 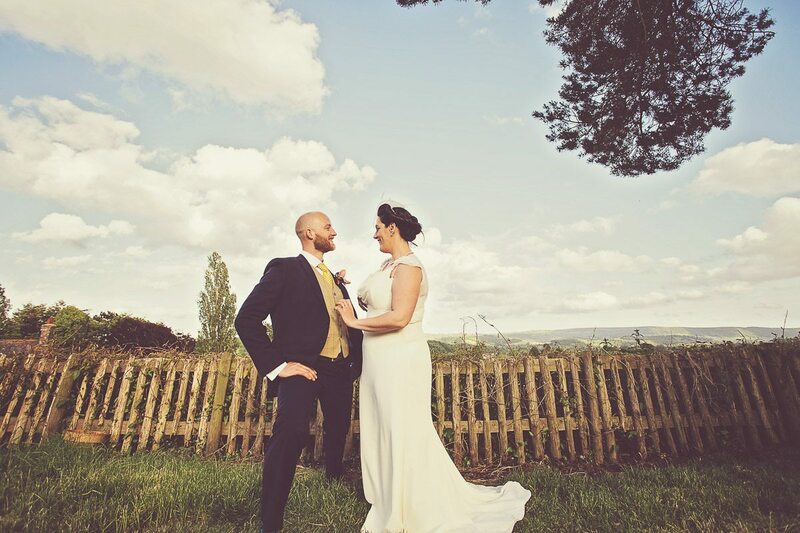 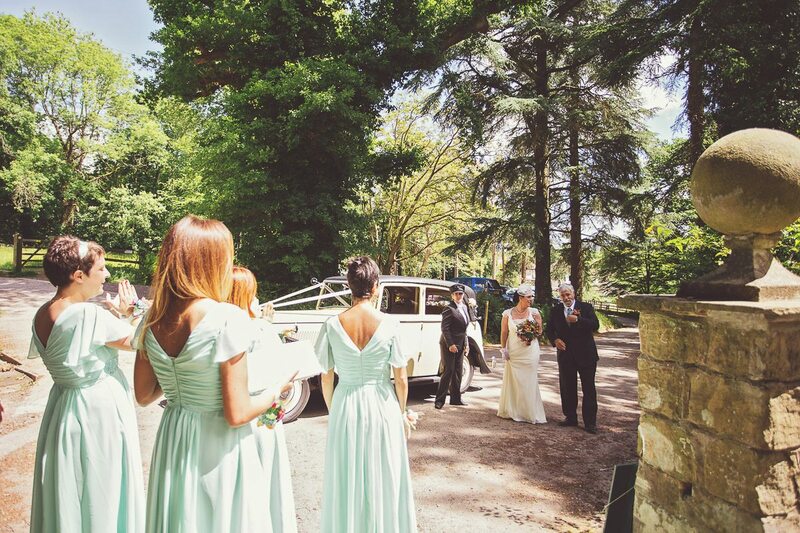 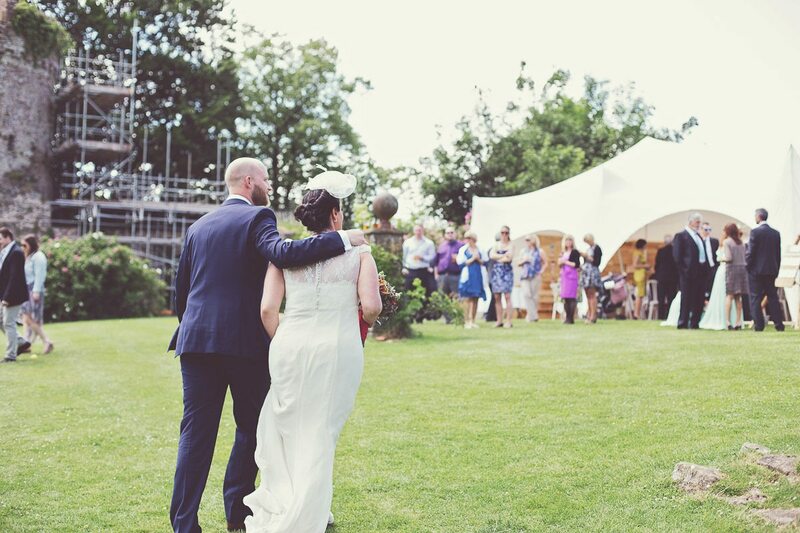 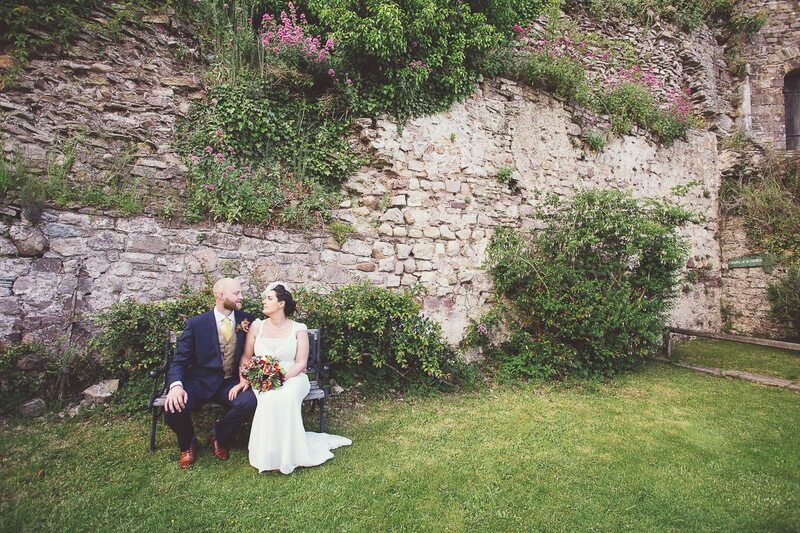 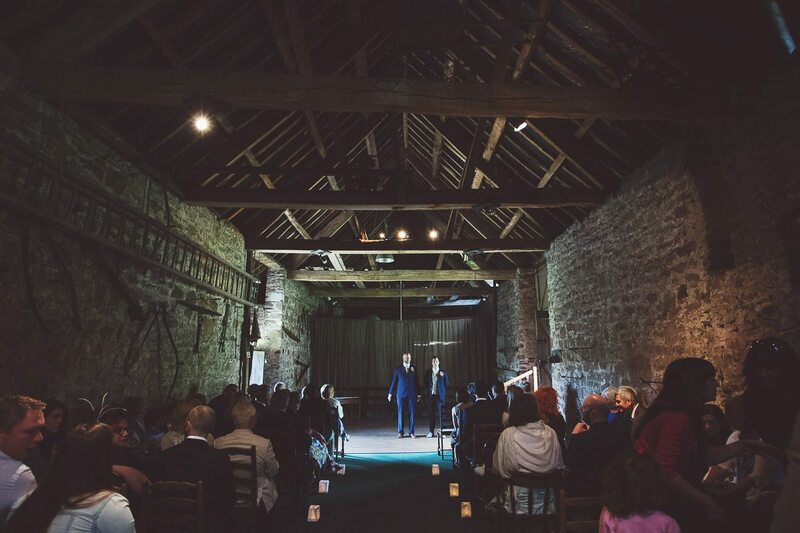 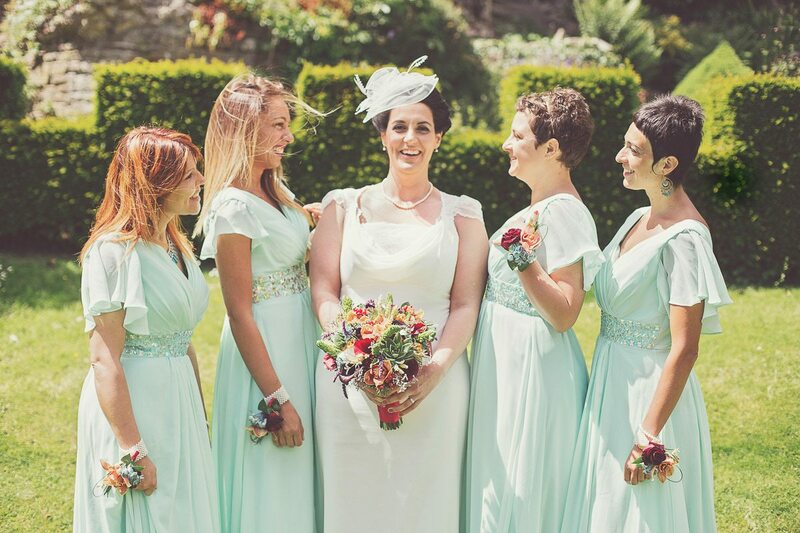 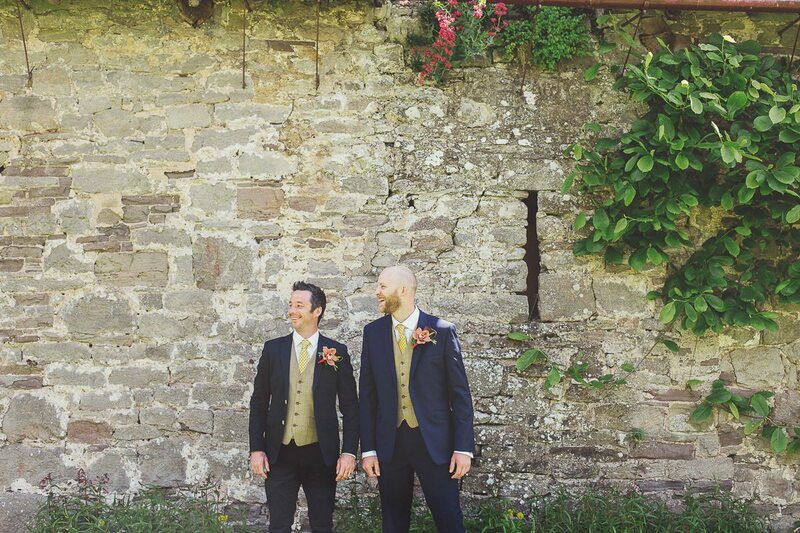 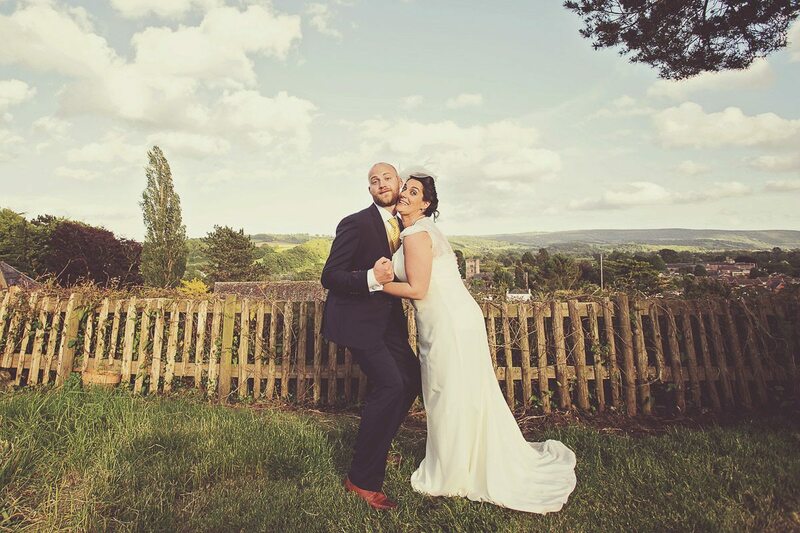 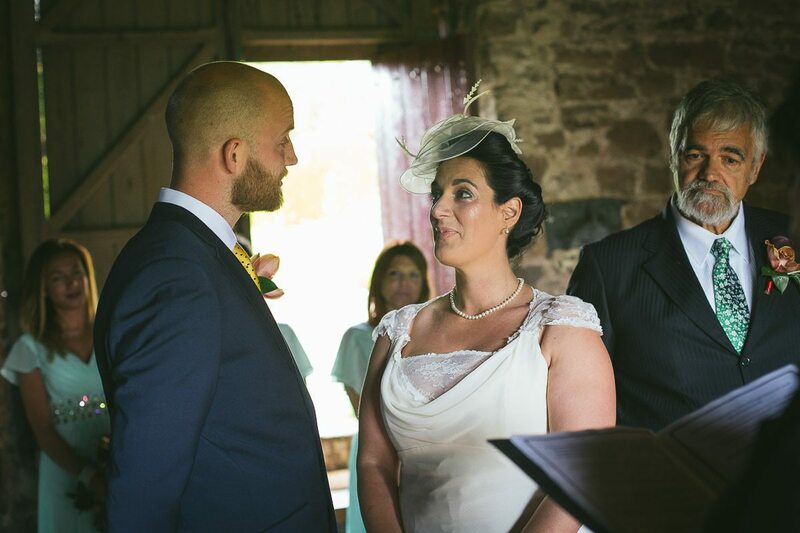 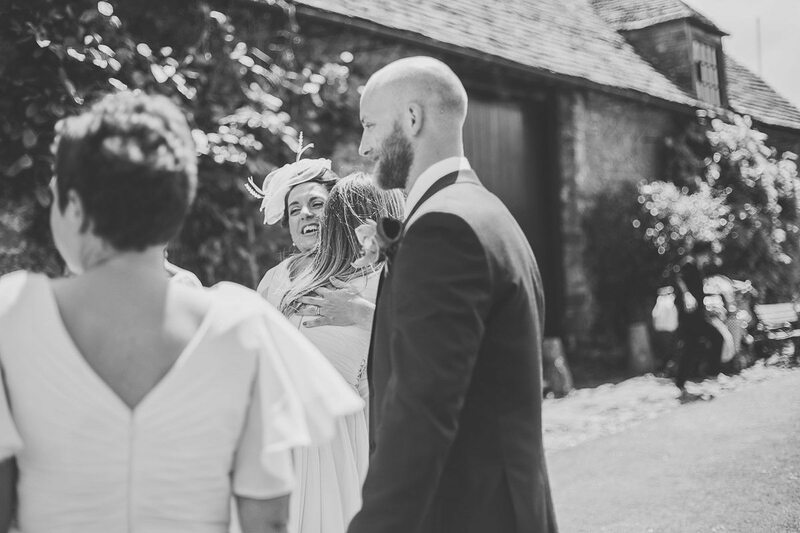 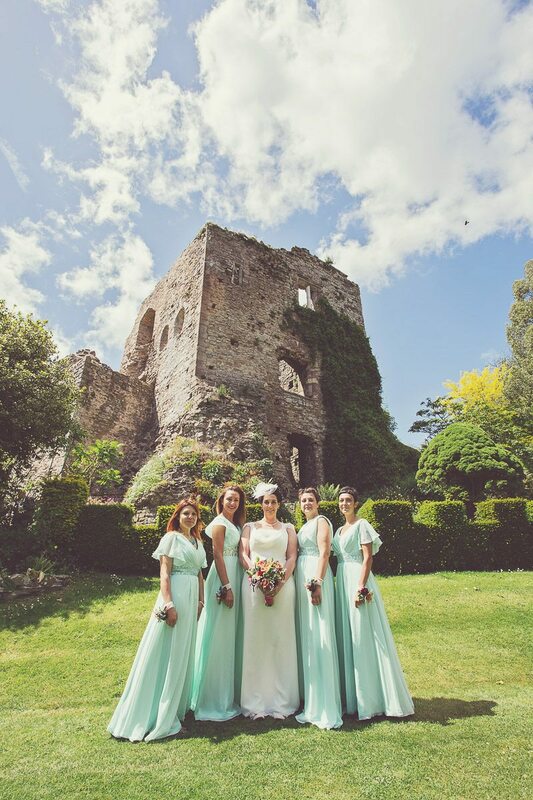 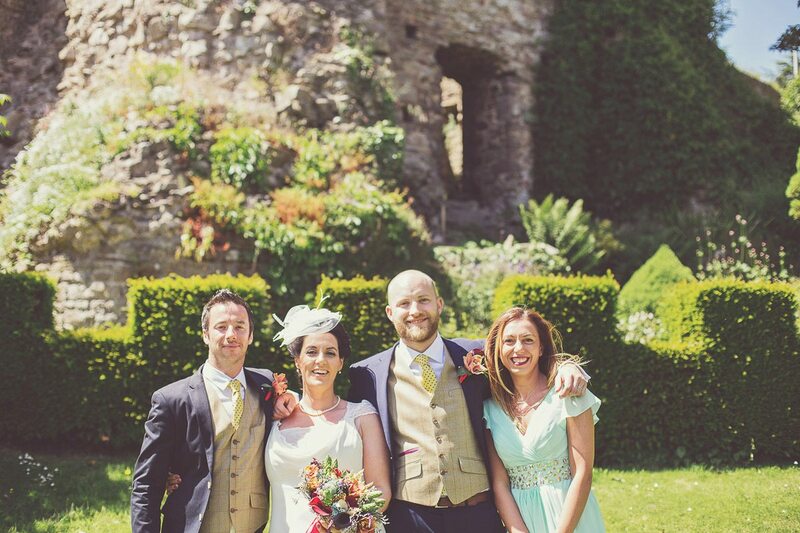 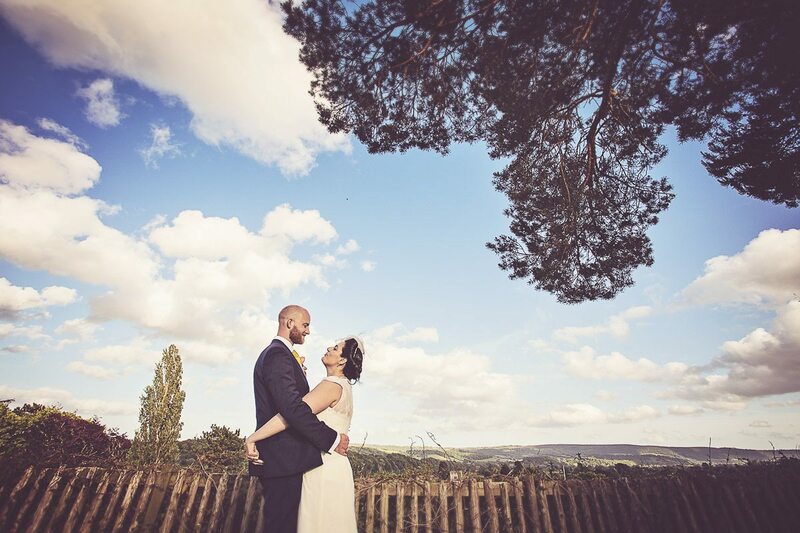 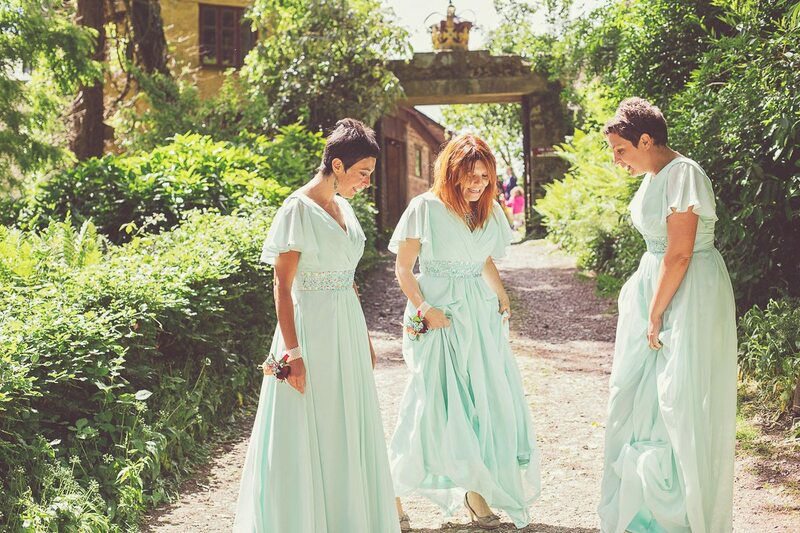 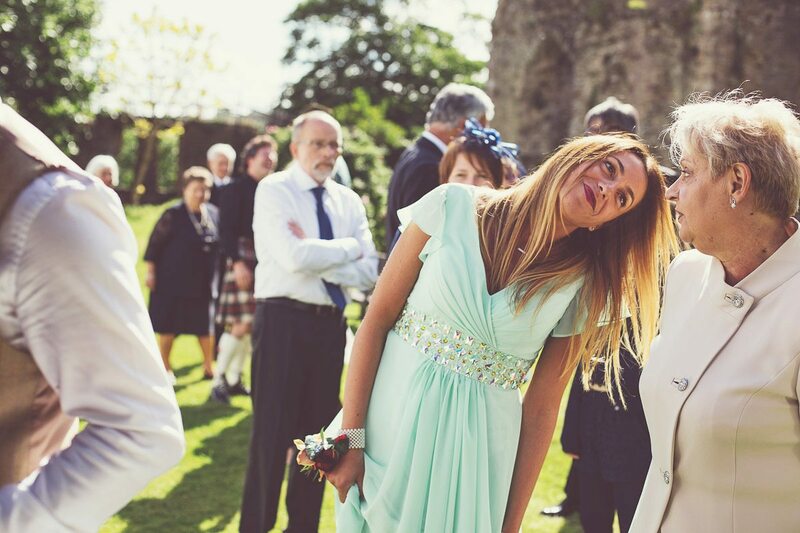 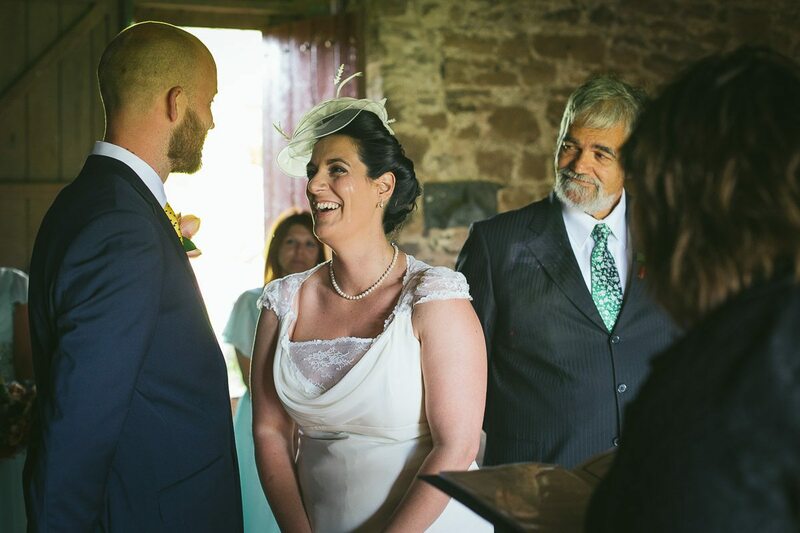 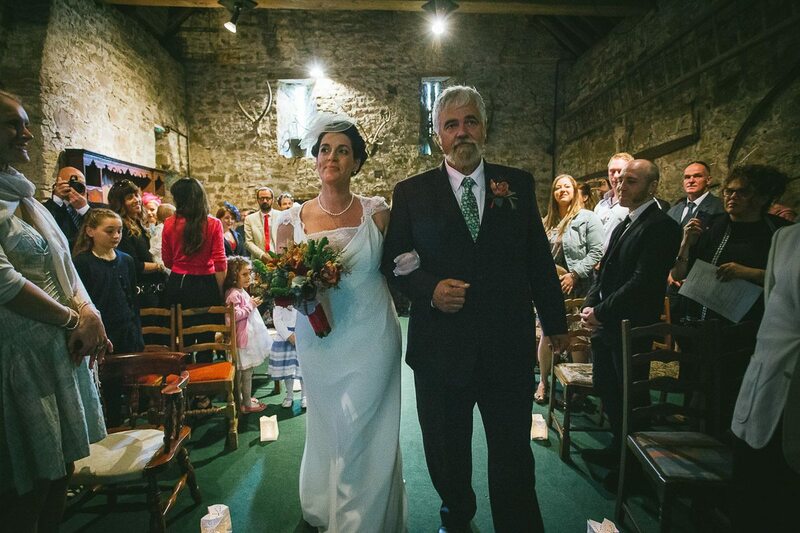 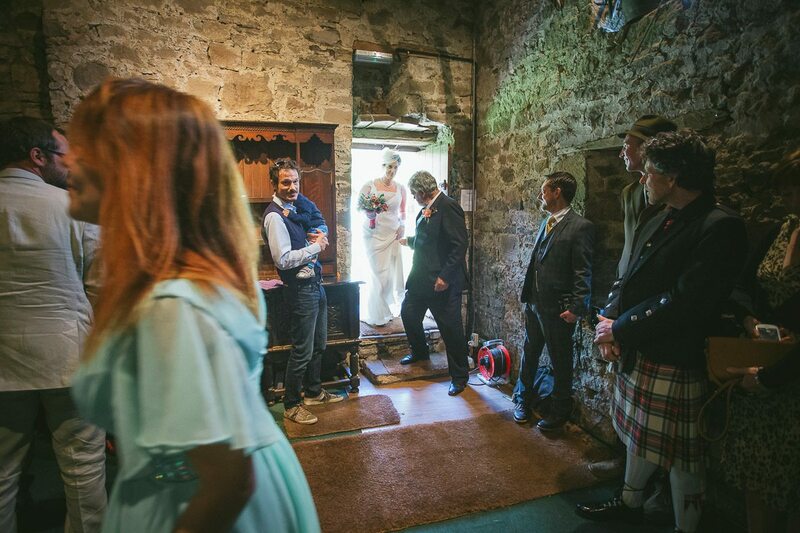 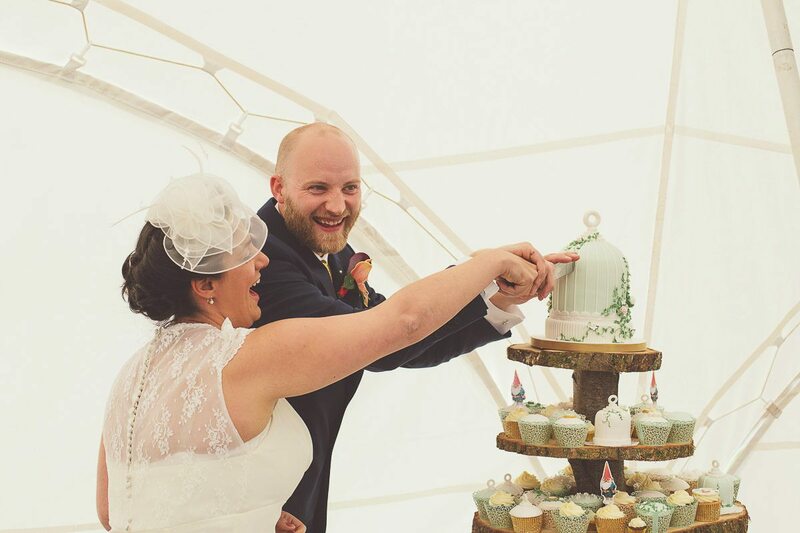 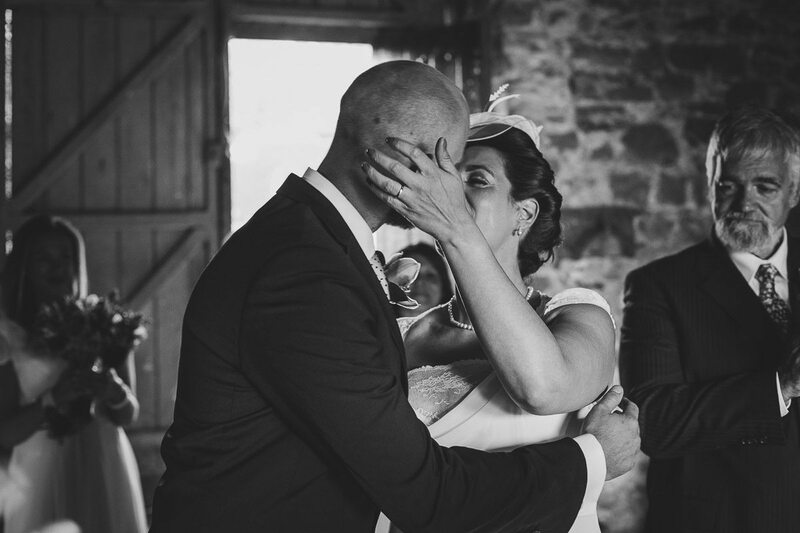 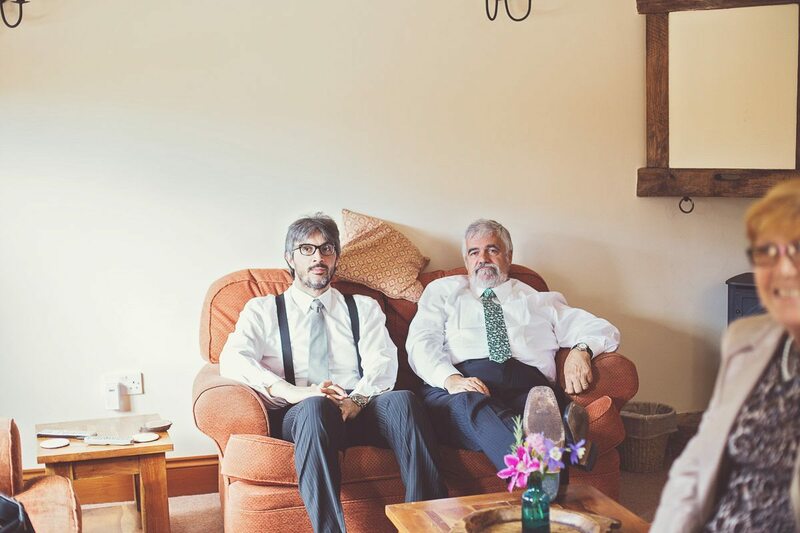 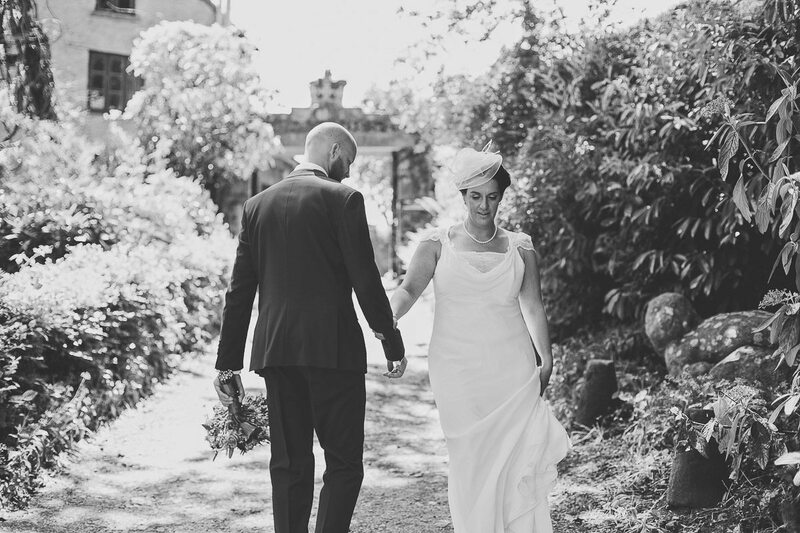 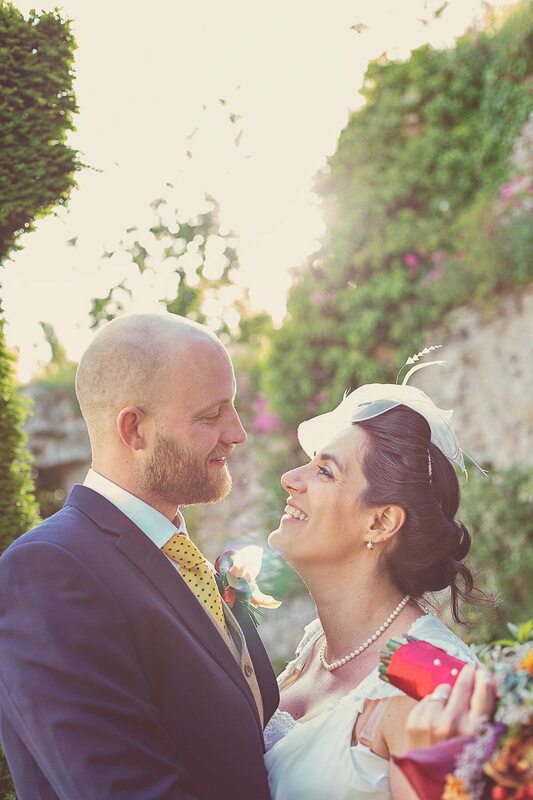 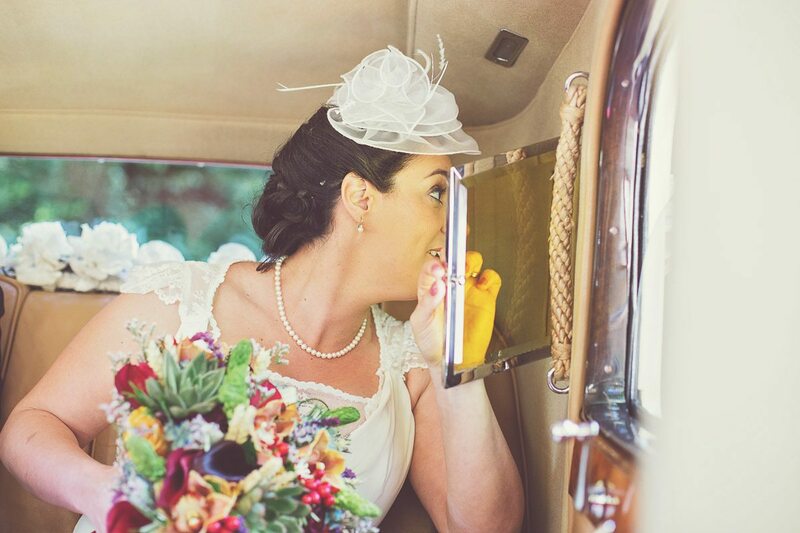 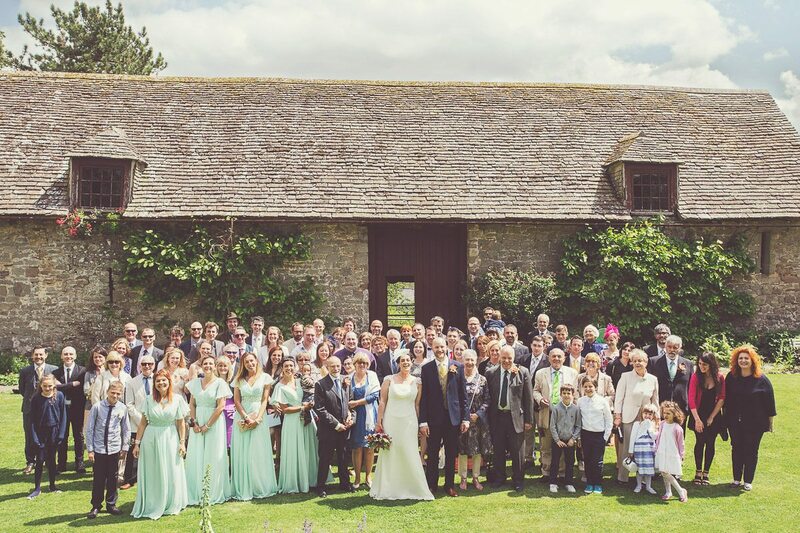 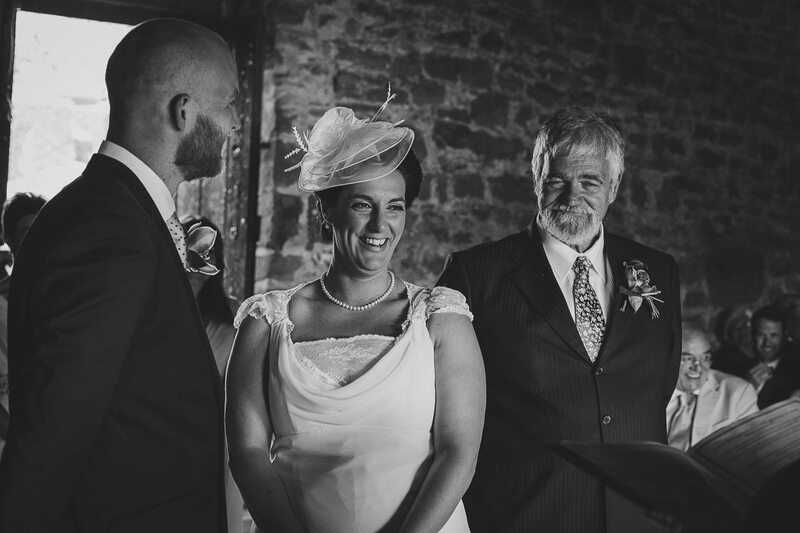 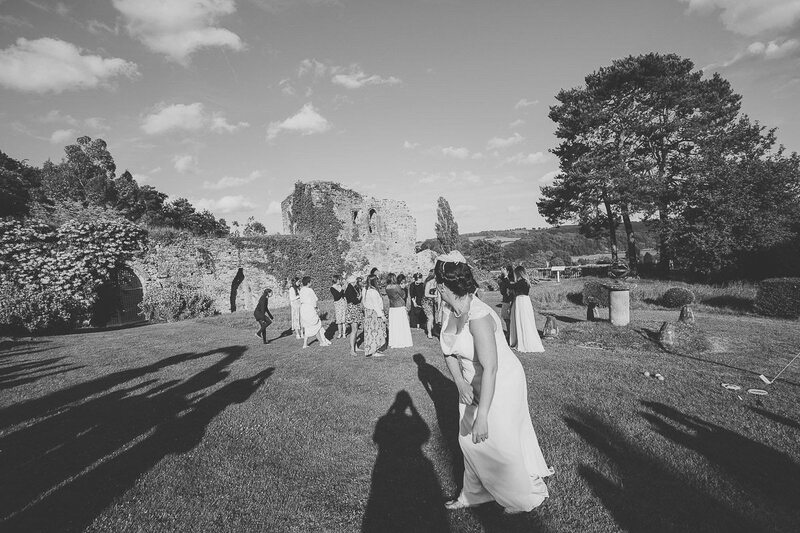 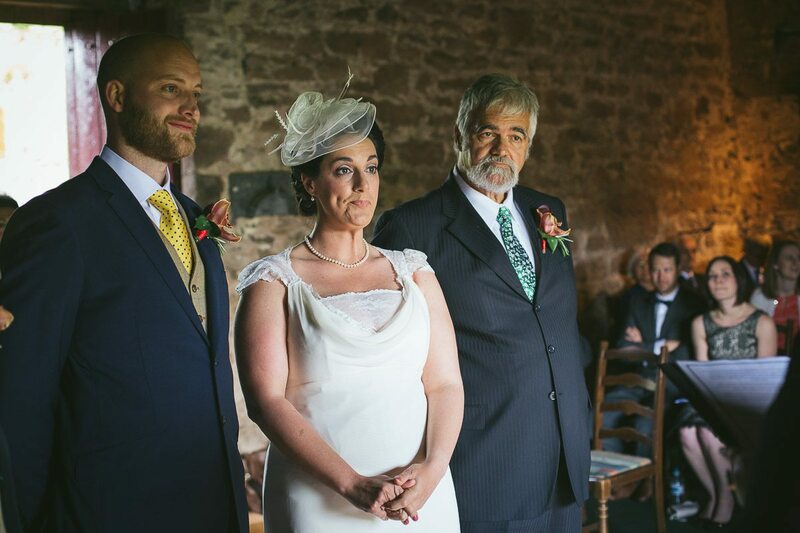 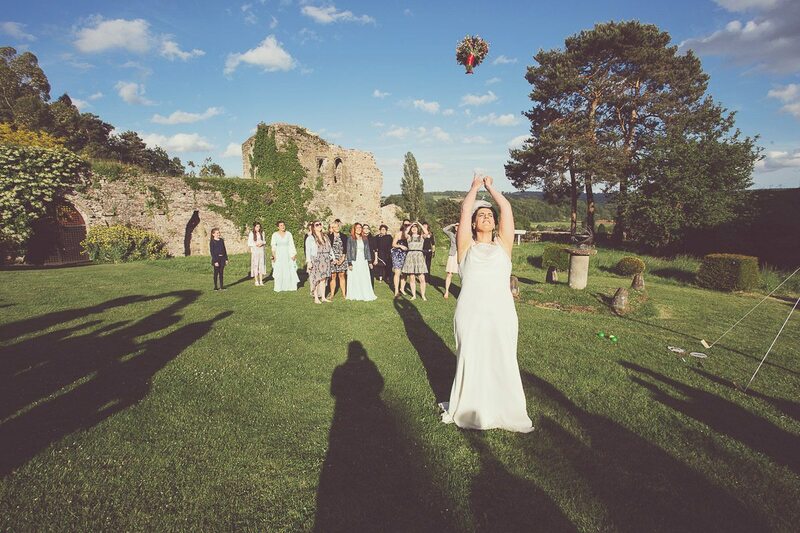 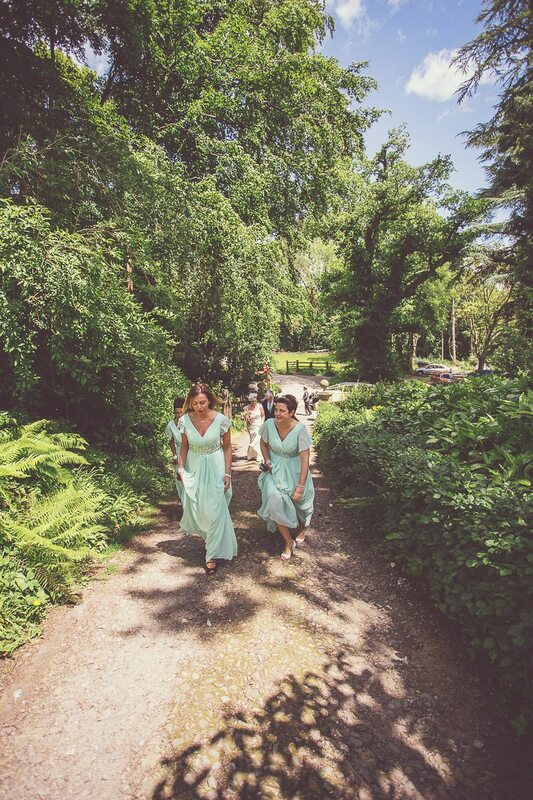 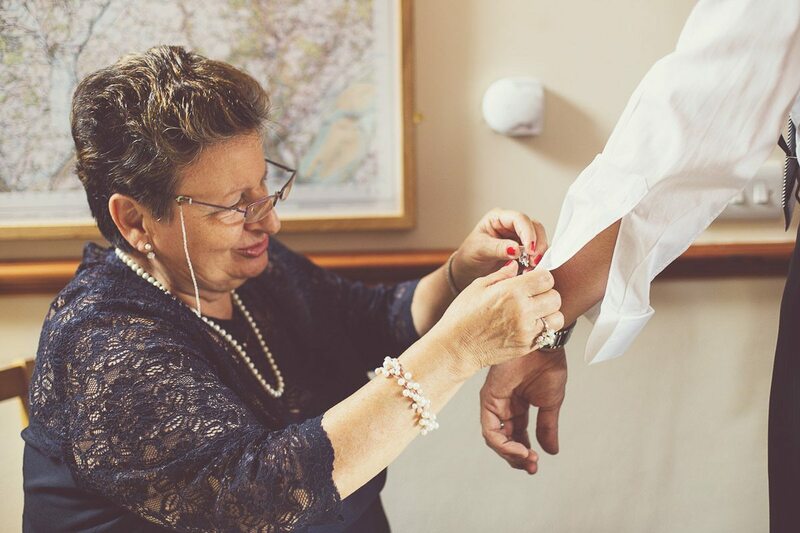 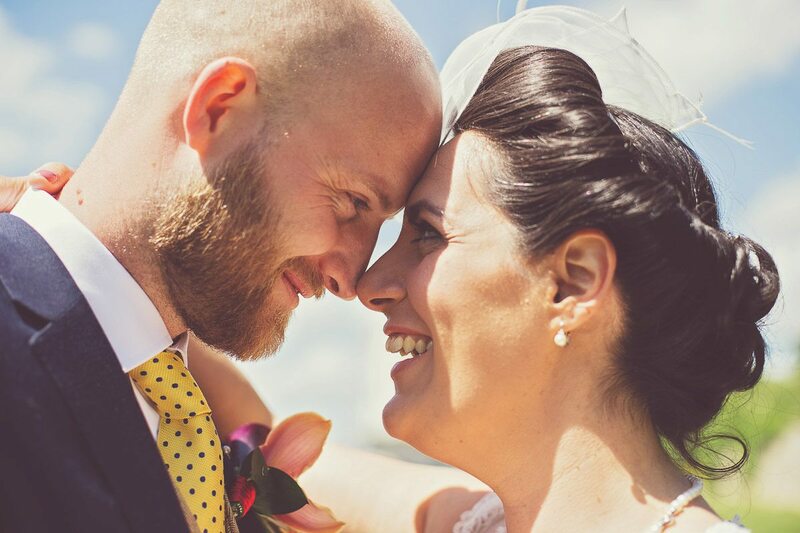 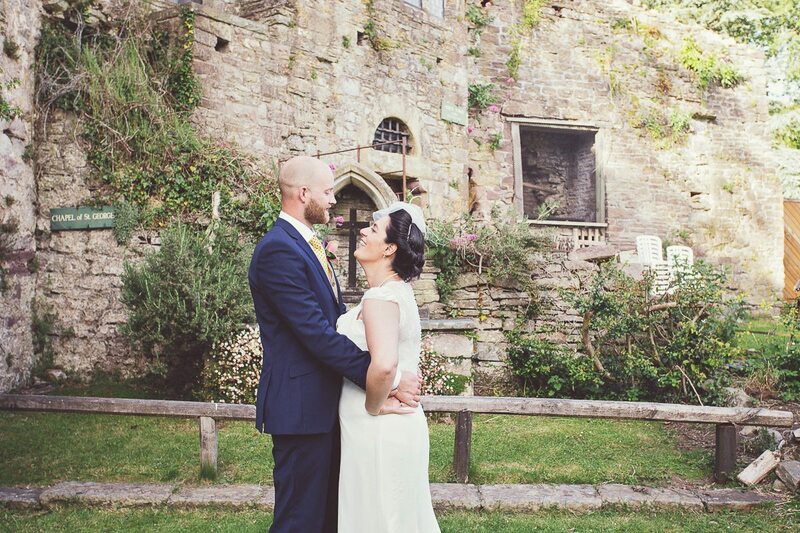 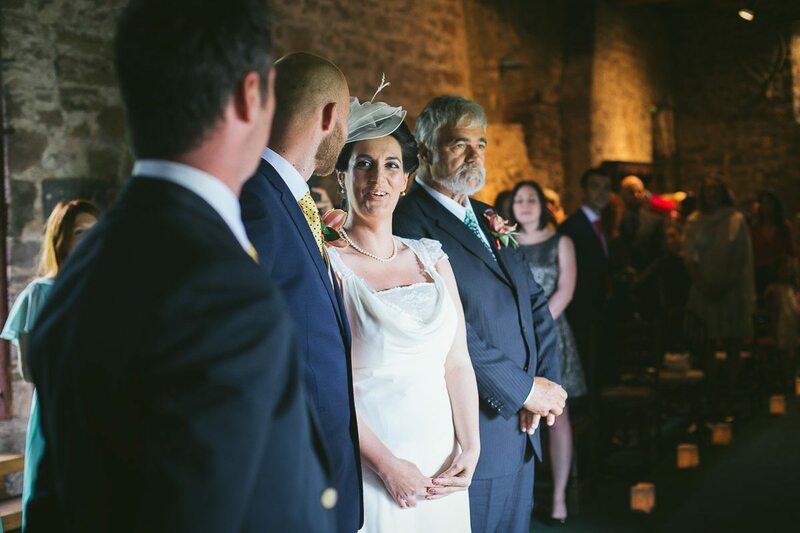 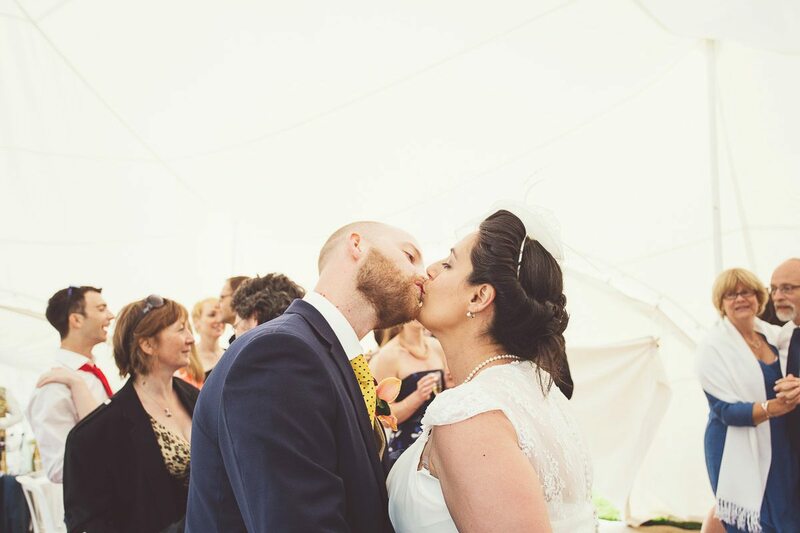 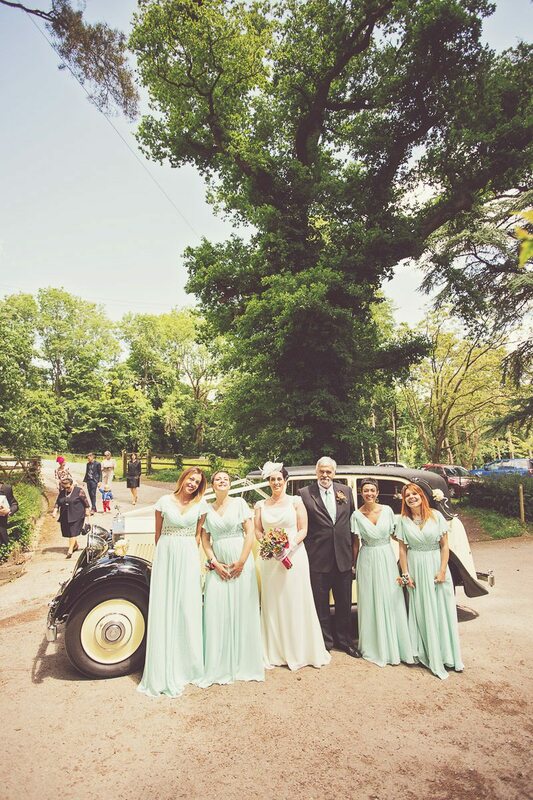 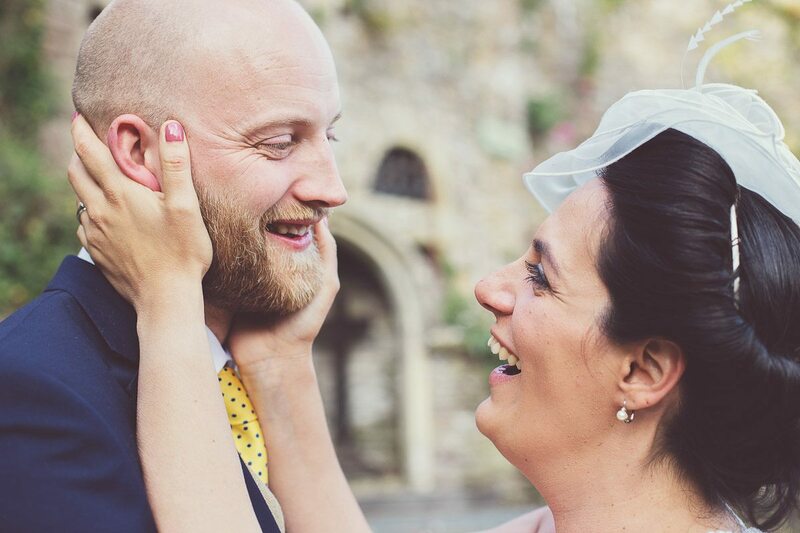 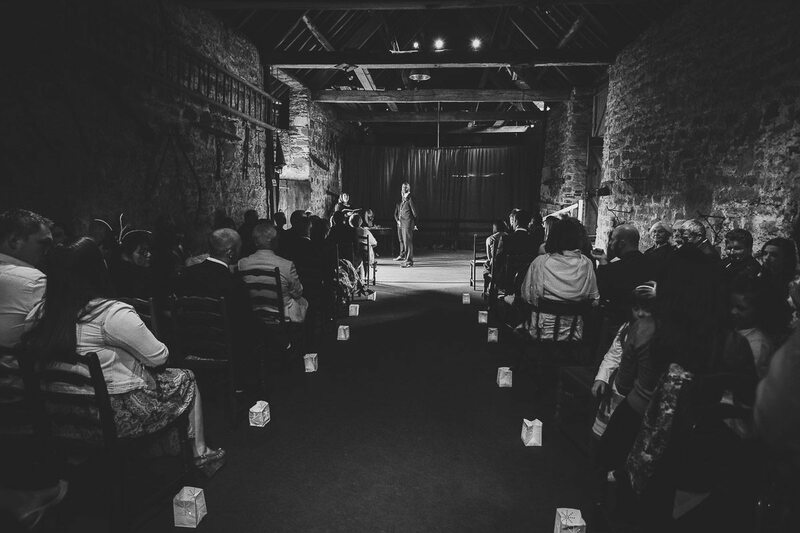 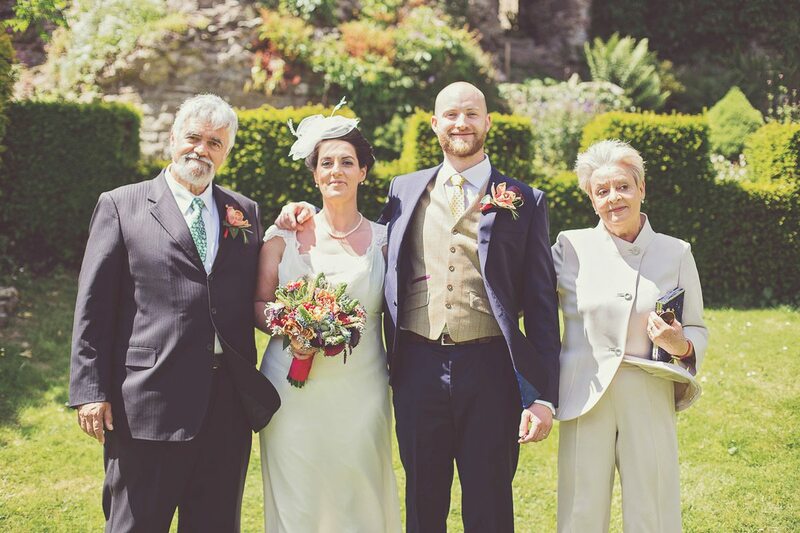 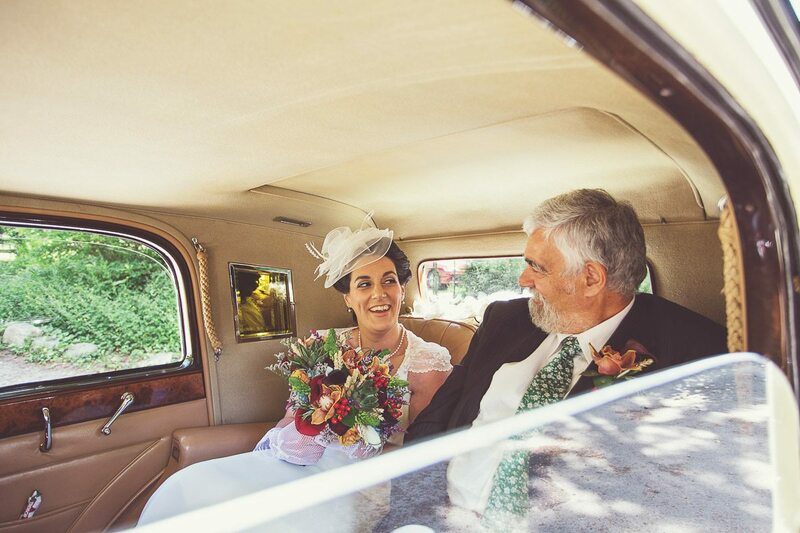 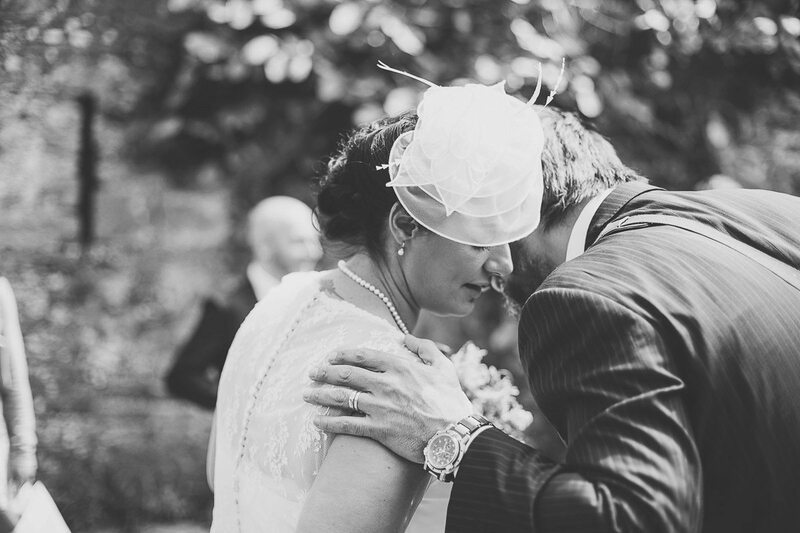 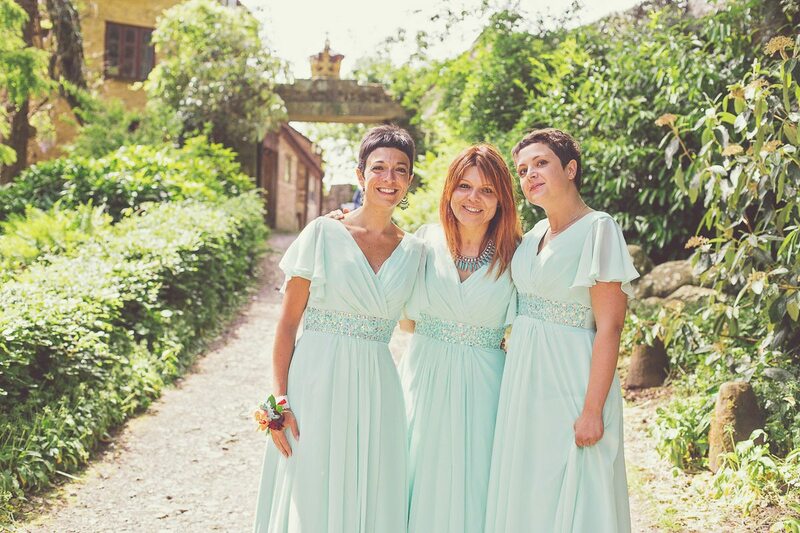 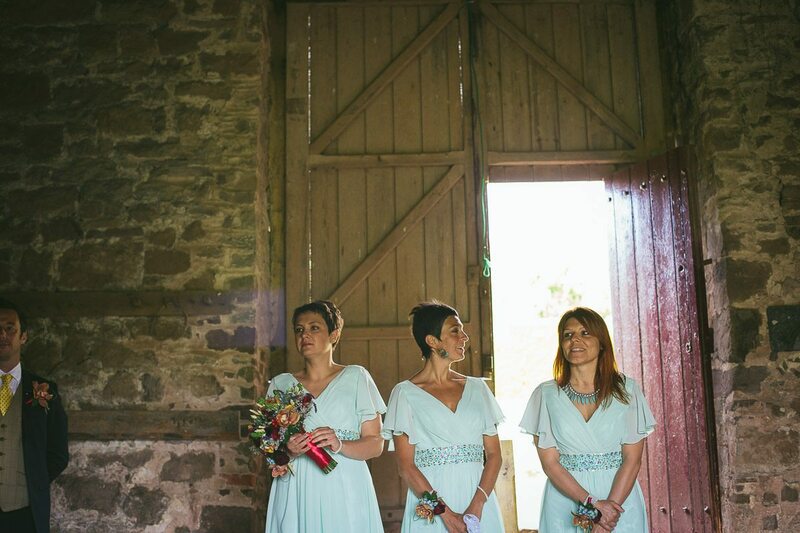 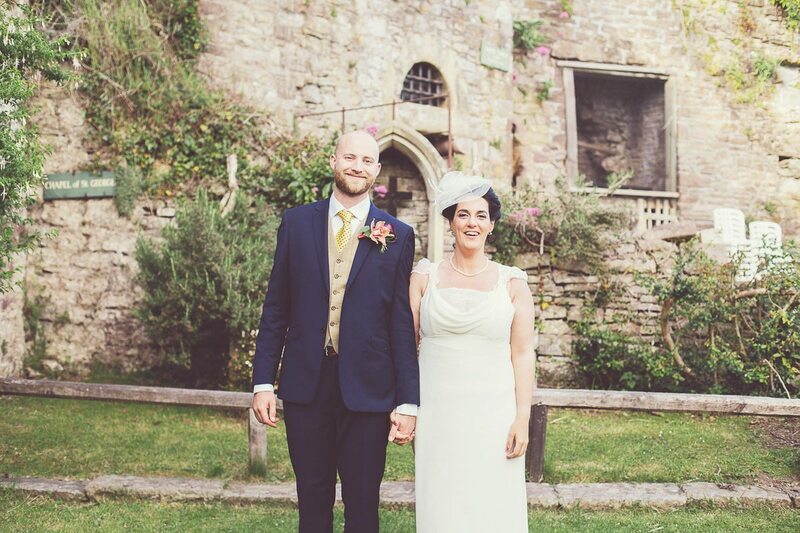 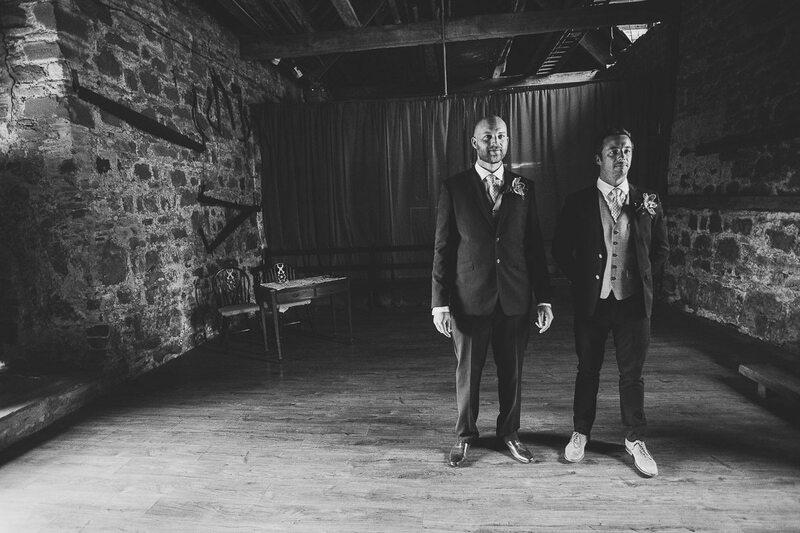 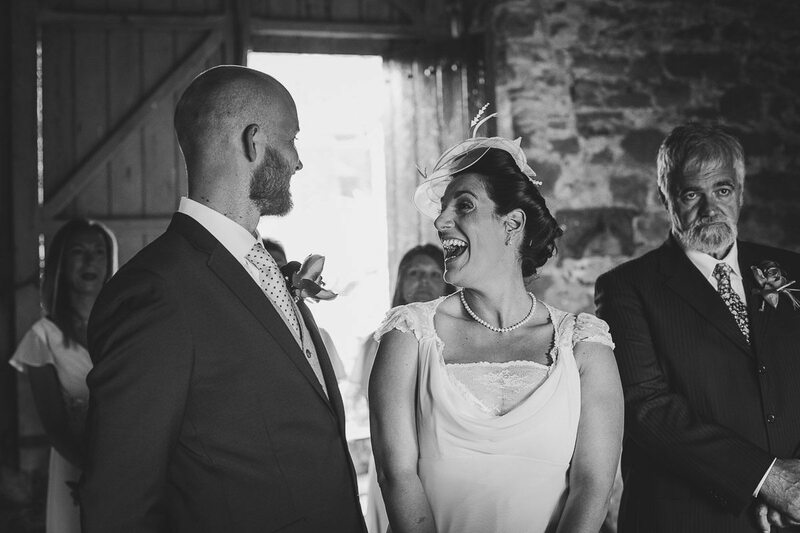 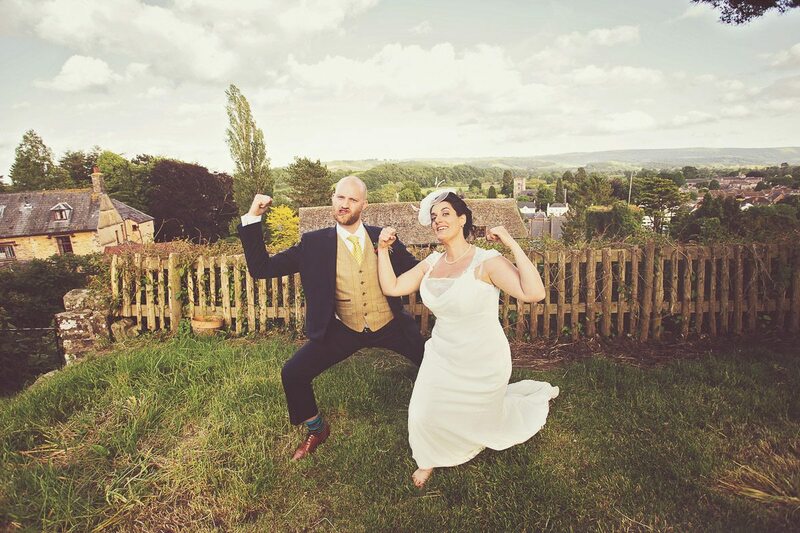 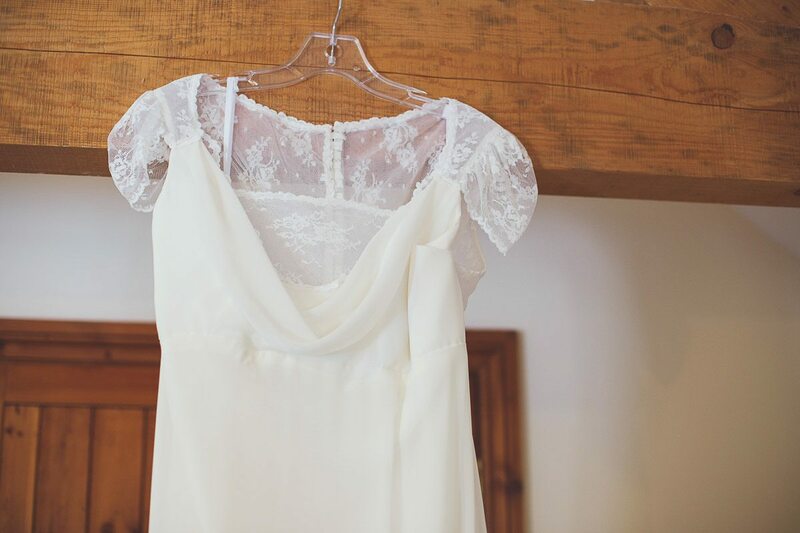 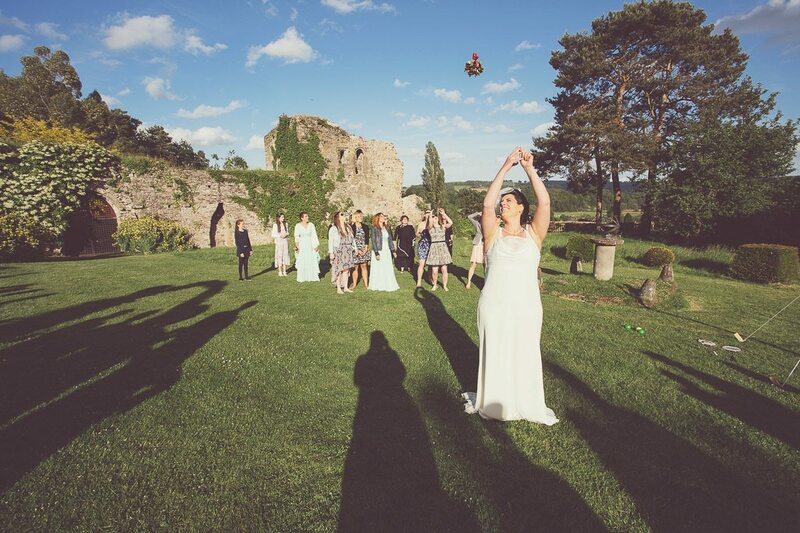 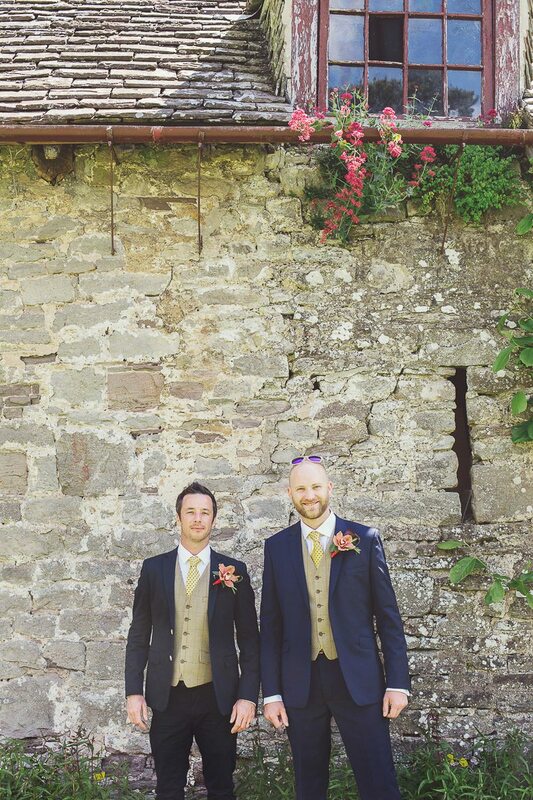 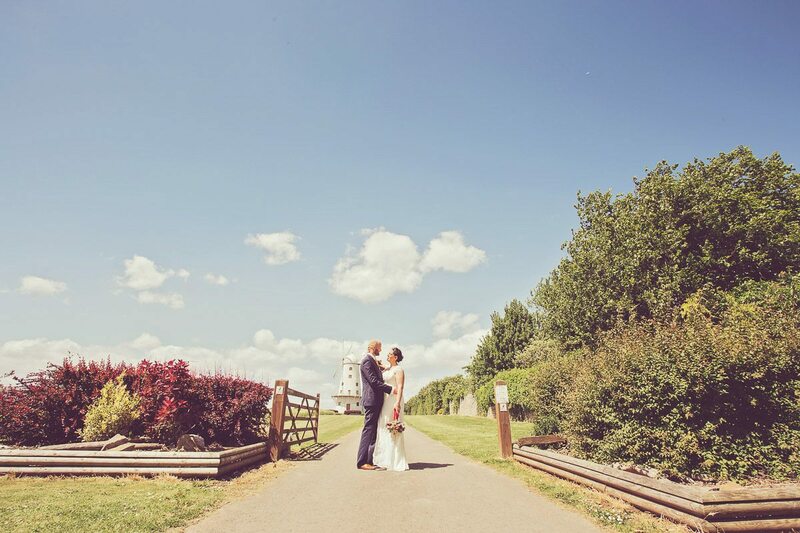 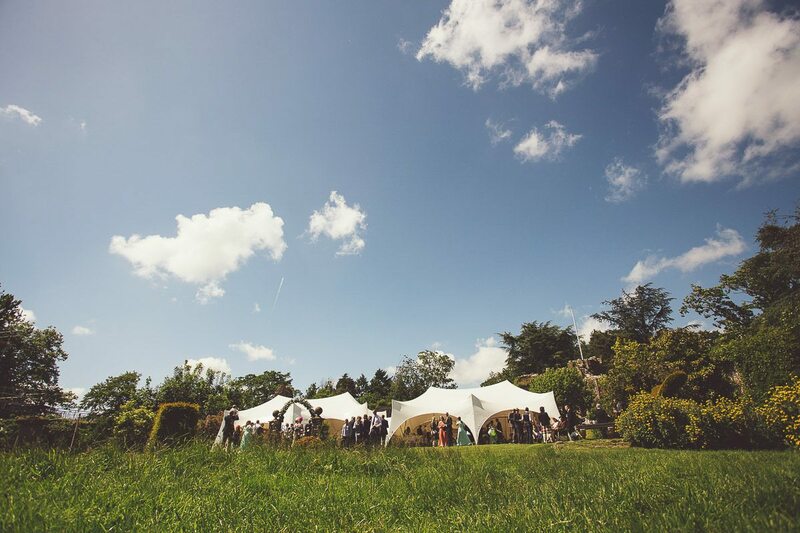 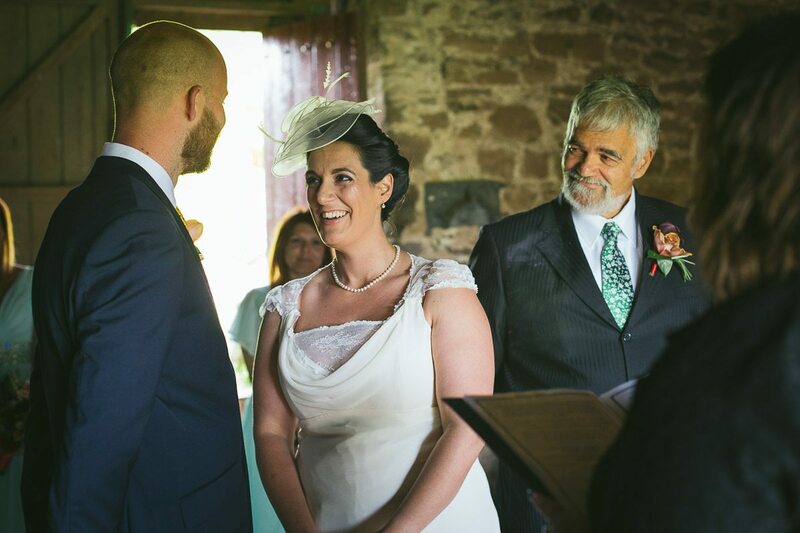 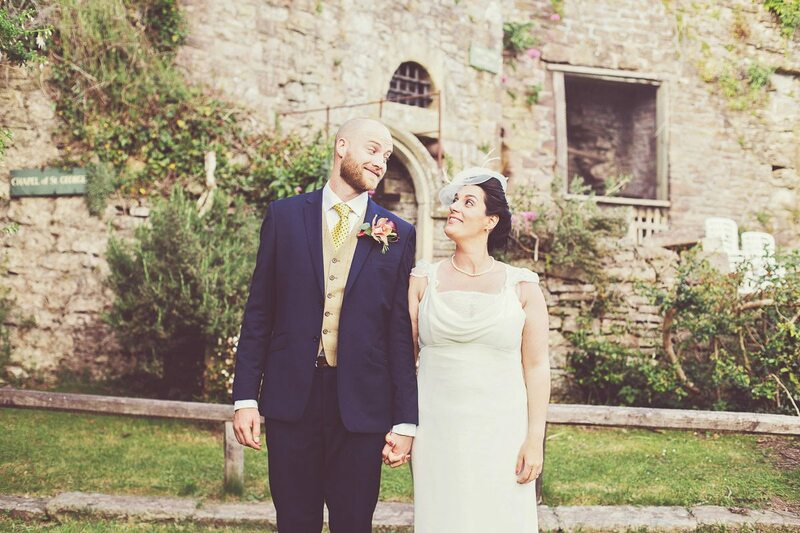 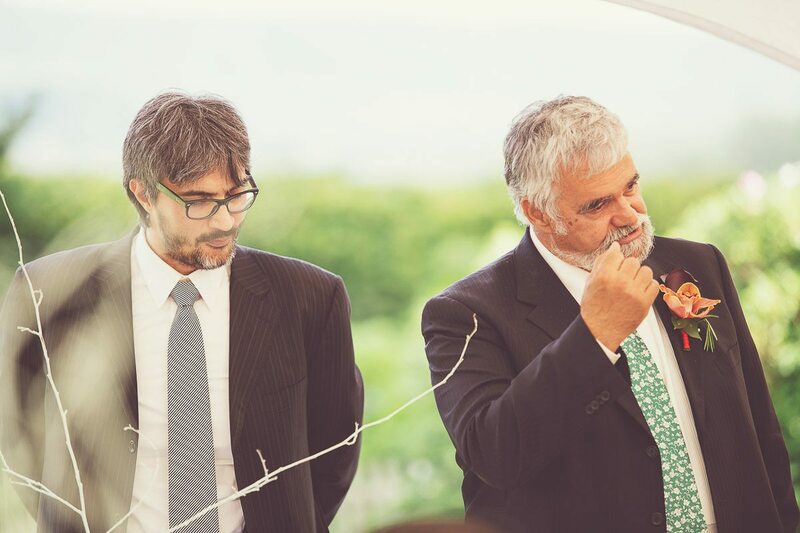 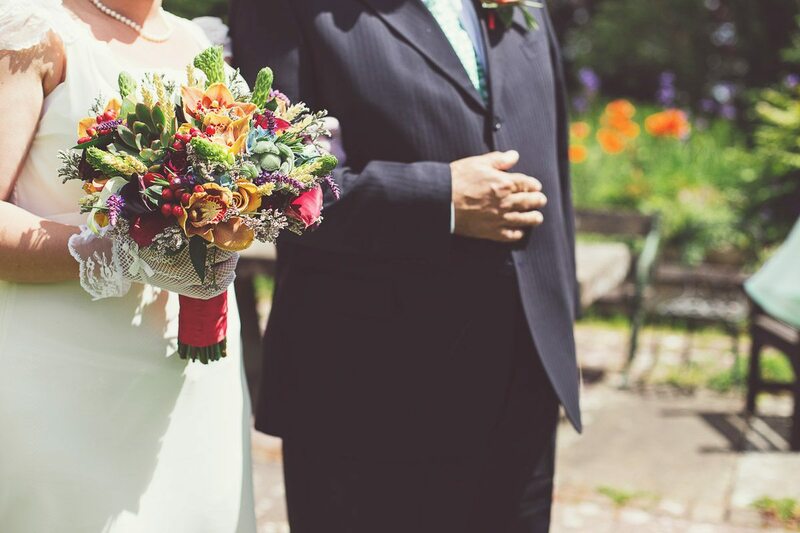 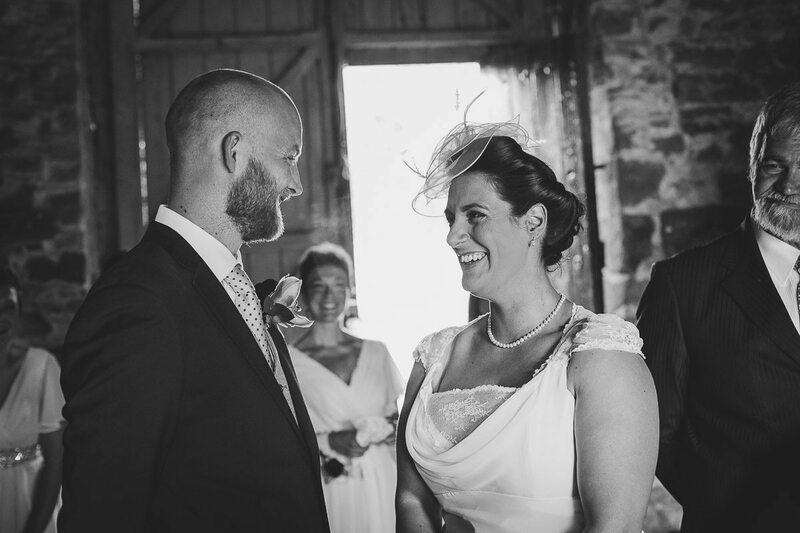 Stewart & Silvia’s Italian wedding was at Usk Castle on a beautiful June day in Monmouthshire. 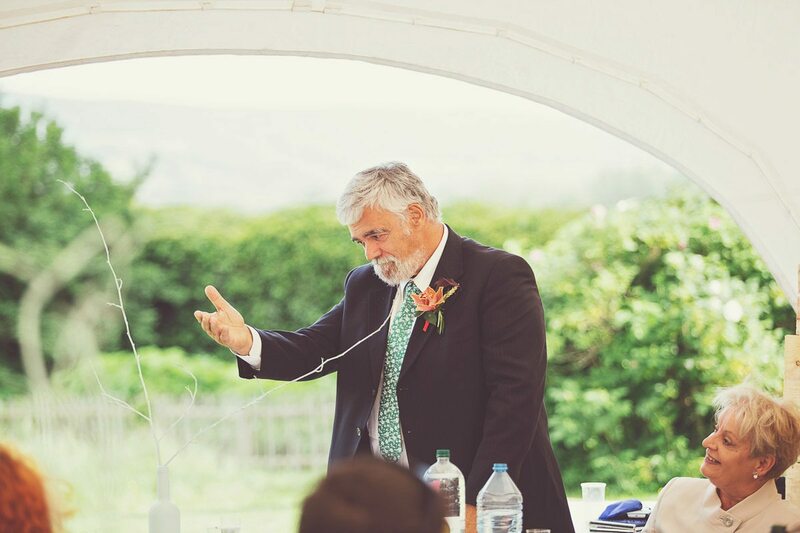 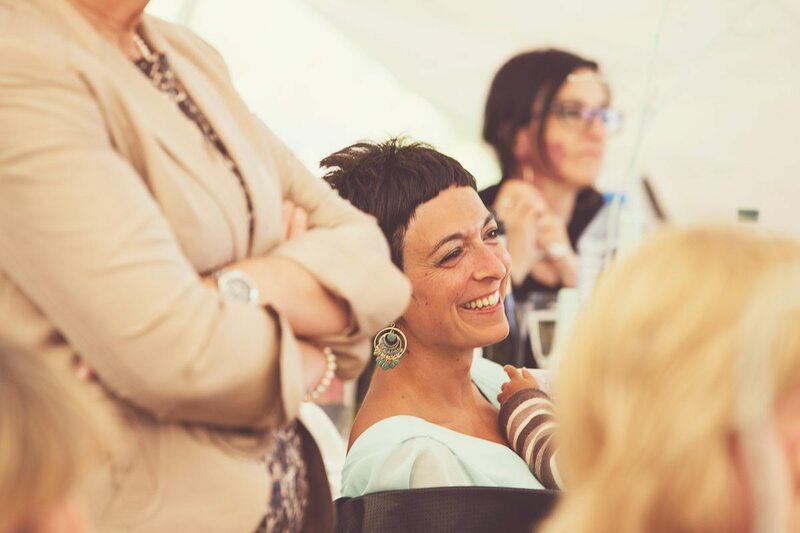 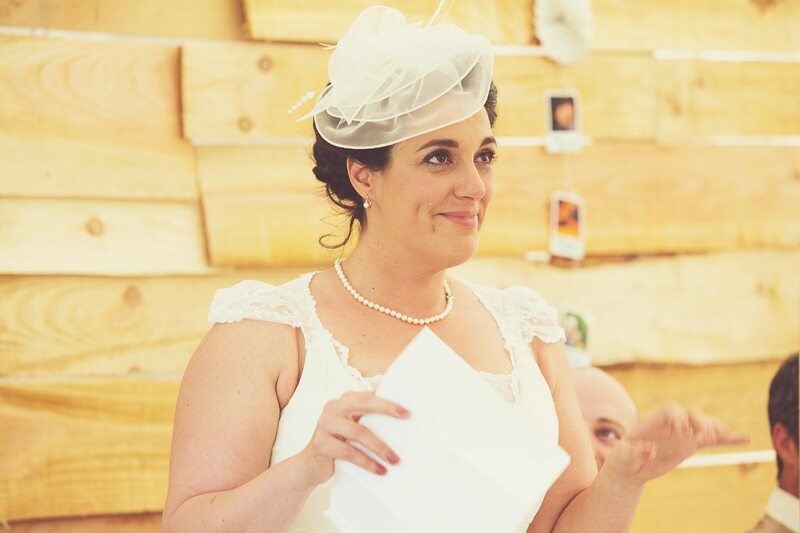 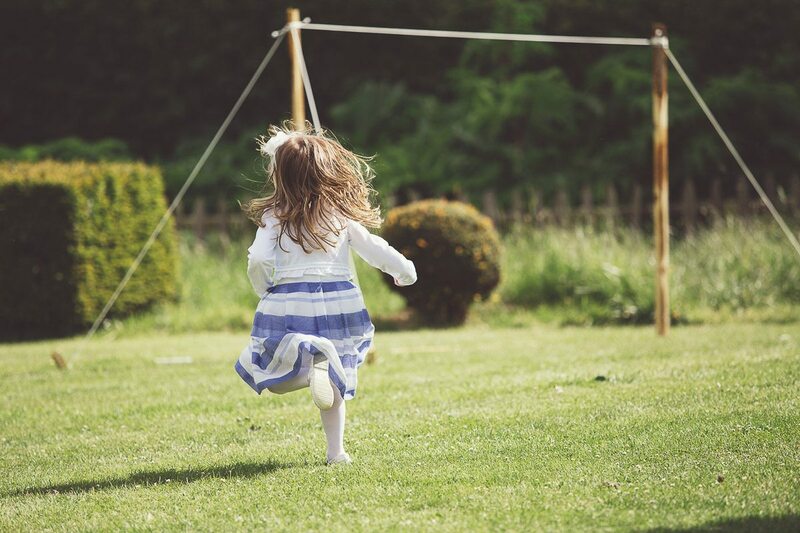 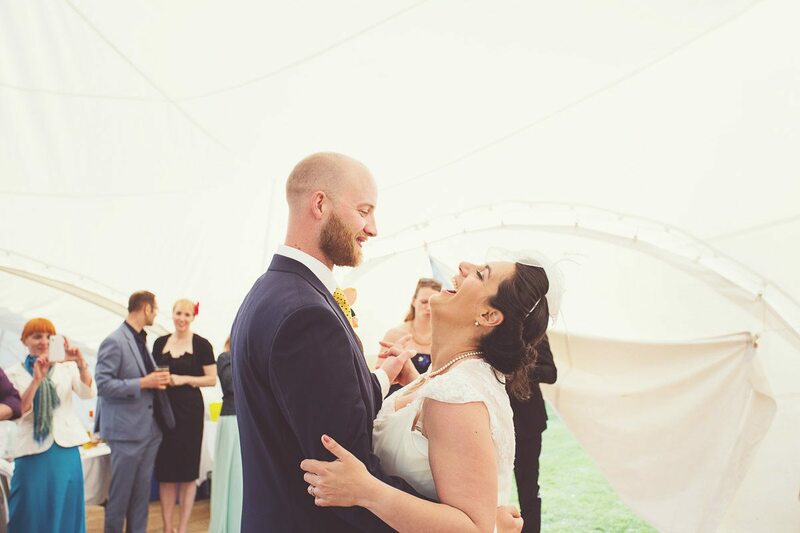 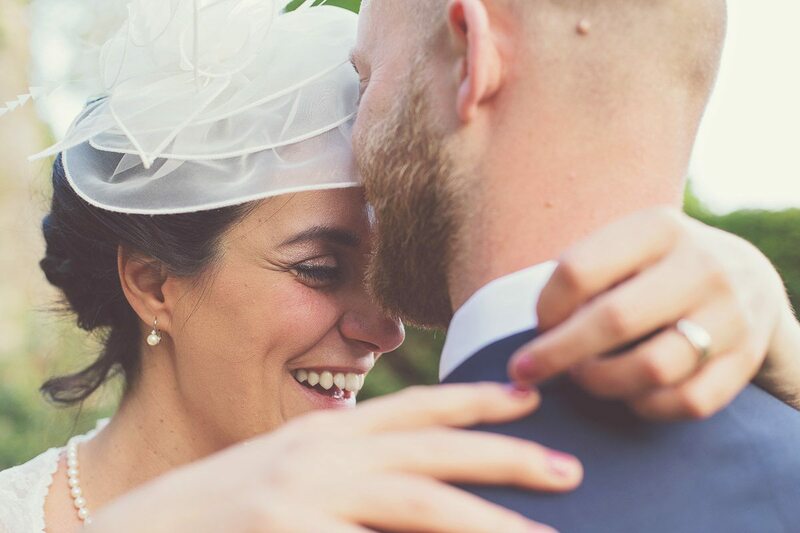 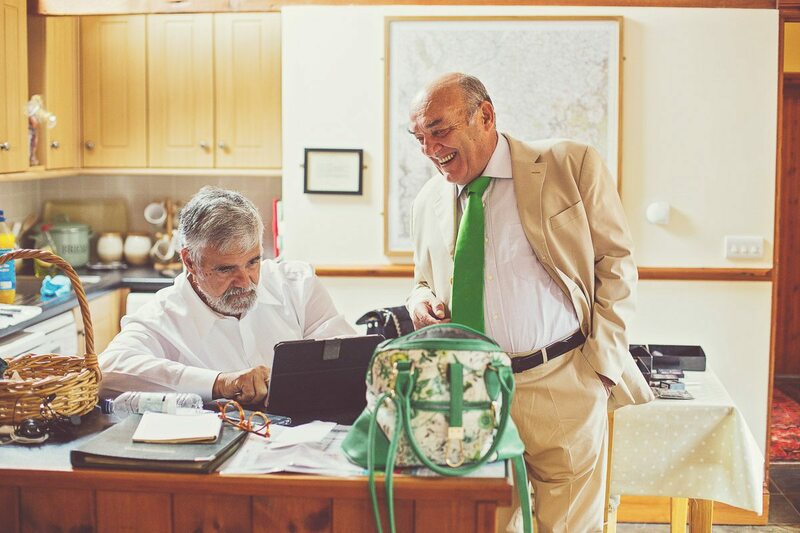 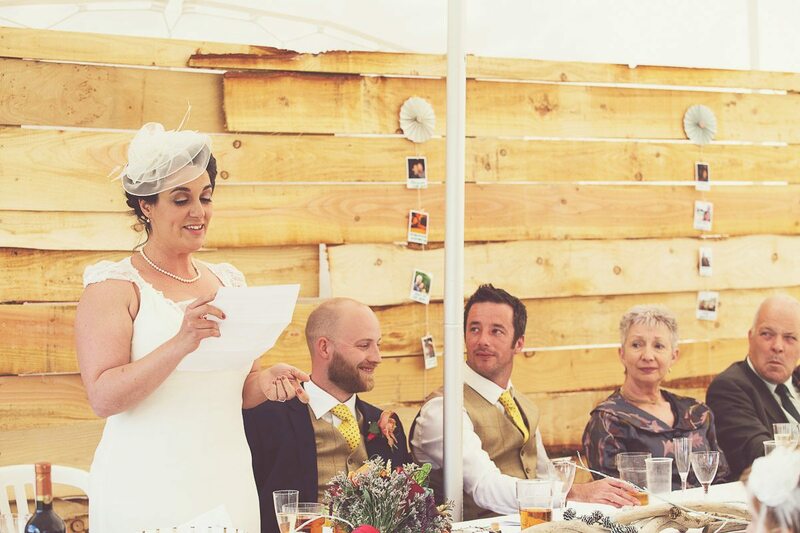 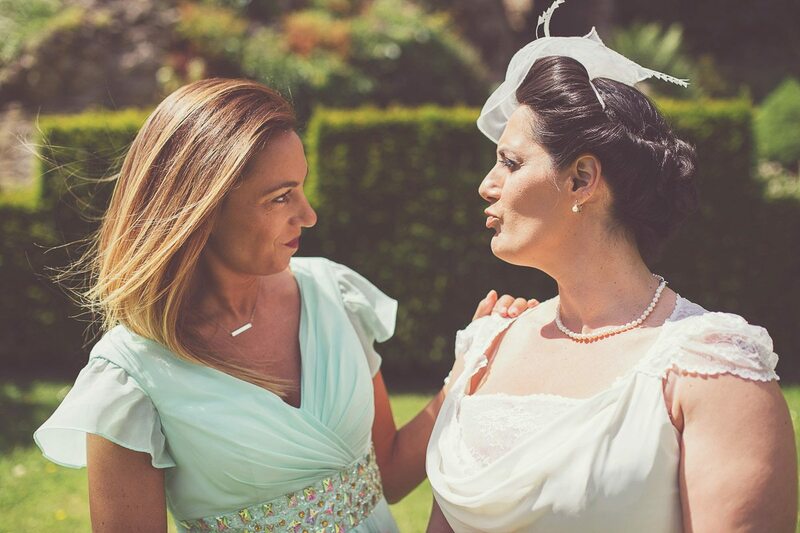 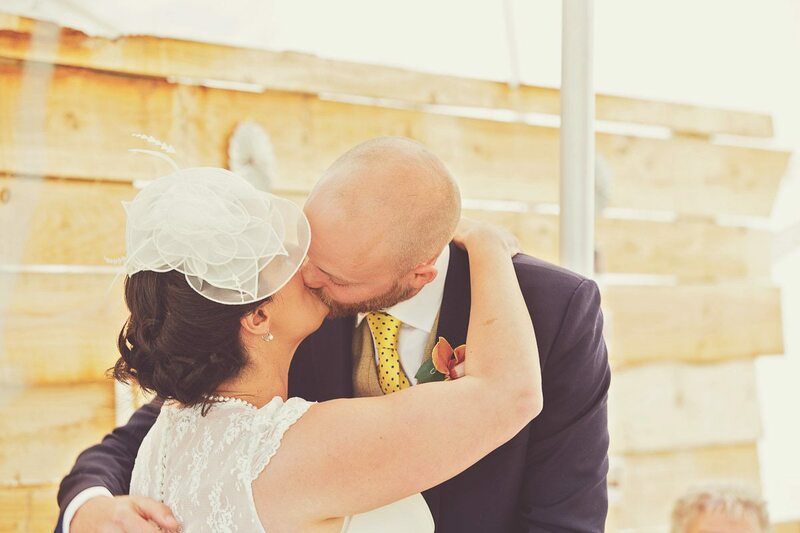 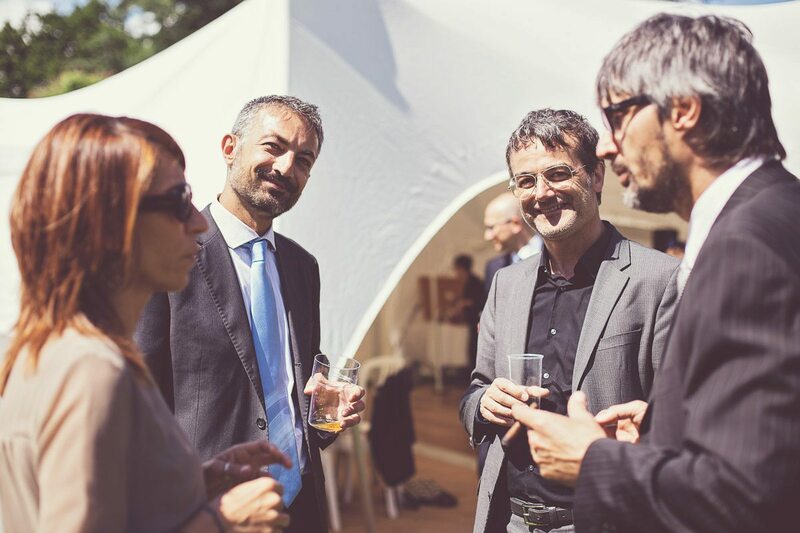 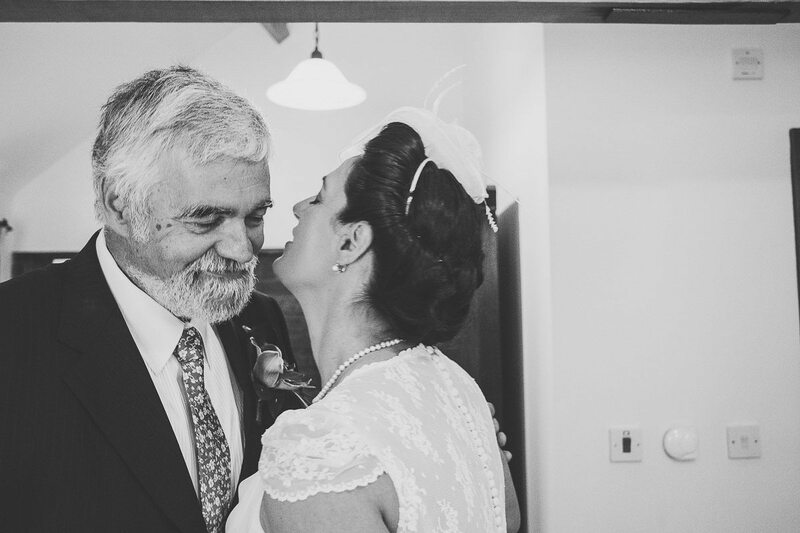 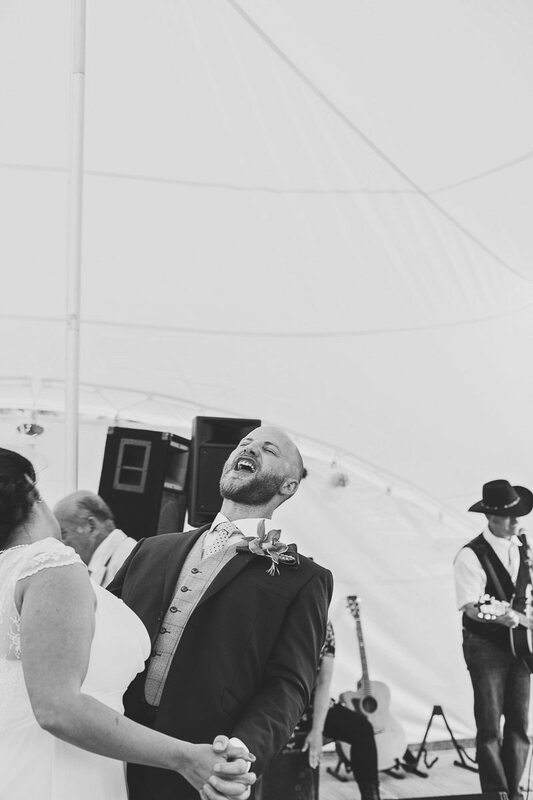 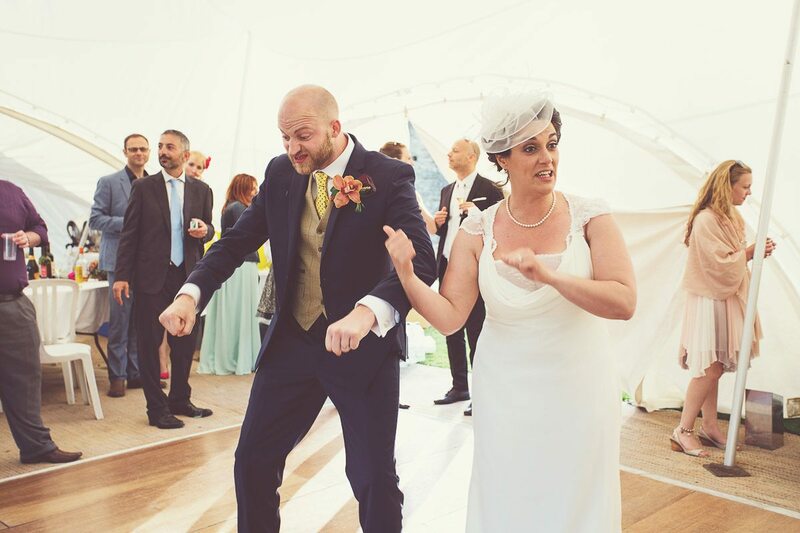 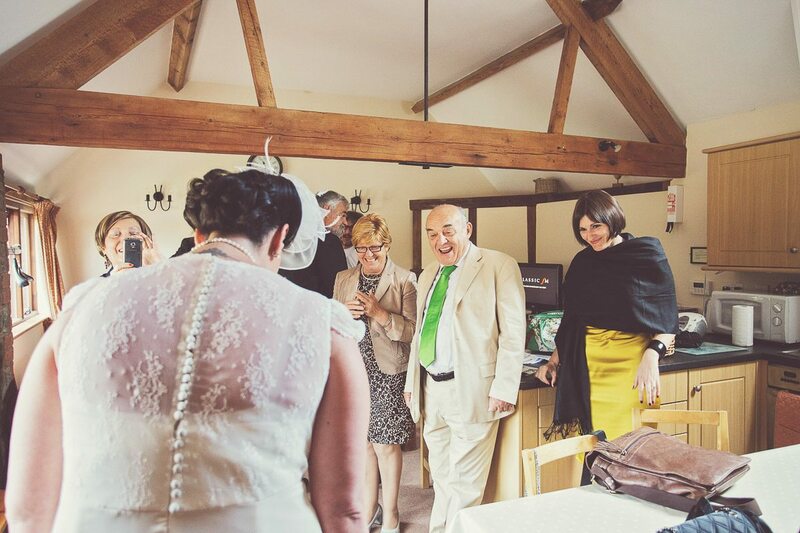 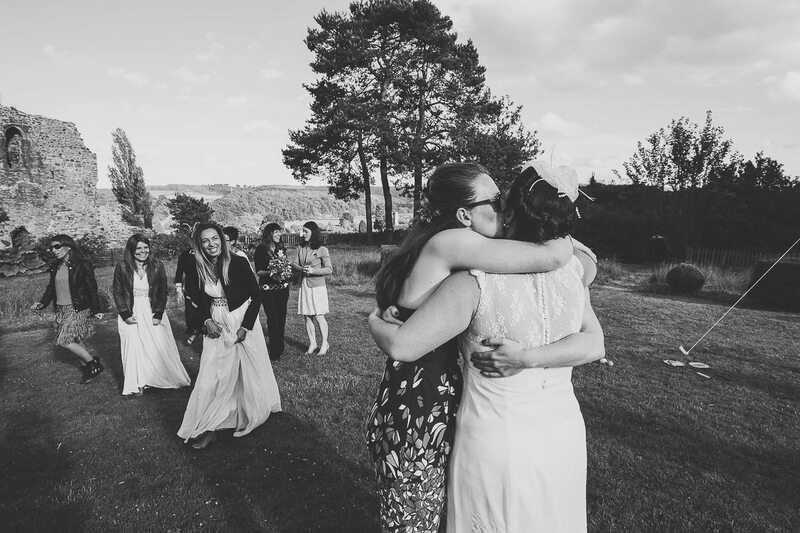 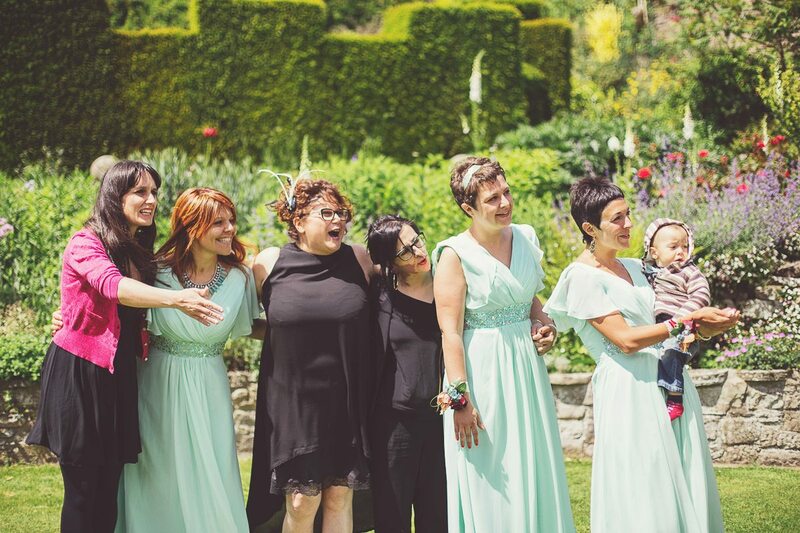 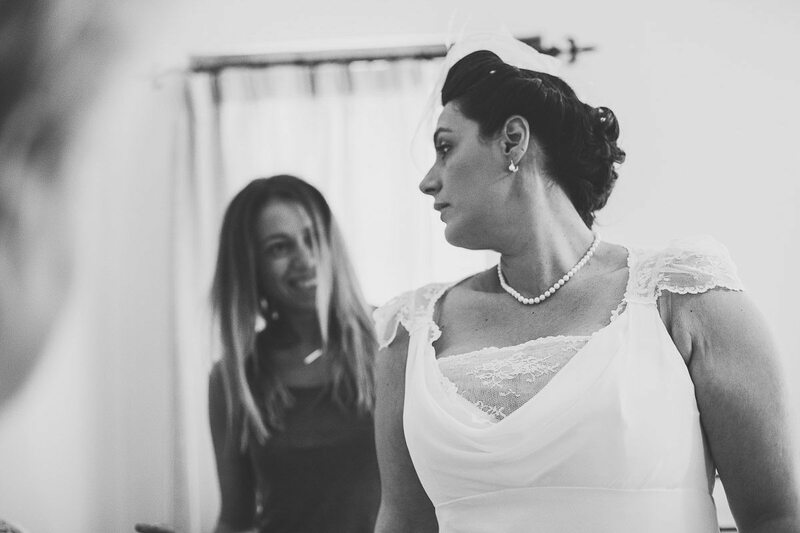 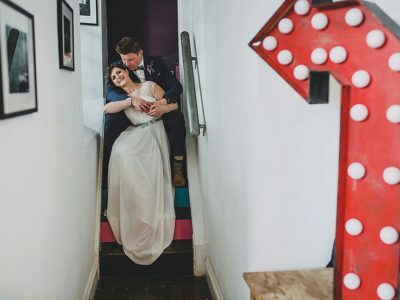 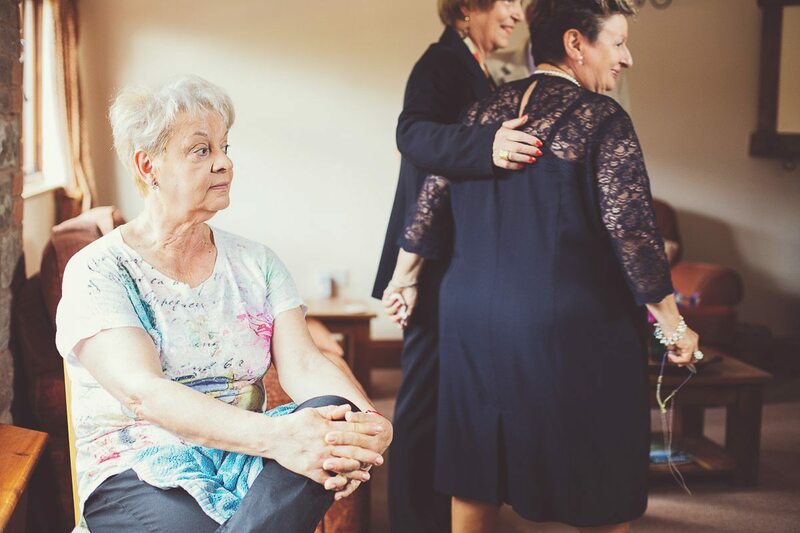 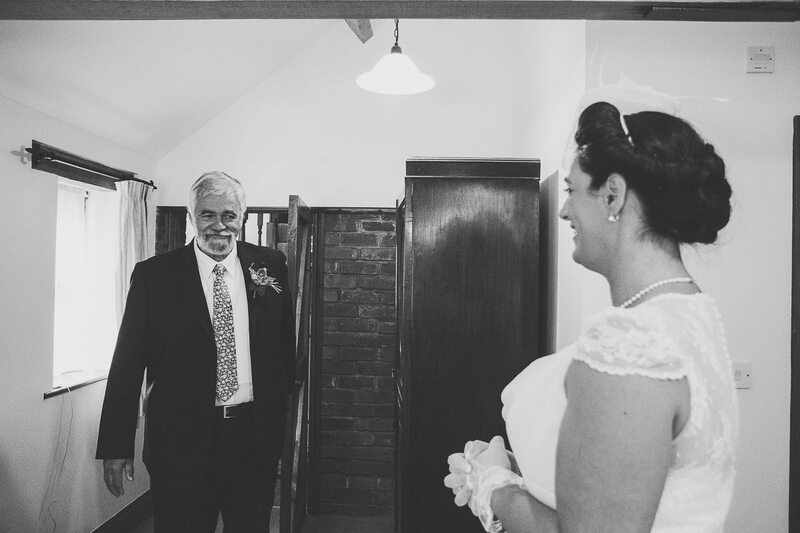 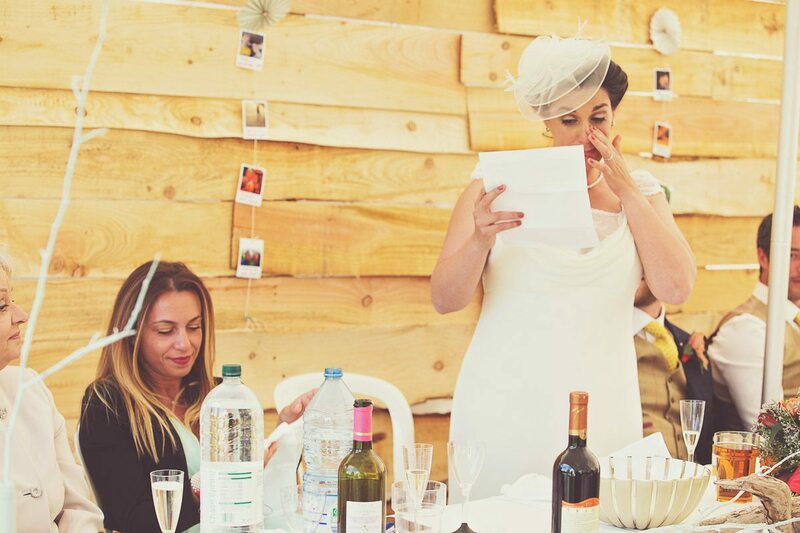 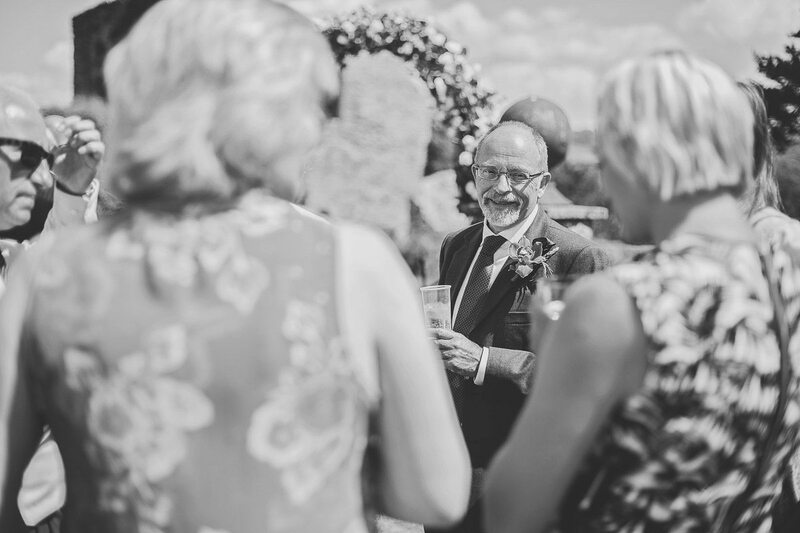 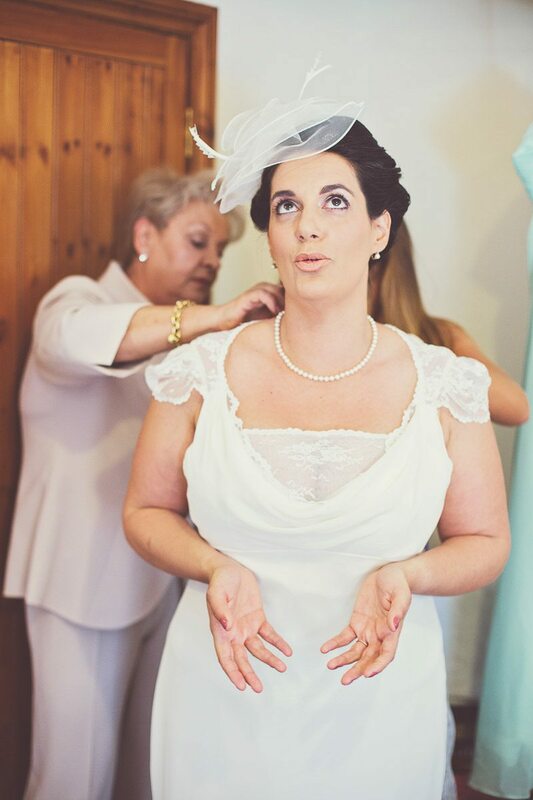 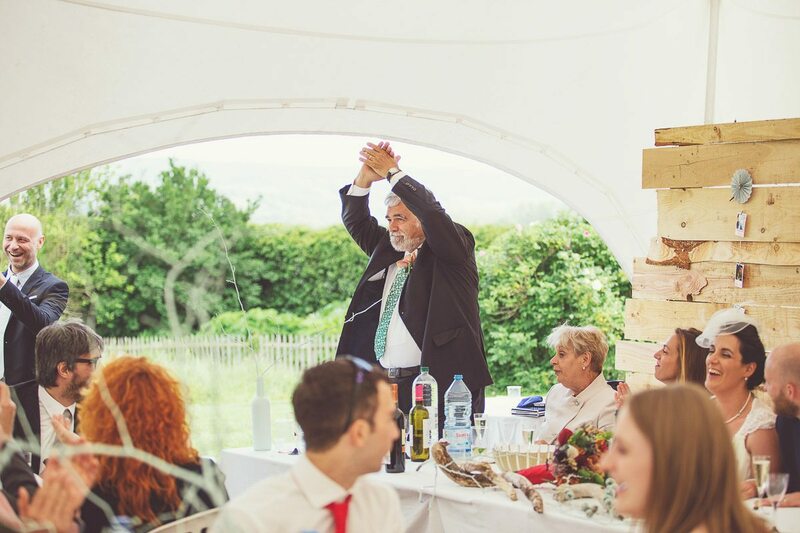 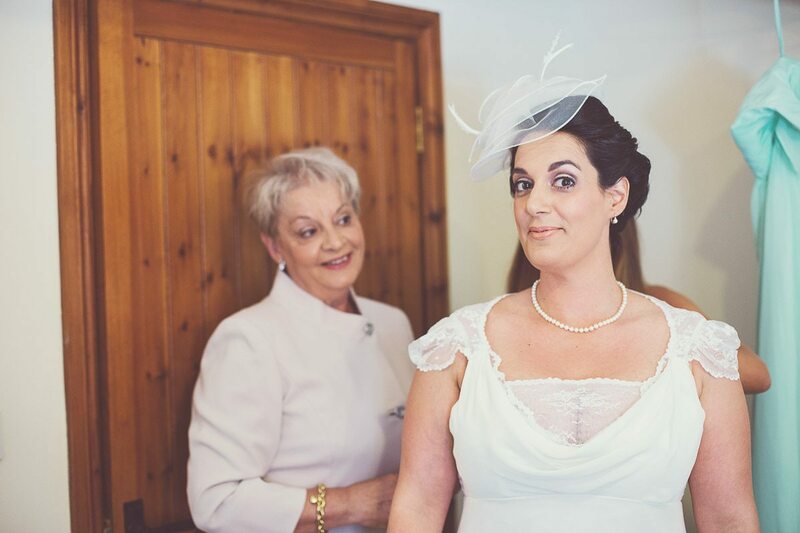 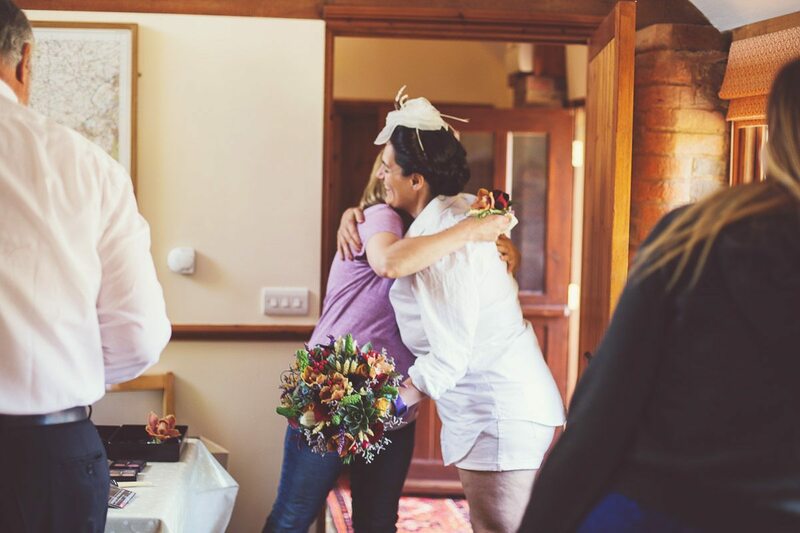 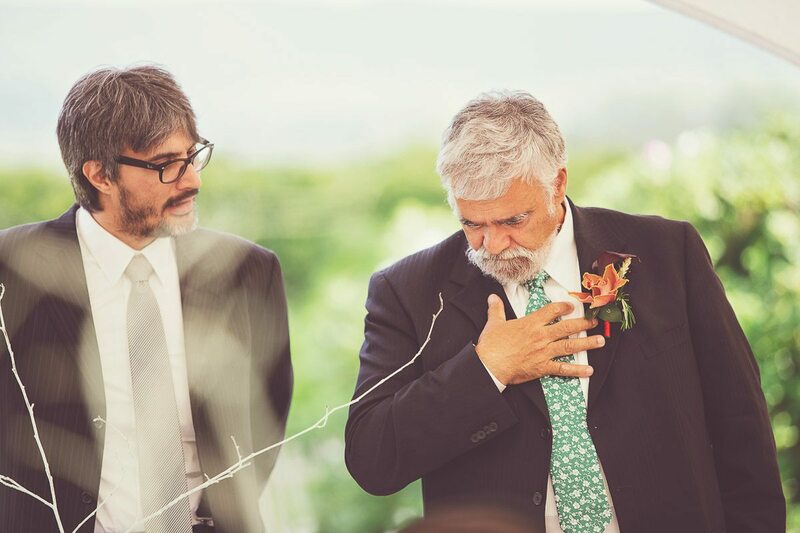 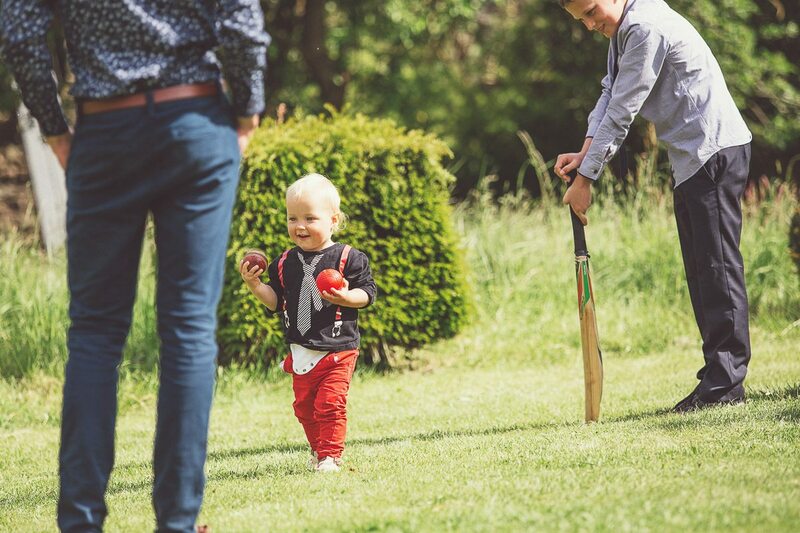 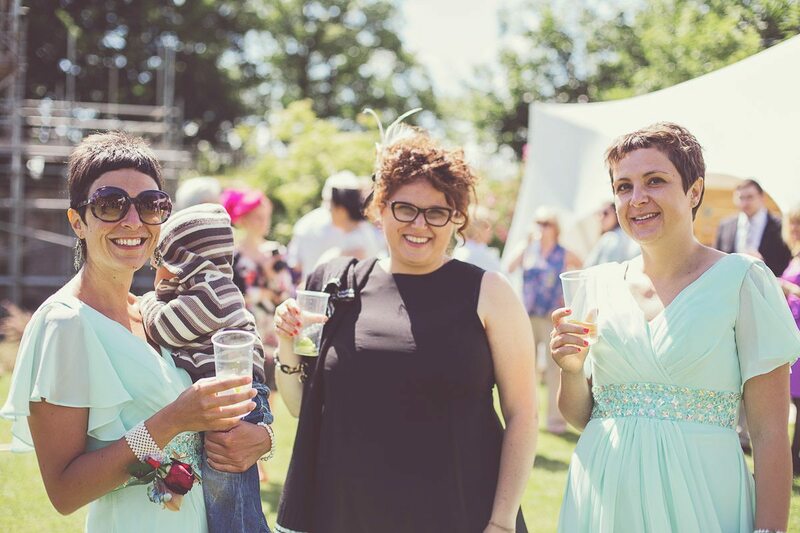 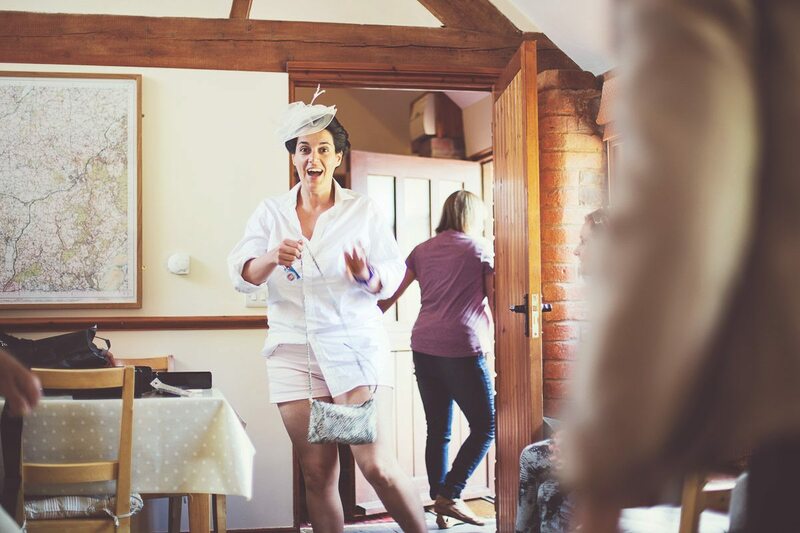 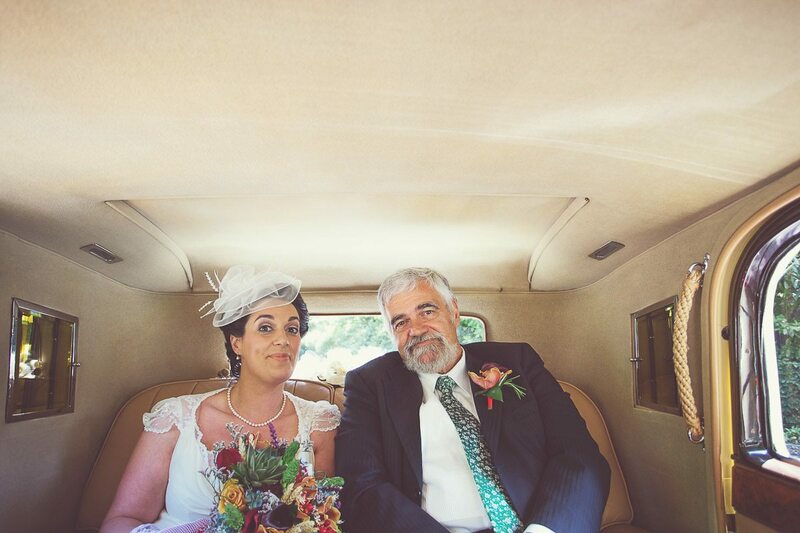 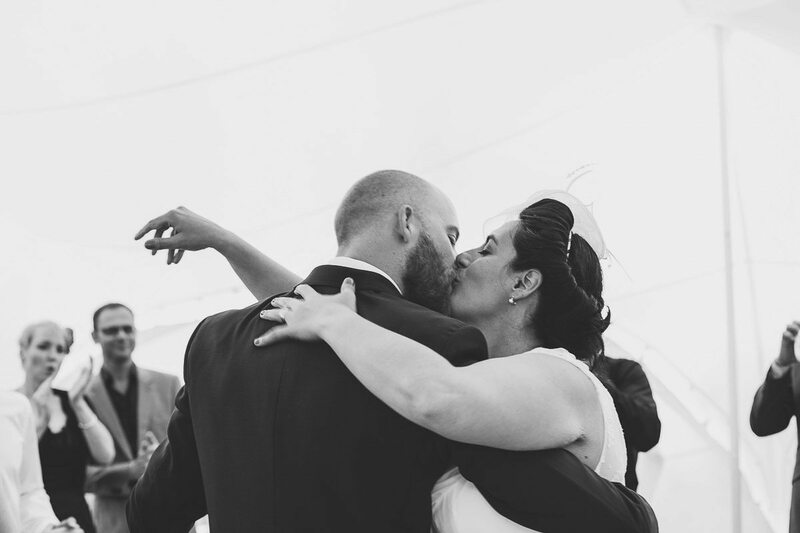 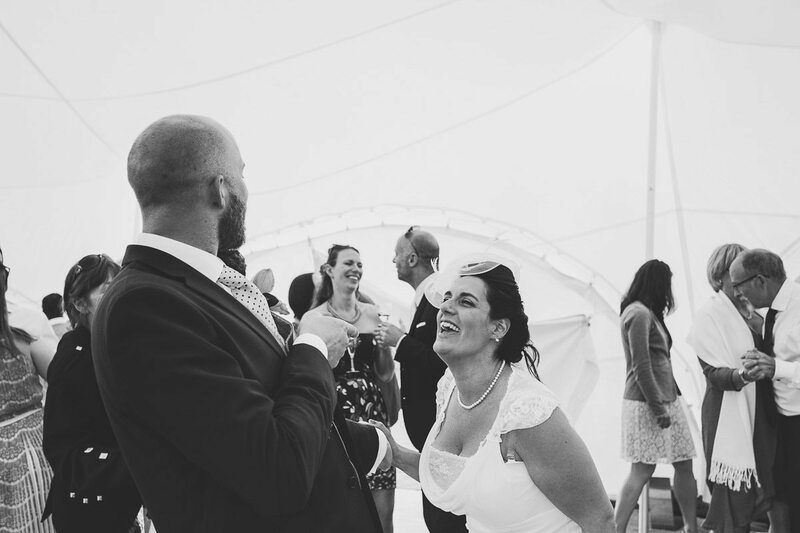 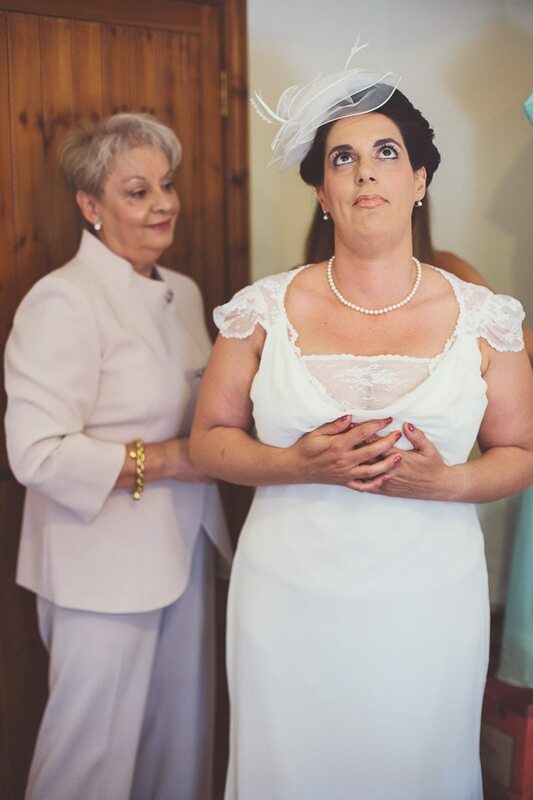 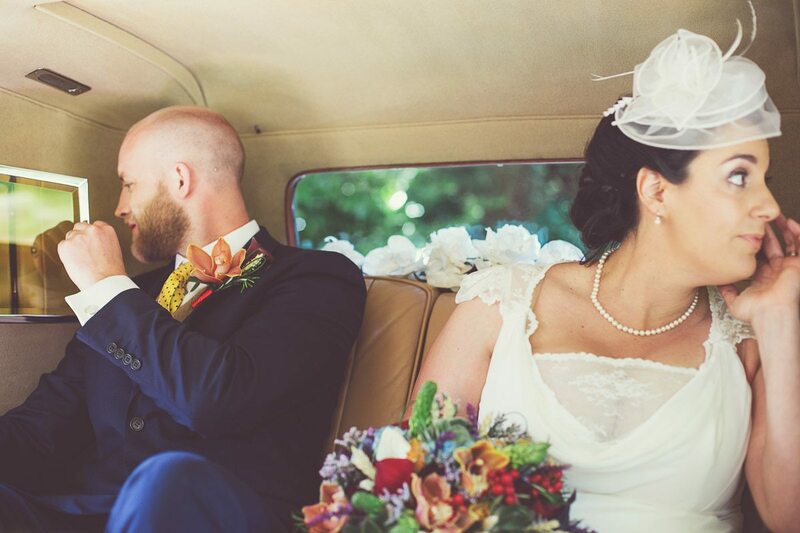 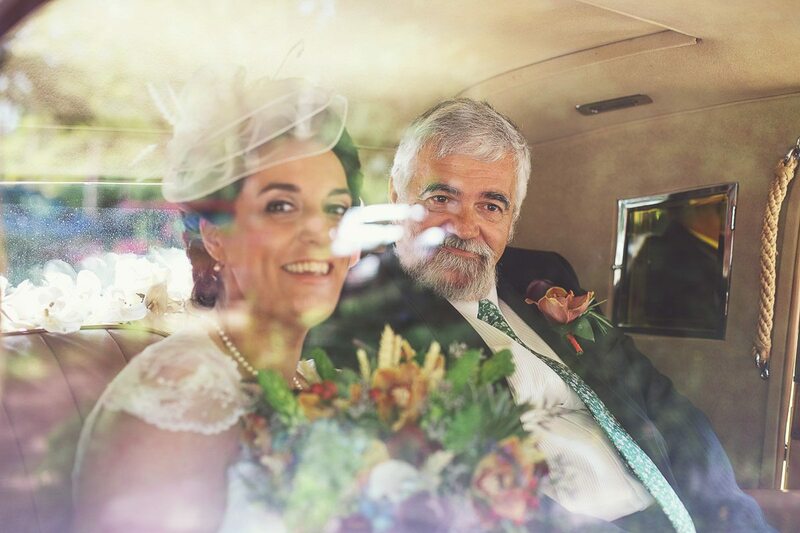 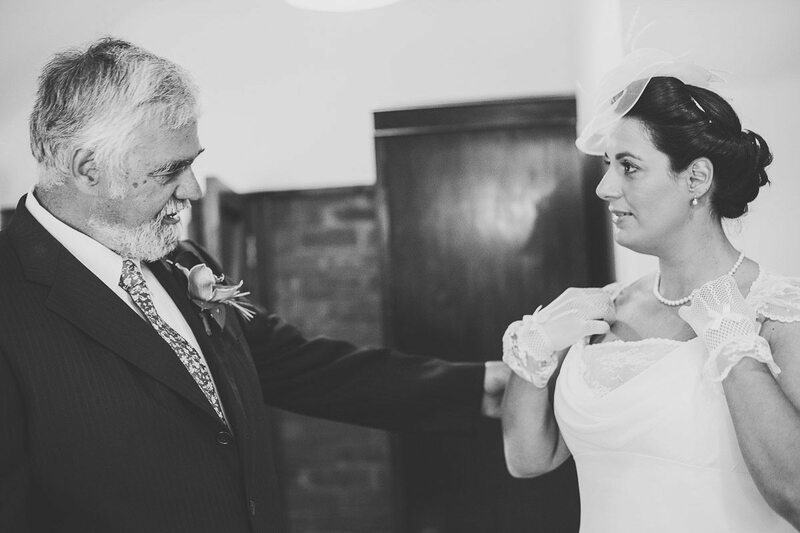 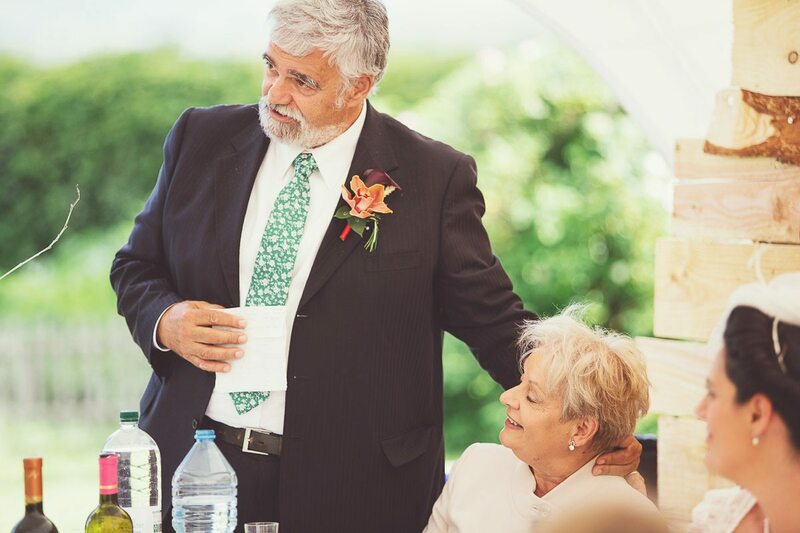 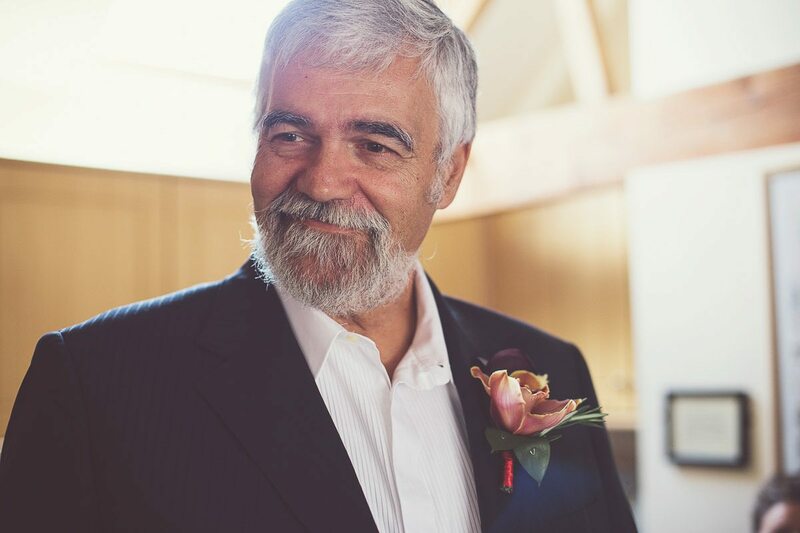 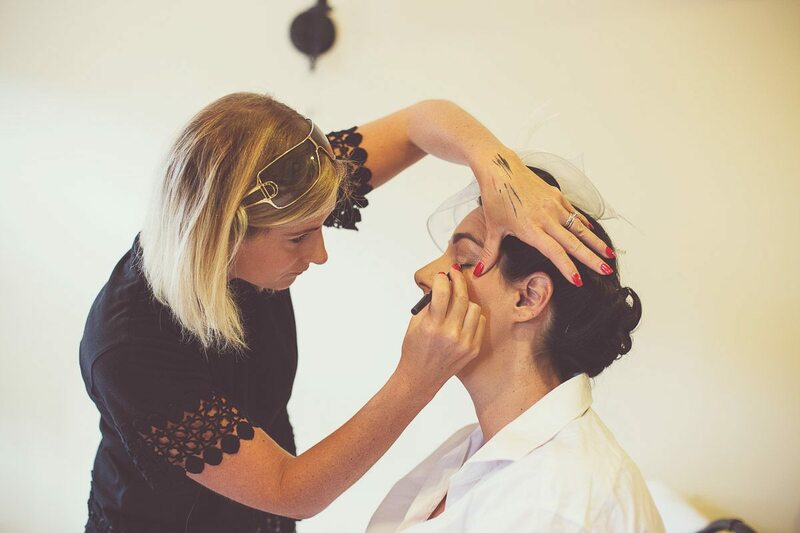 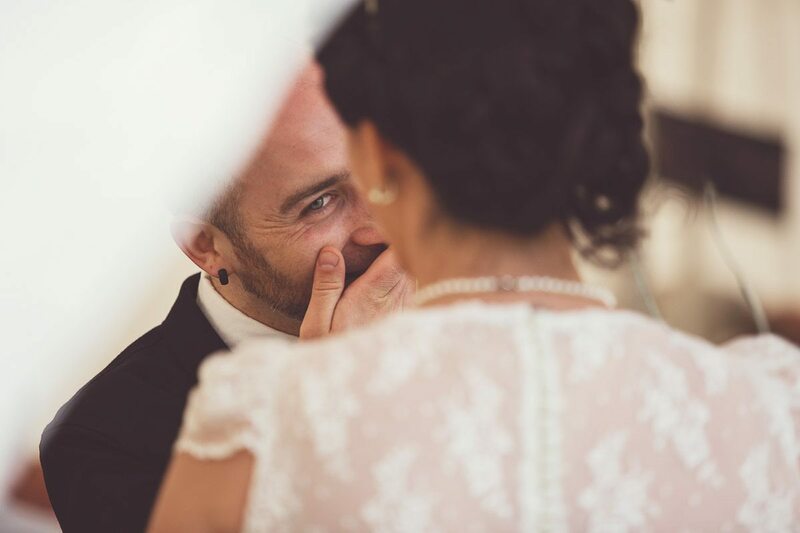 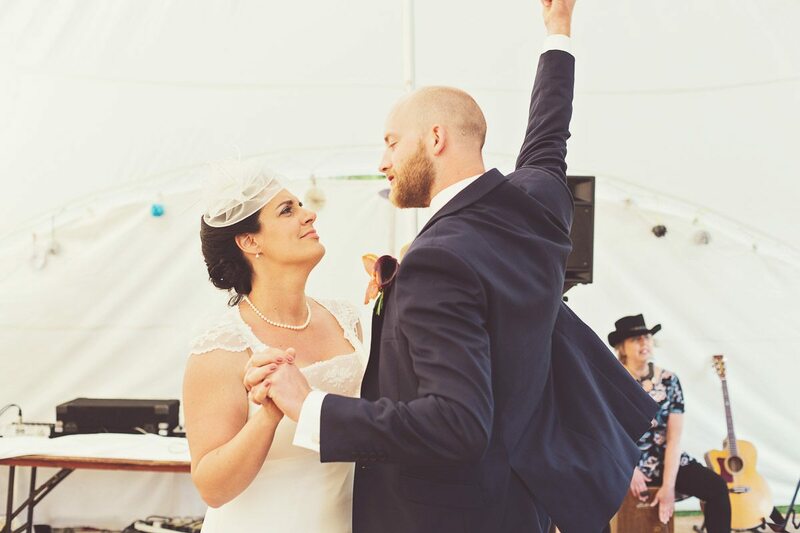 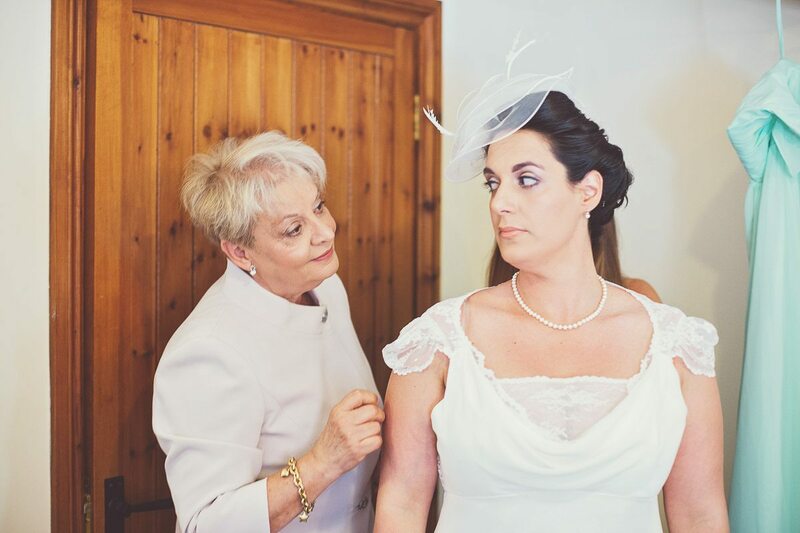 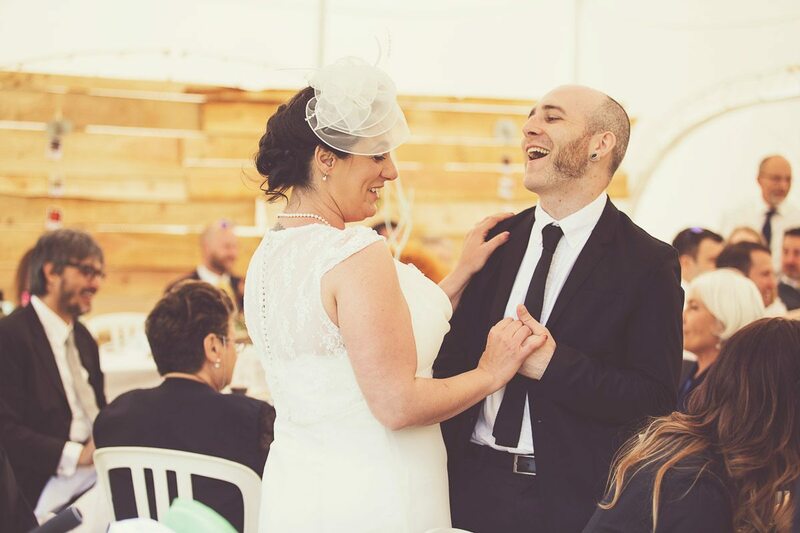 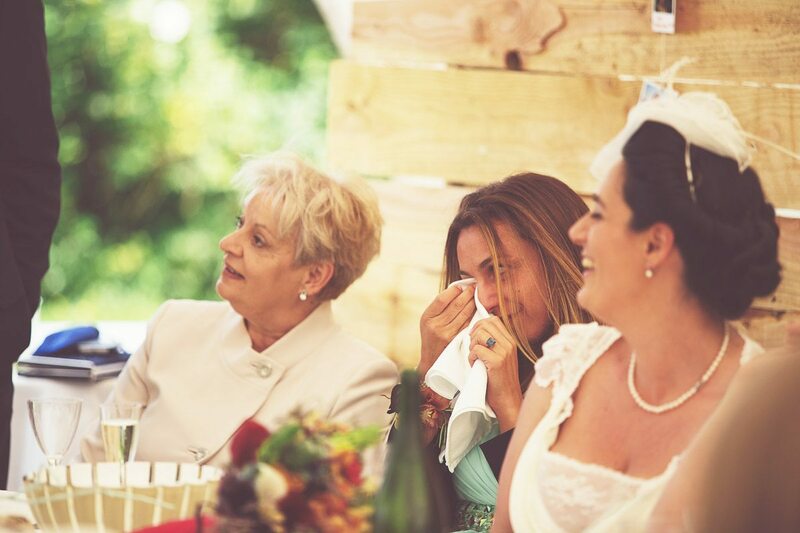 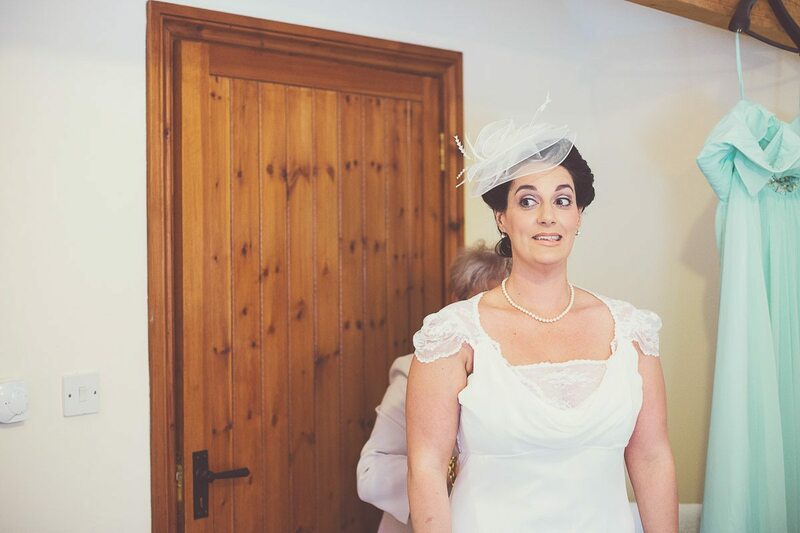 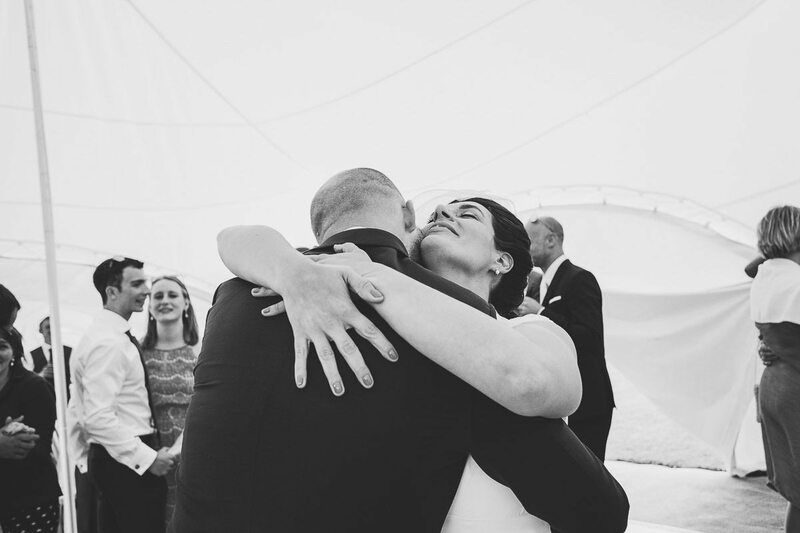 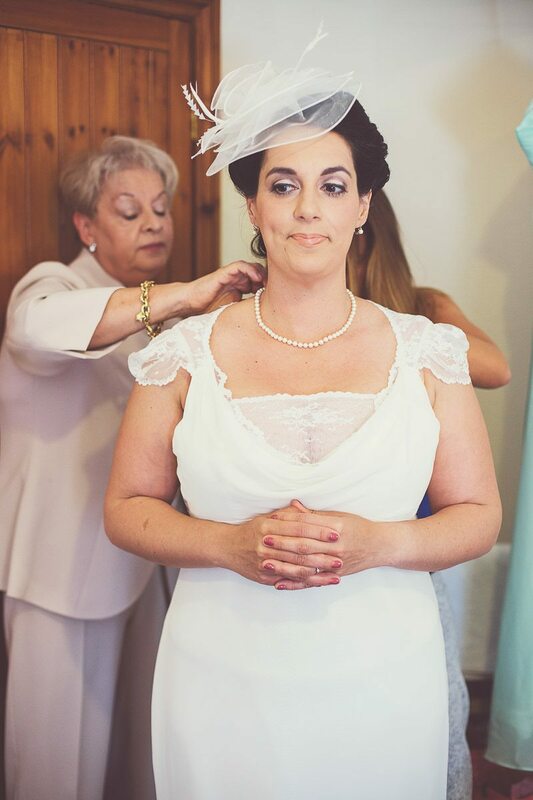 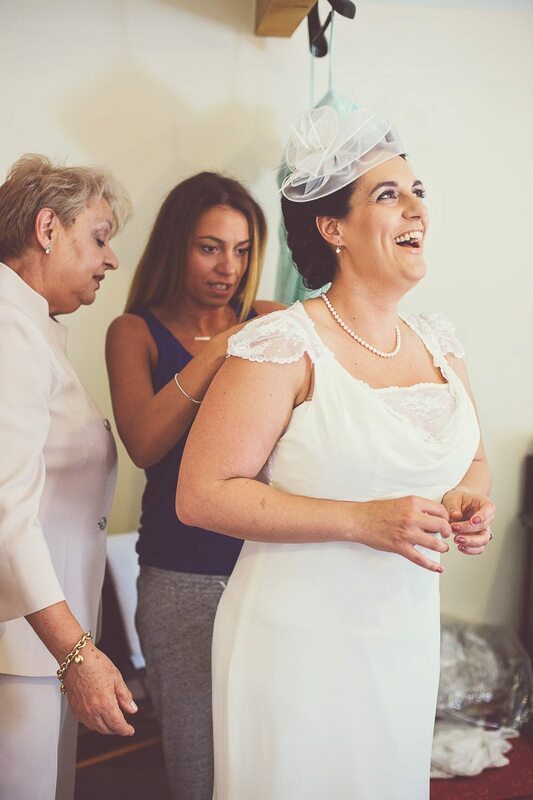 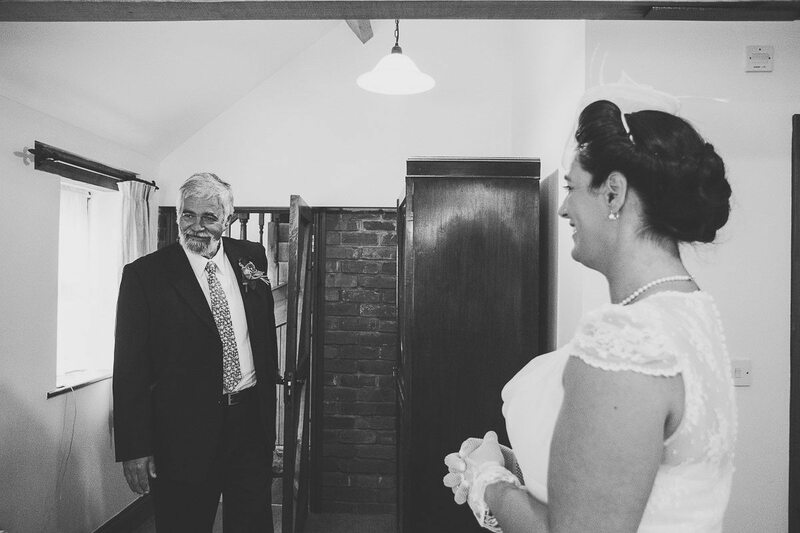 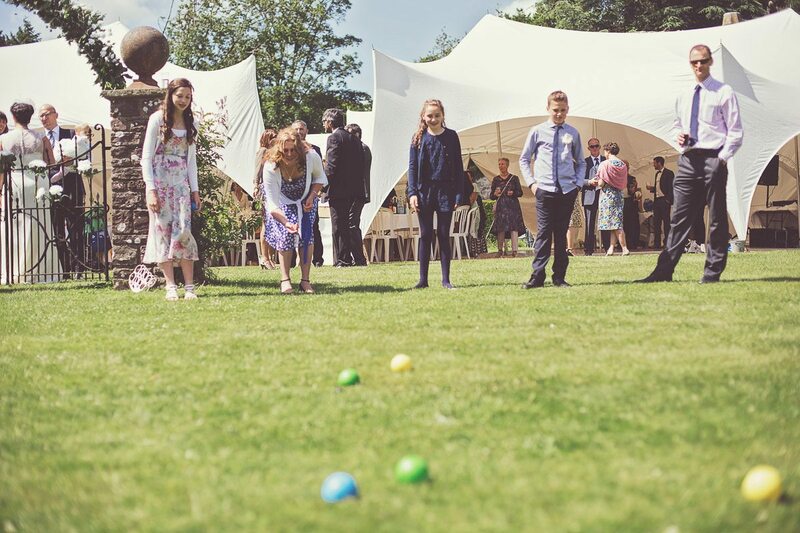 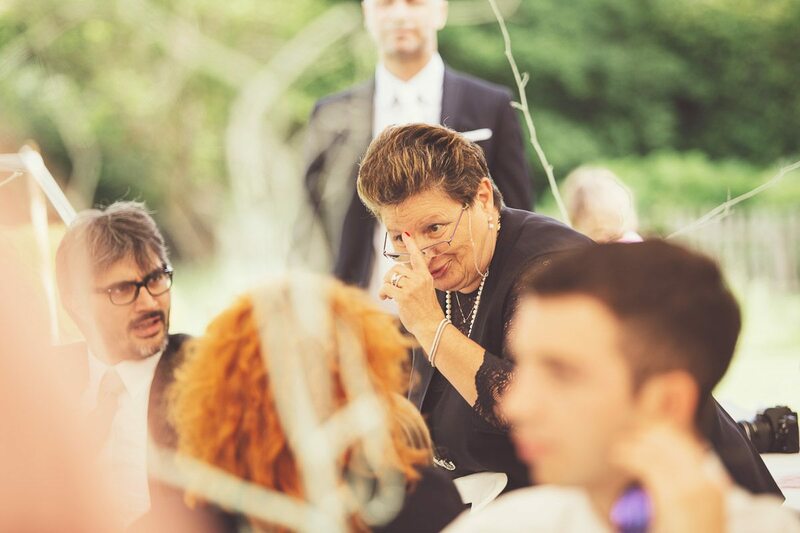 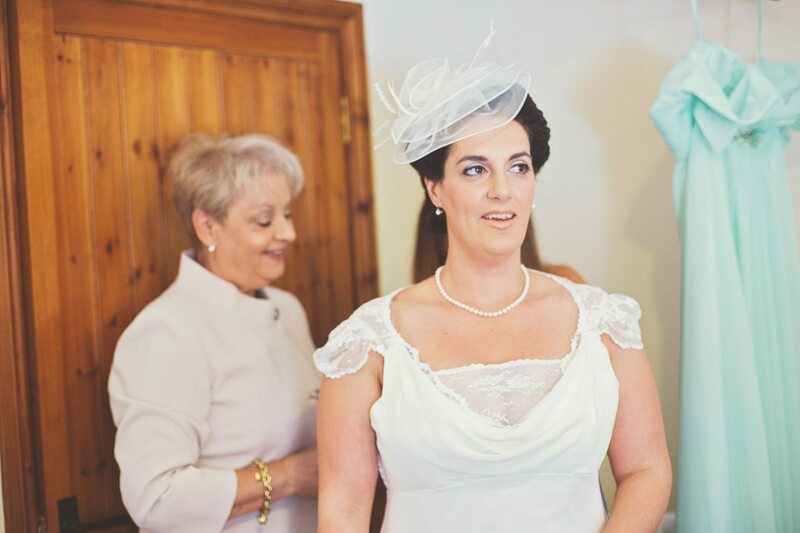 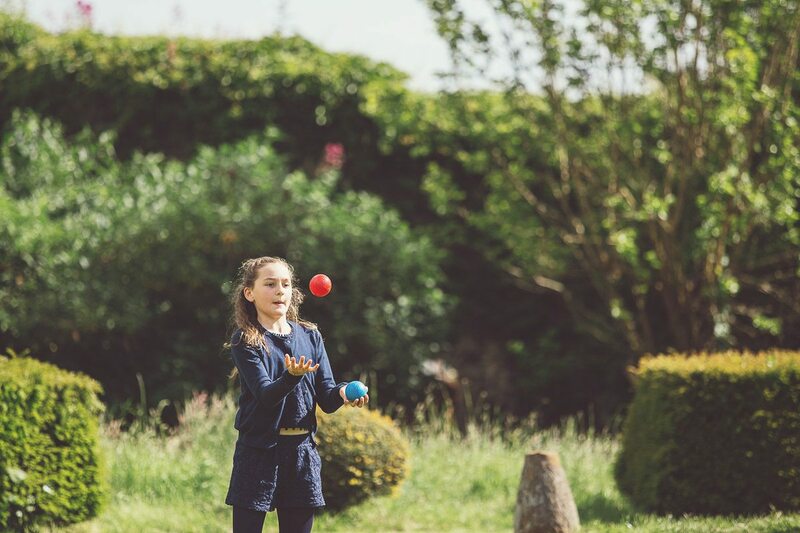 Silvia’s family is Italian and had travelled over to celebrate the day with her & Stewart and being Italian the laughter and happy tears on the day were in abundance. 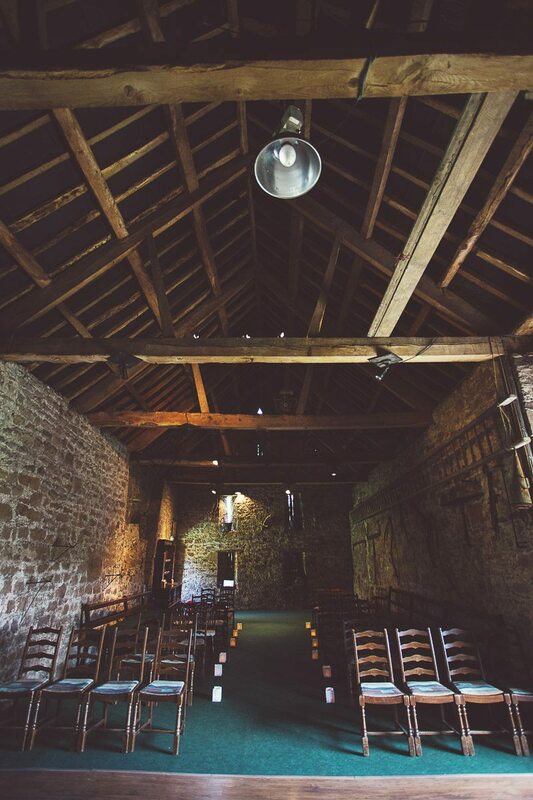 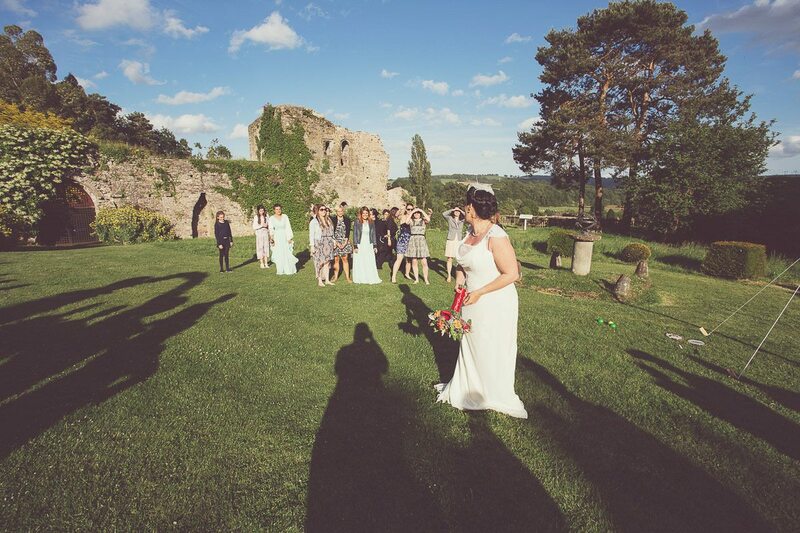 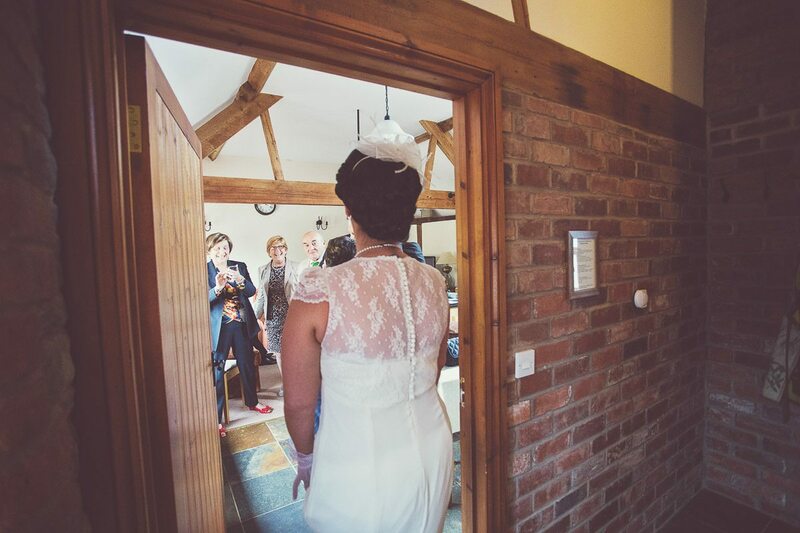 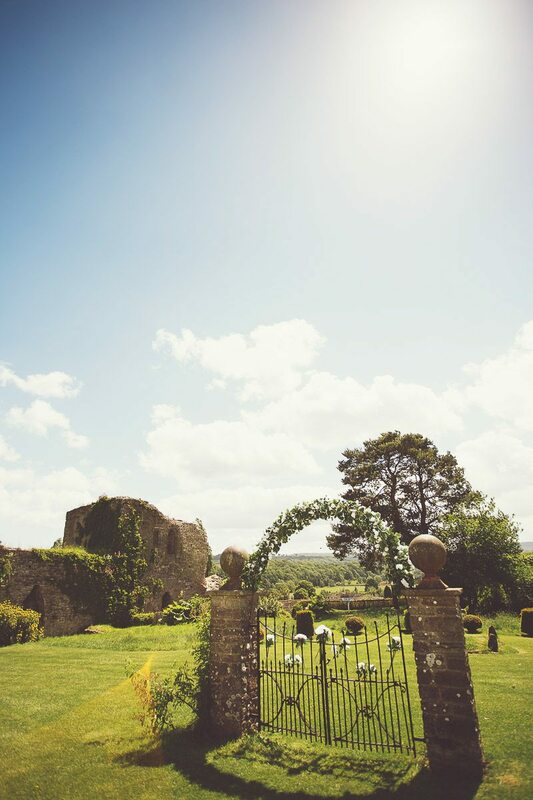 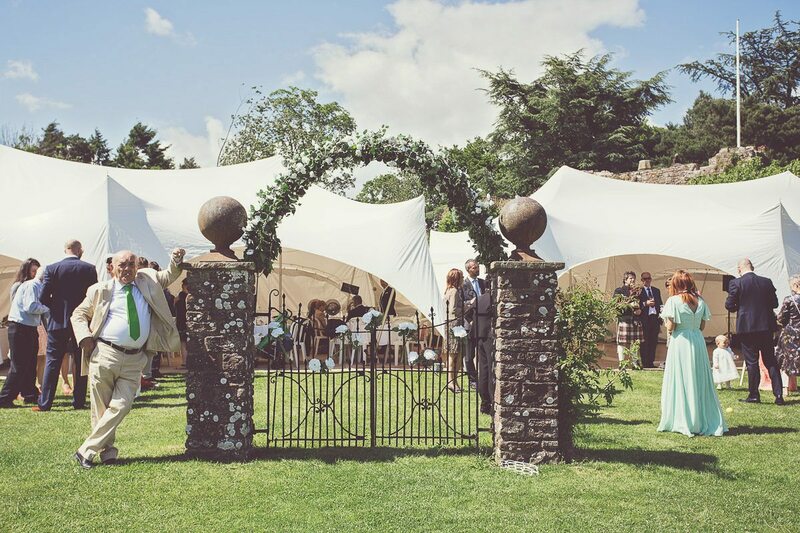 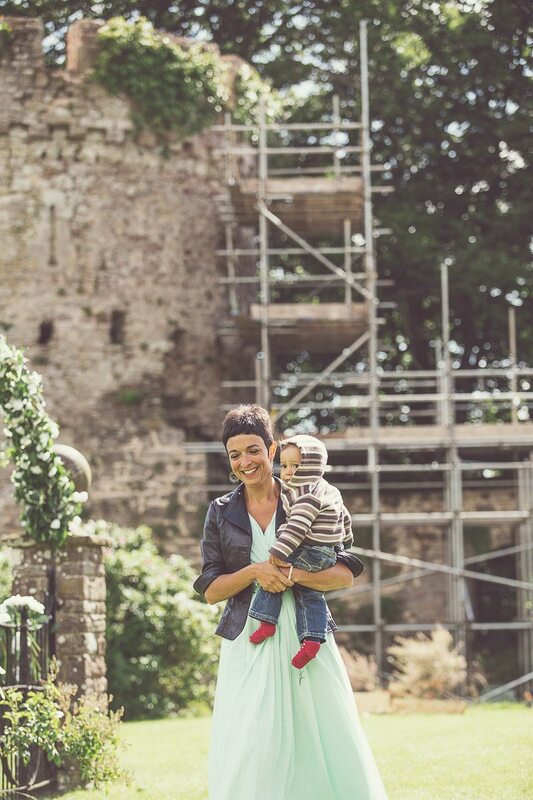 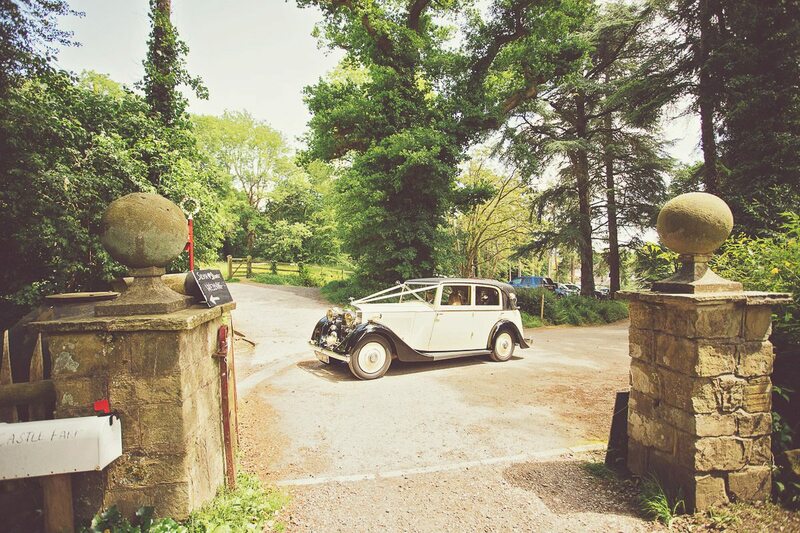 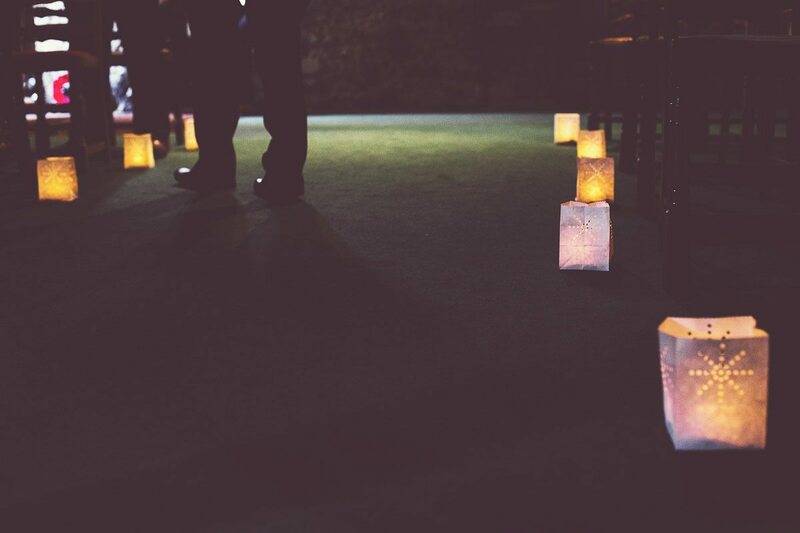 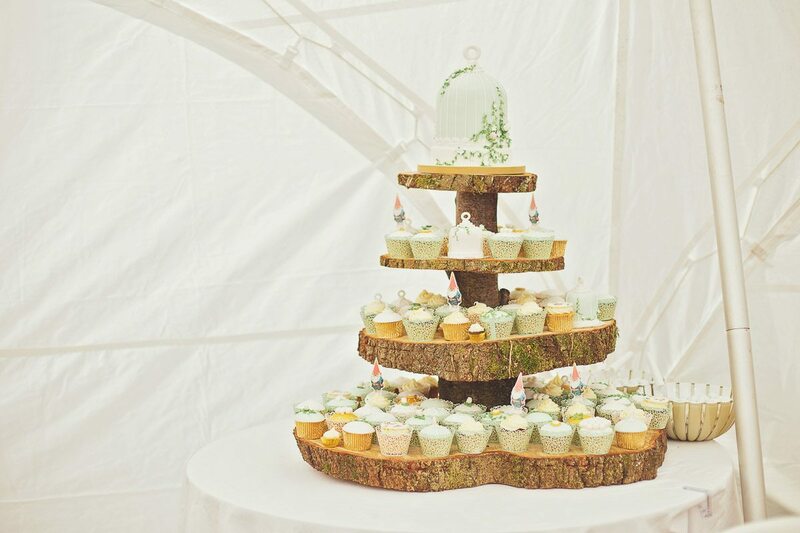 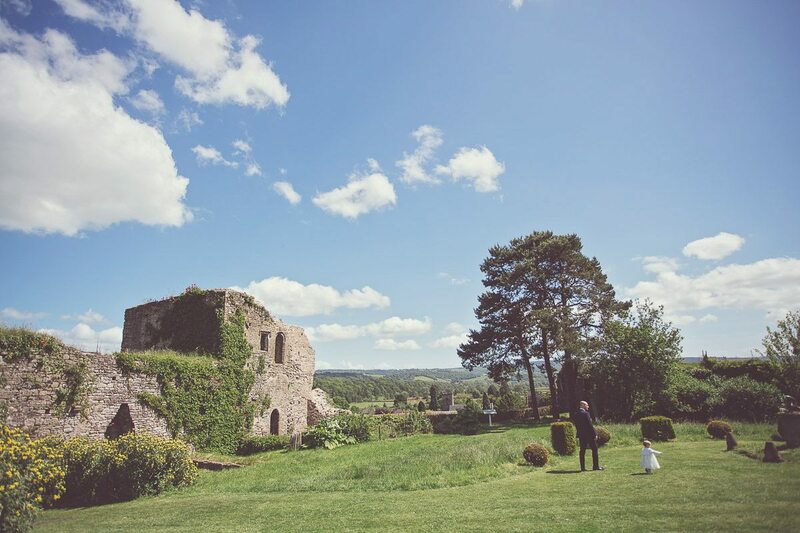 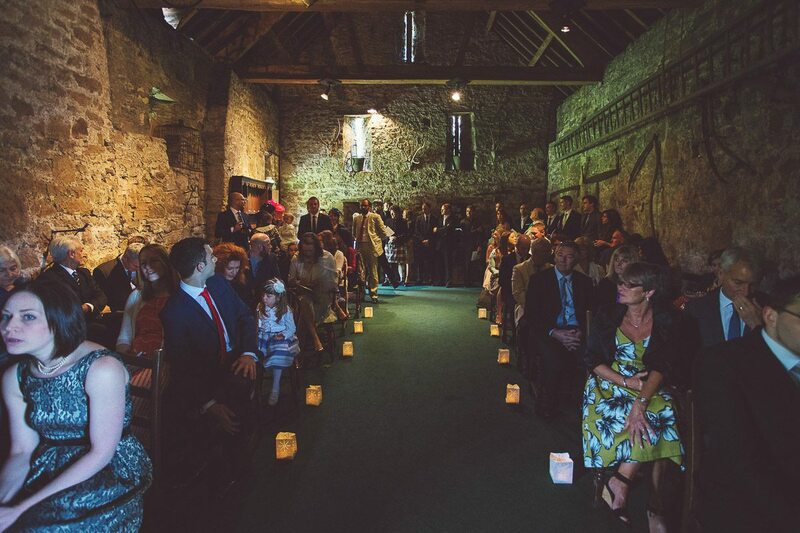 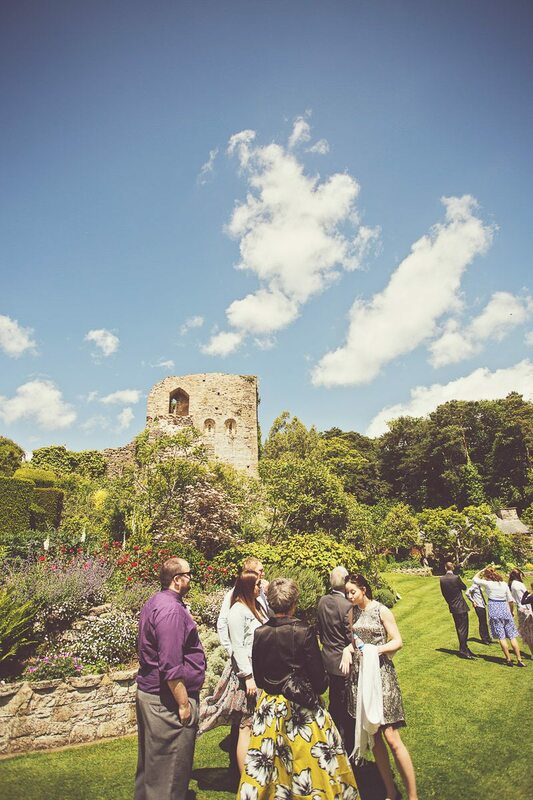 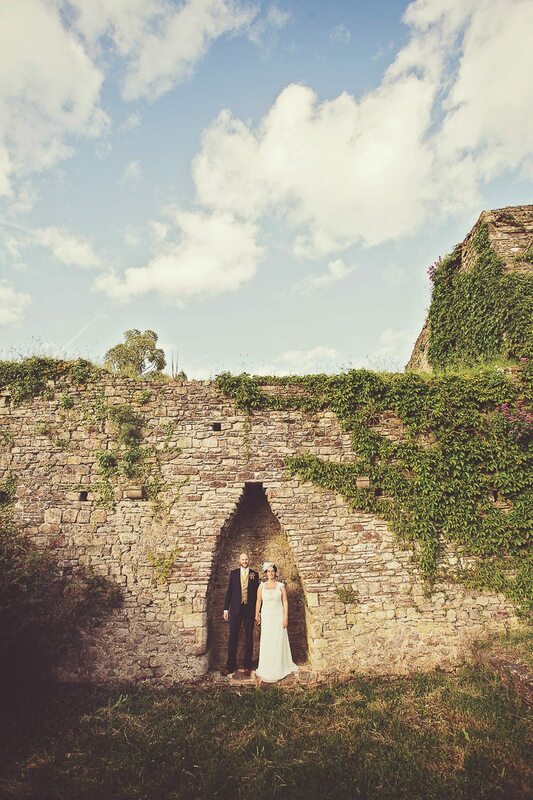 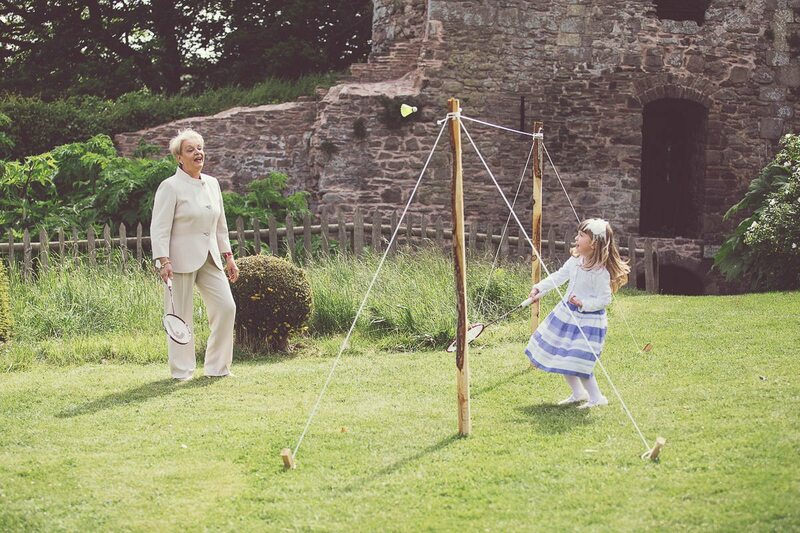 Usk Castle is absolutely beautiful and anyone choosing to get married there has chosen well. 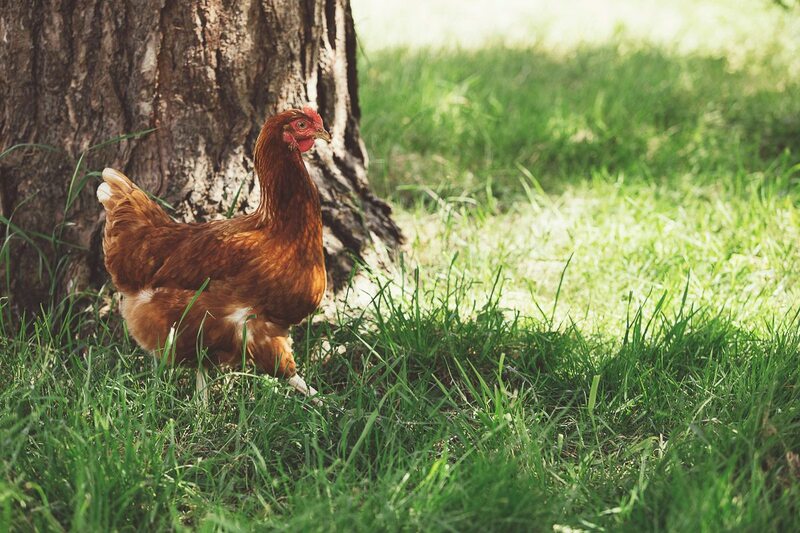 The barn was really beautiful and the grounds full of beautiful flowers and as you will see if you look closely, the odd chicken. 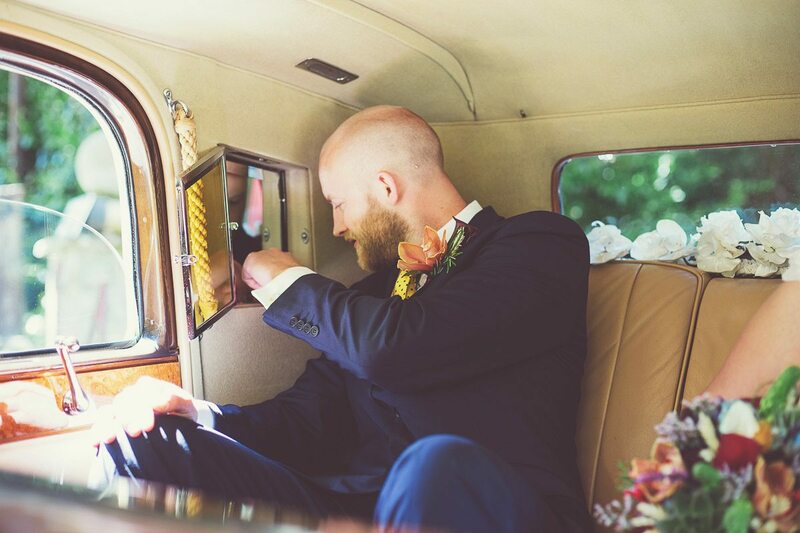 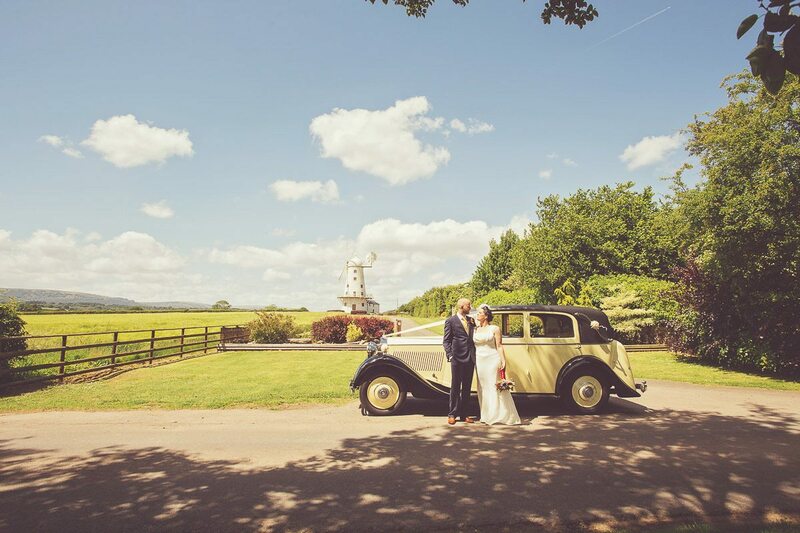 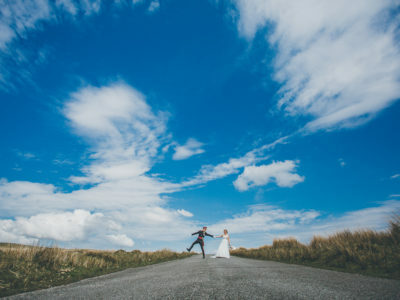 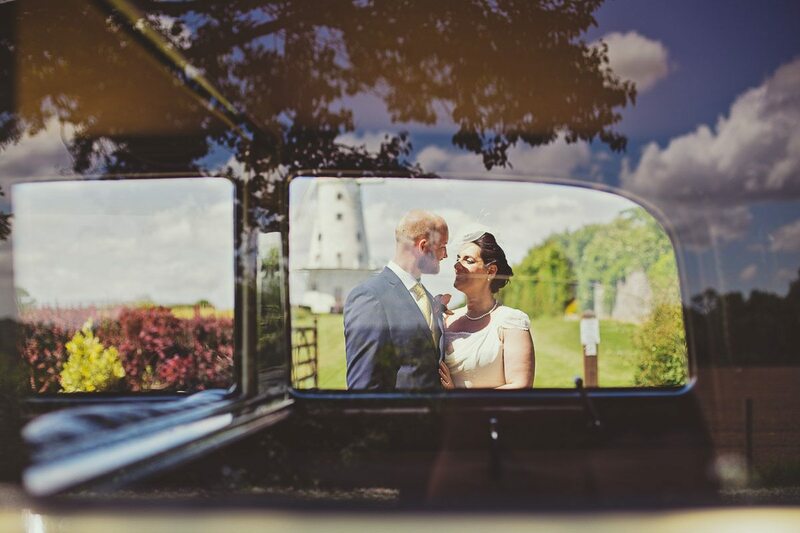 Stewart had hired a gorgeous car as a surprise to drive Silvia to the ceremony and the driver of Henrietta Hire suggested that we drove to Llancayo Windmill for a little bit of quiet after the ceremony and for some bride & groom photographs and it was a great decision. 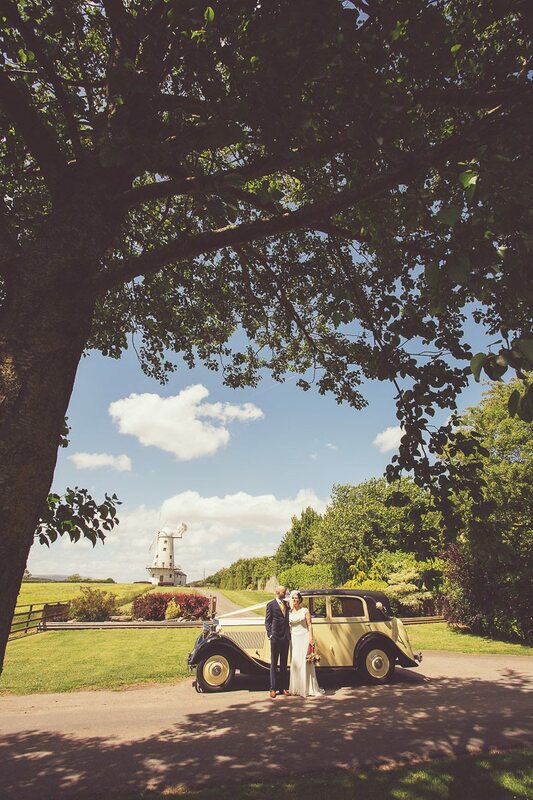 Such a stunning location for photographs and a nice break in the middle of the day. 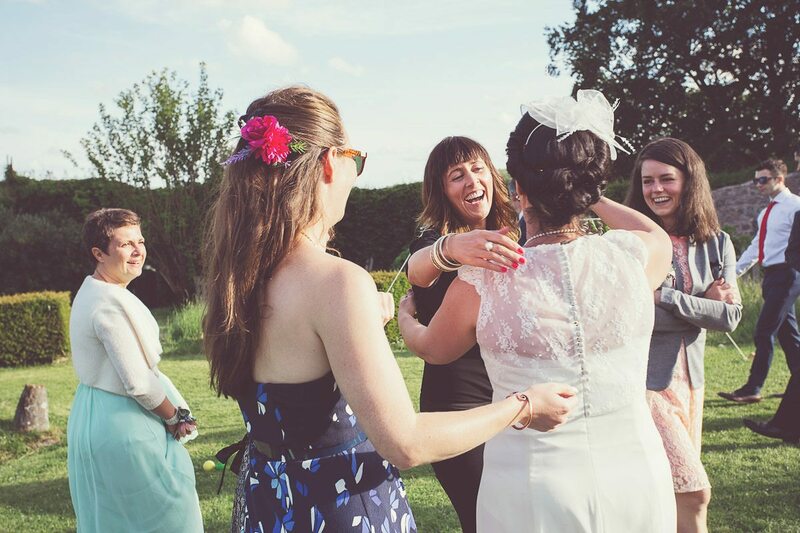 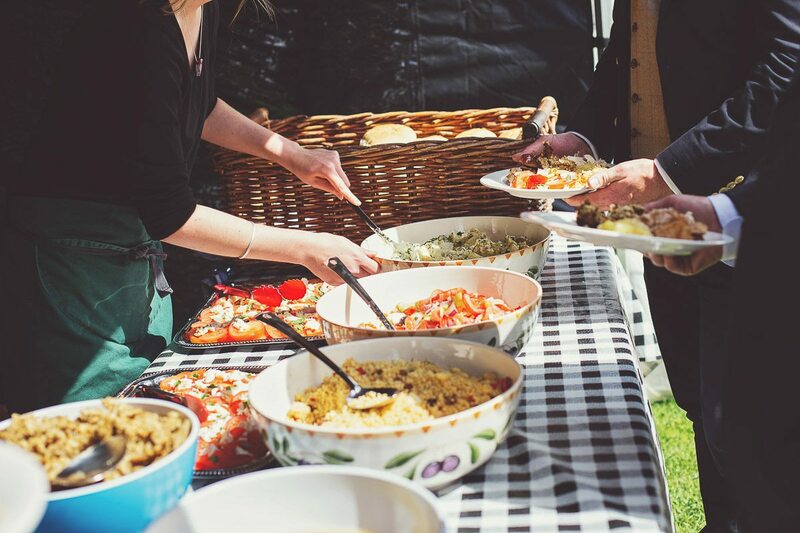 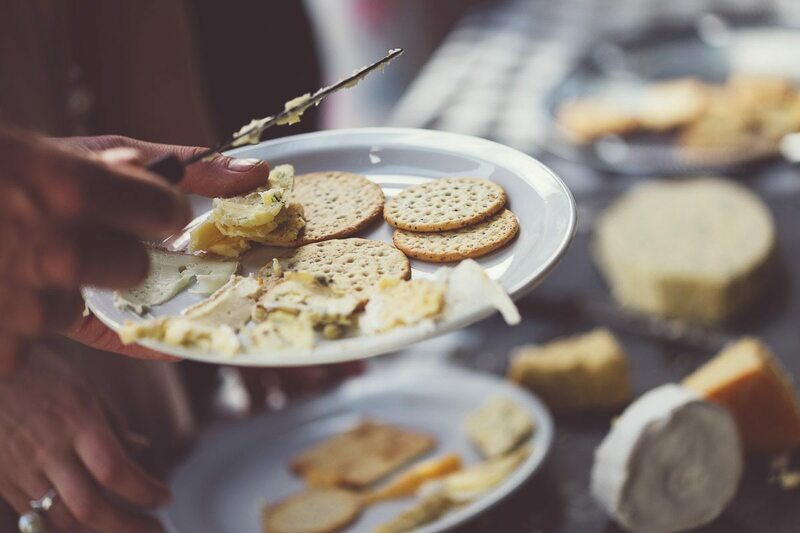 We got back in time for drinks and a whole load of socialising before a hog roast buffet meal. 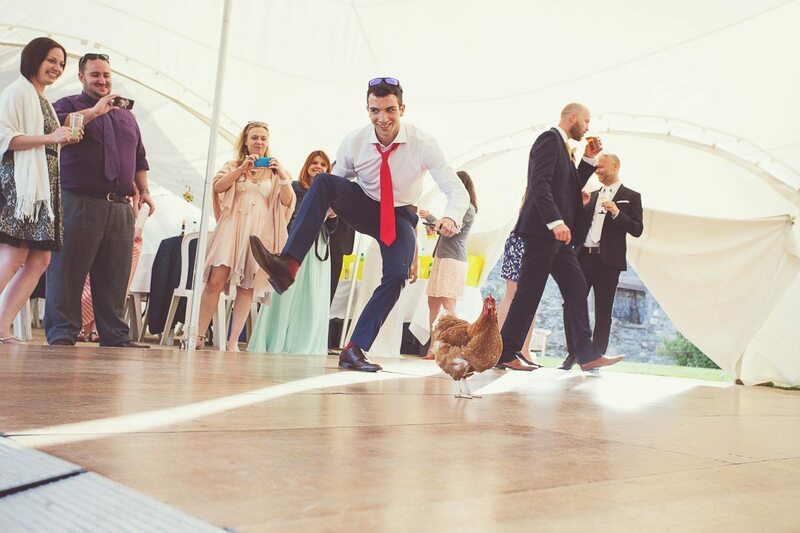 Then there were speeches that made EVERYONE cry and then another little shoot with Stewart & Silvia before dancing .. including the appearance of said chicken on the dance-floor. 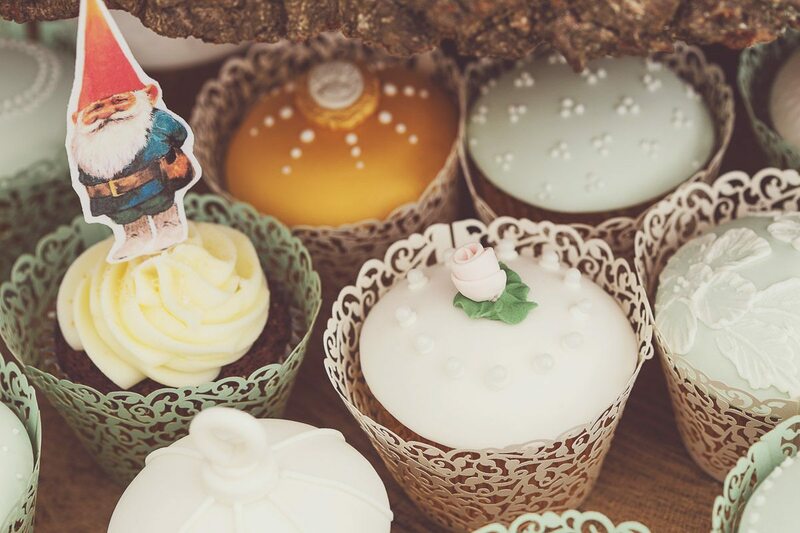 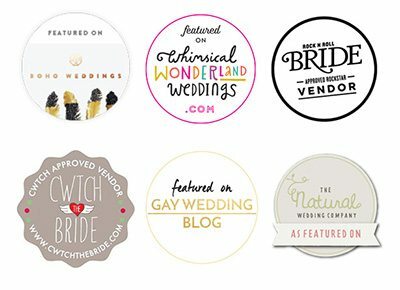 Supplier list can be found at the end. 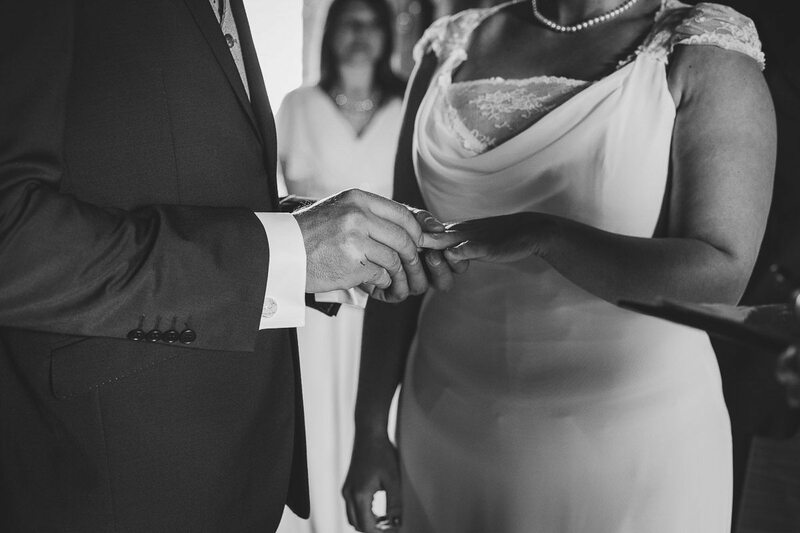 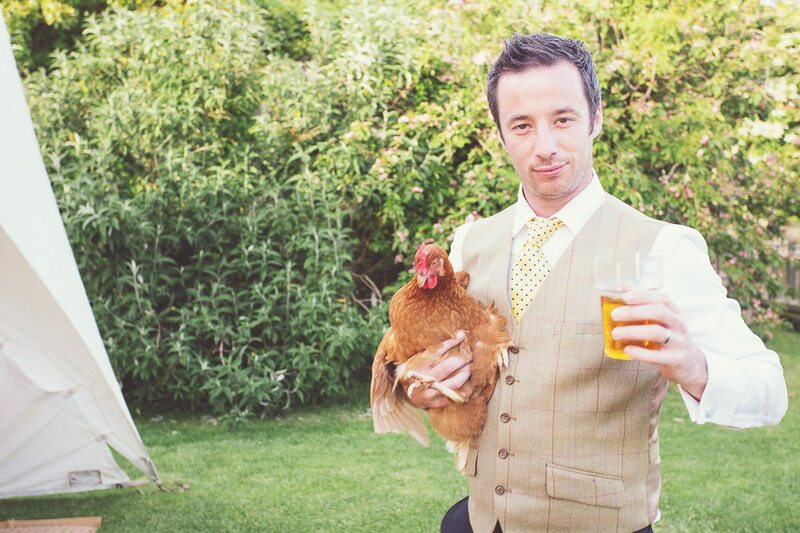 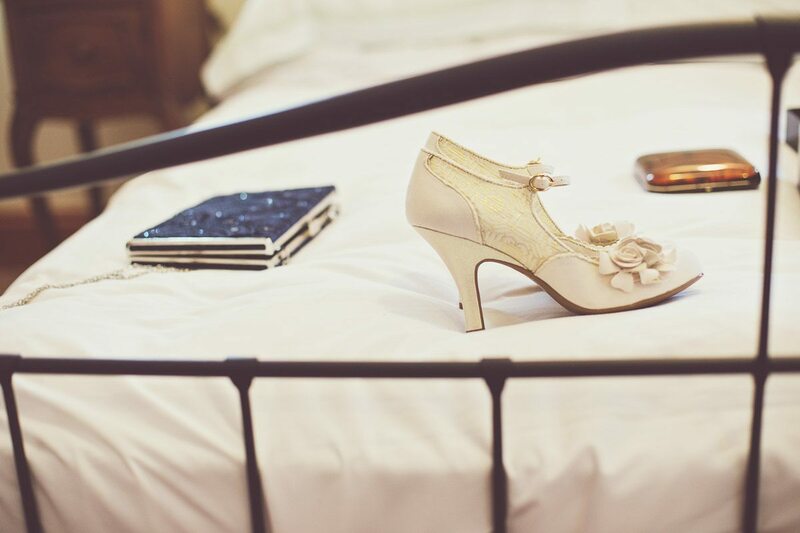 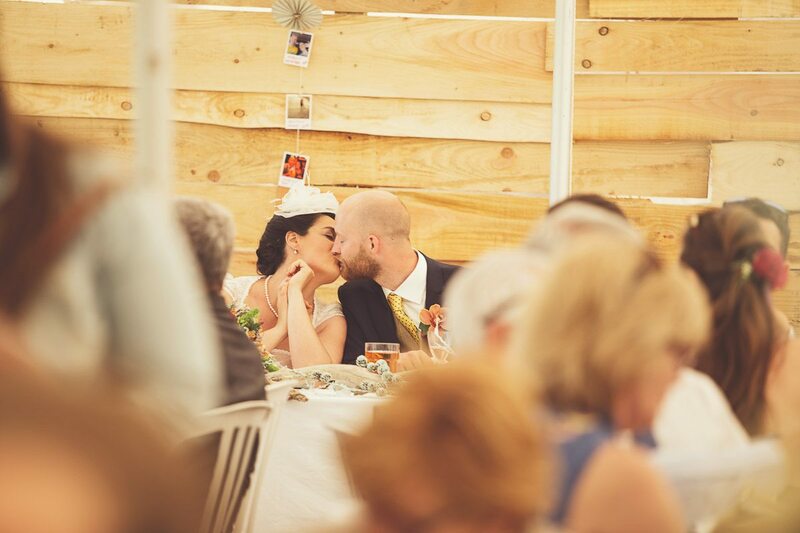 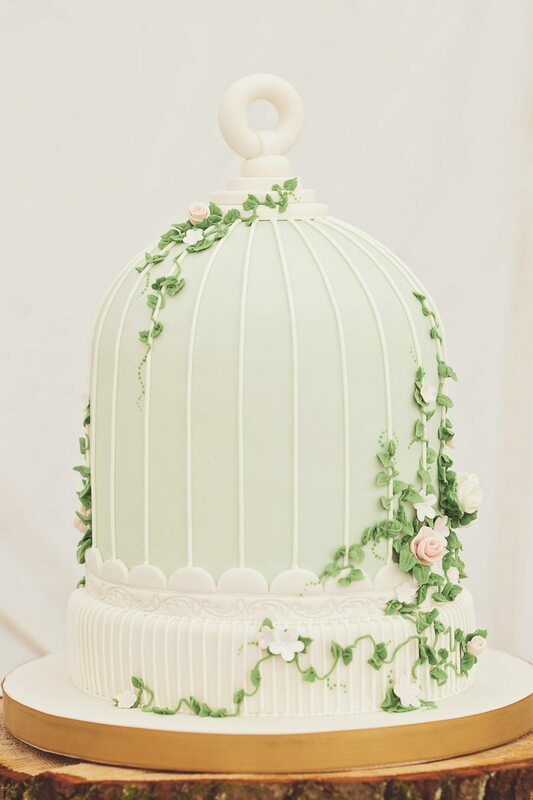 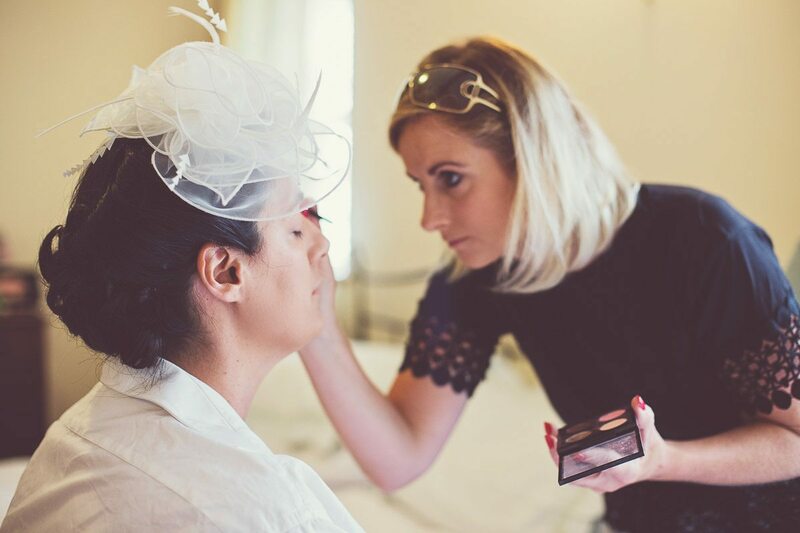 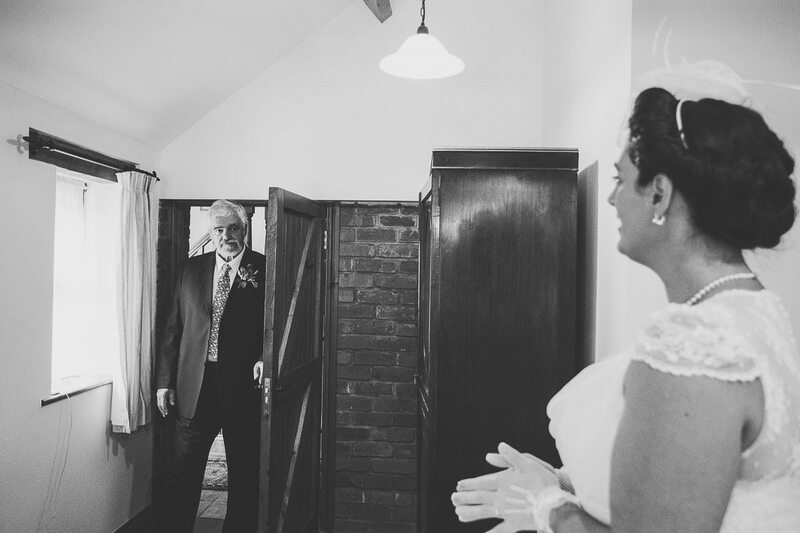 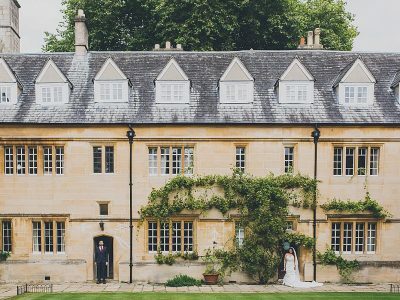 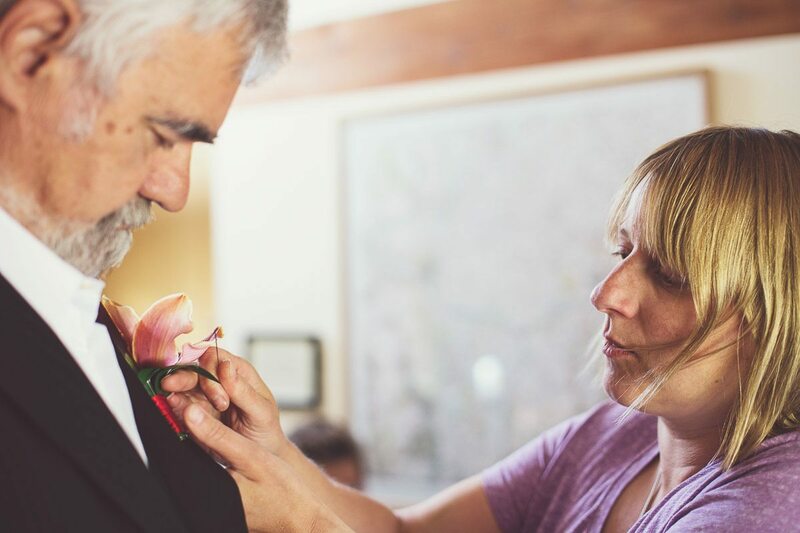 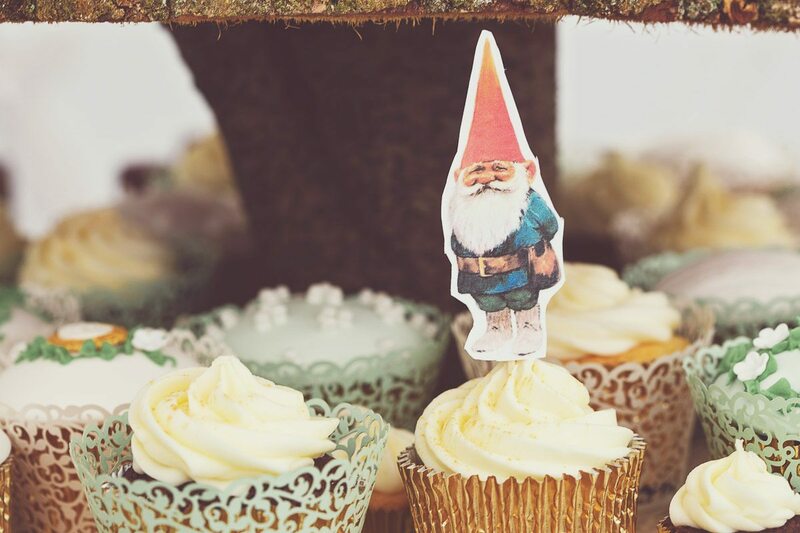 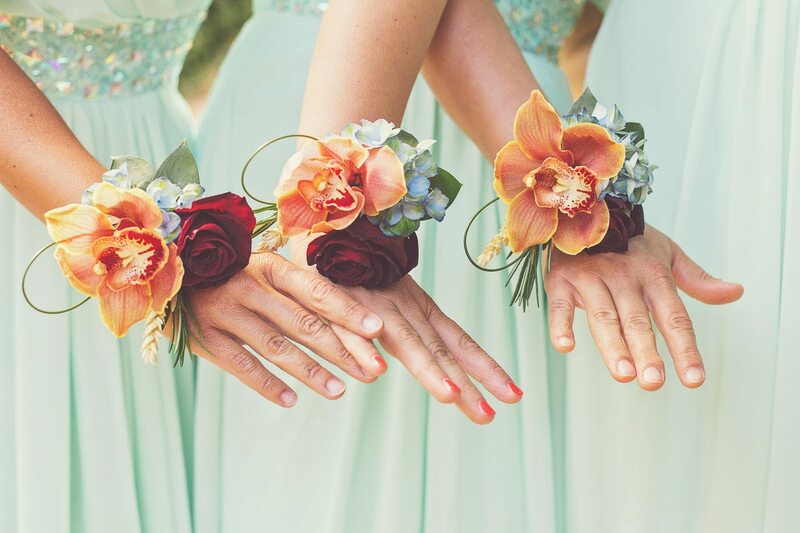 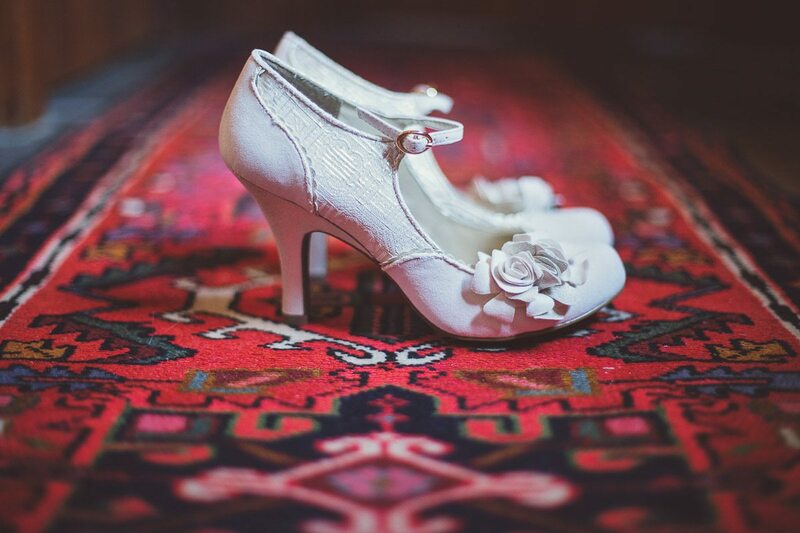 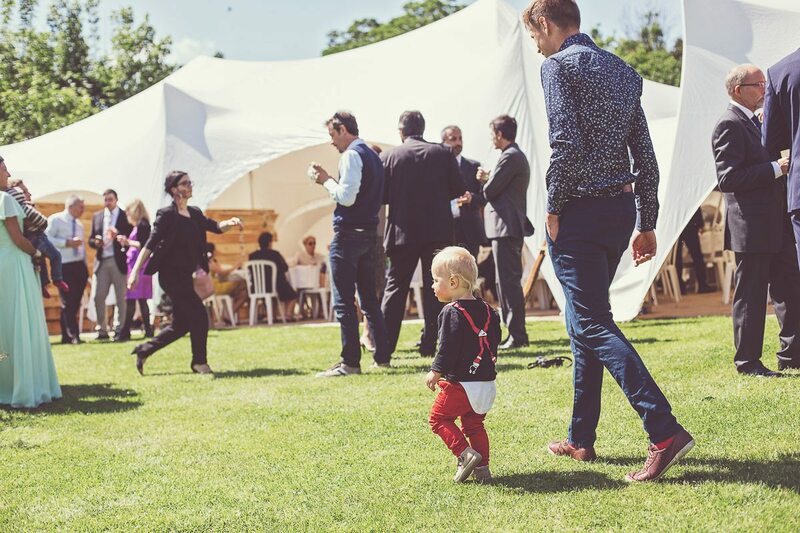 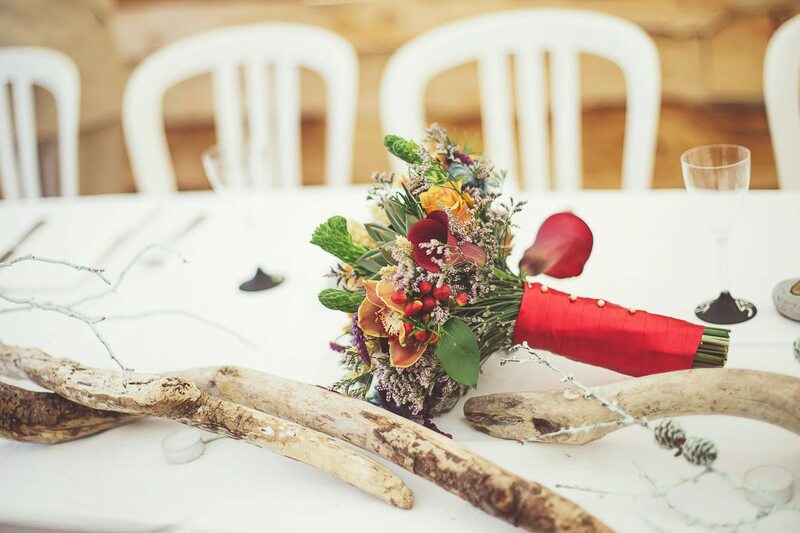 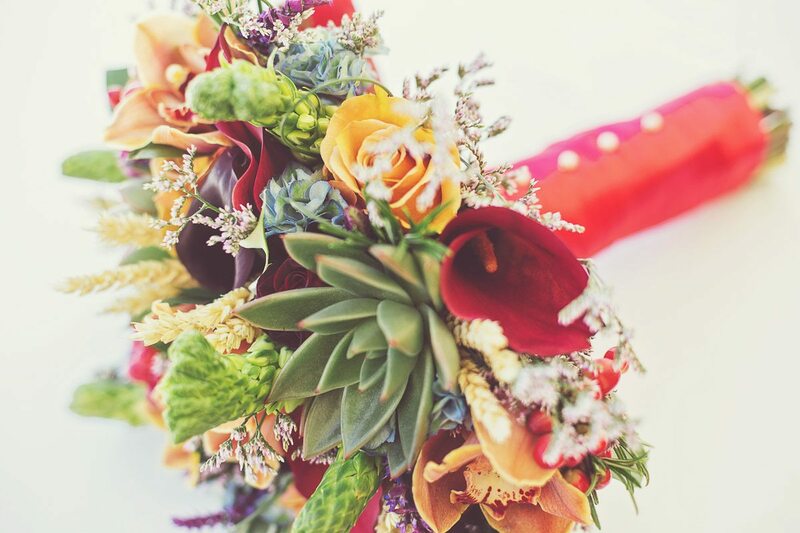 Wedding Photography Checklist: Does my photographer need to be familiar with the venue?